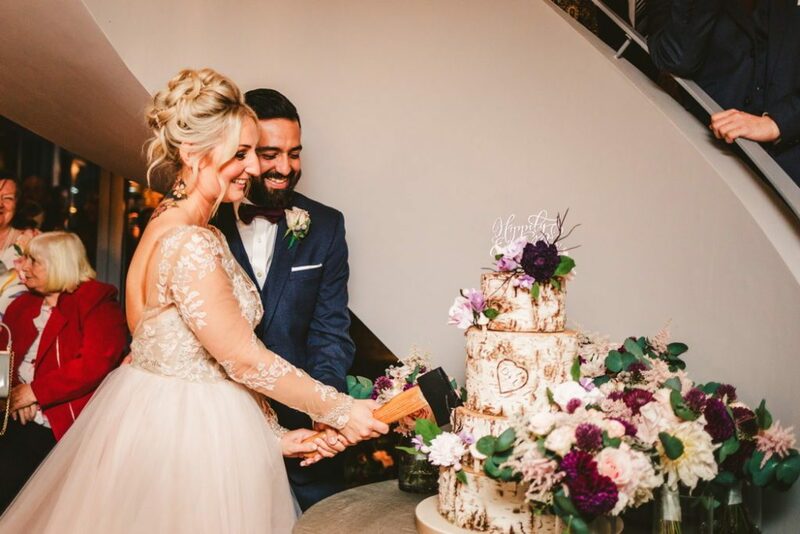 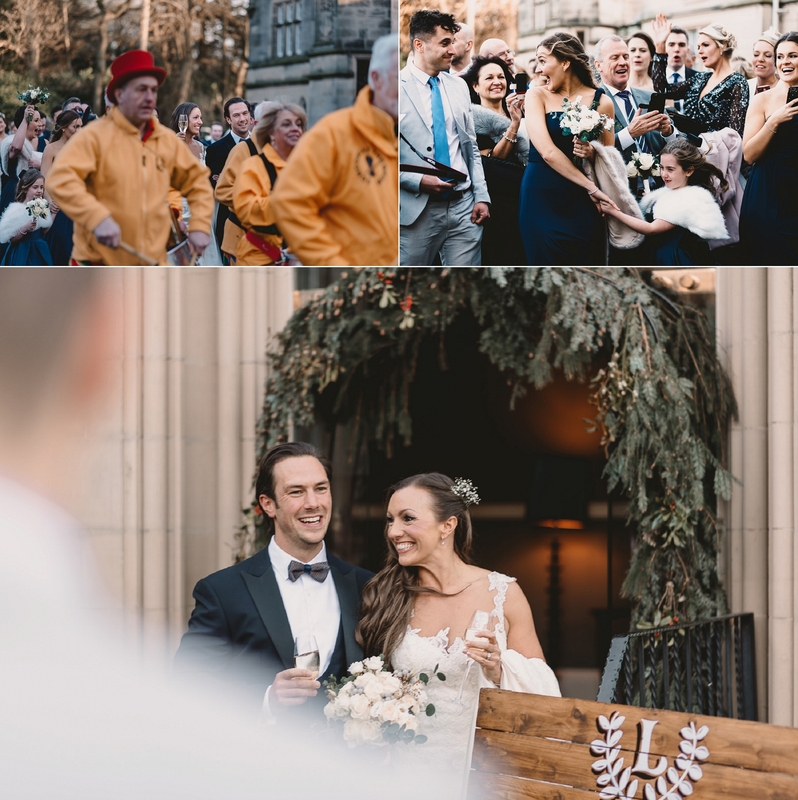 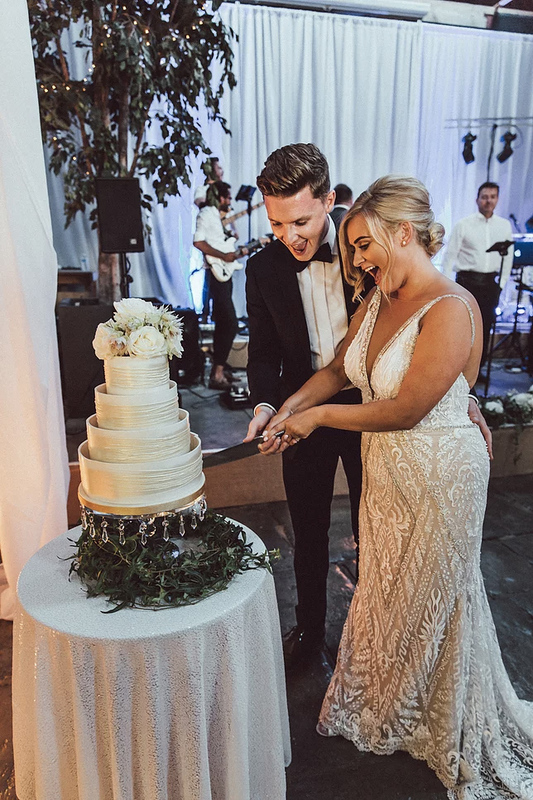 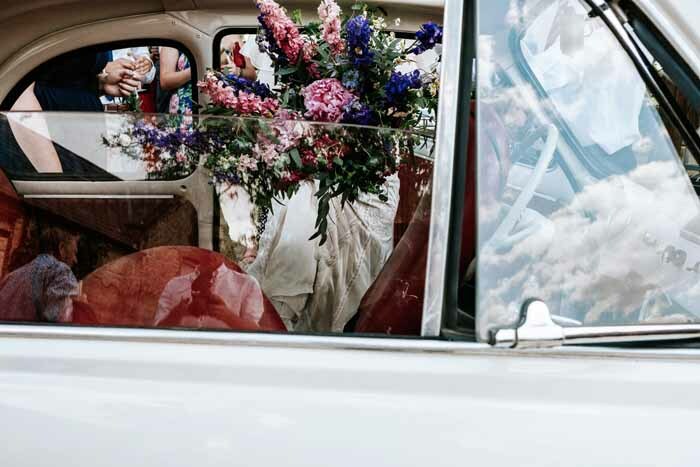 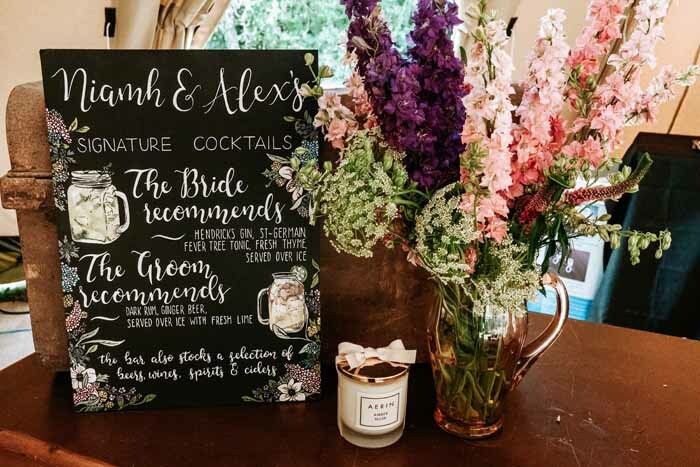 Alexia and Michael had a flower-filled wedding in Spring this year sharing the day with their families and friends. 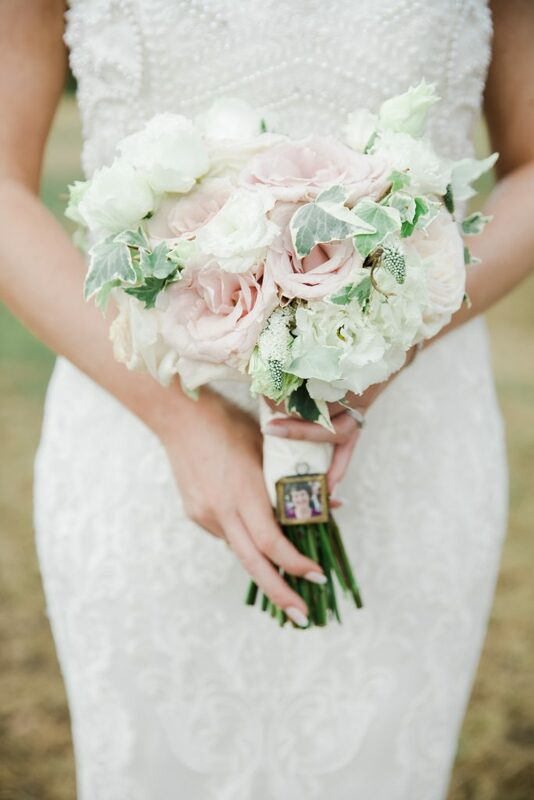 Honeymoon tulips and avalanche roses filled the day. 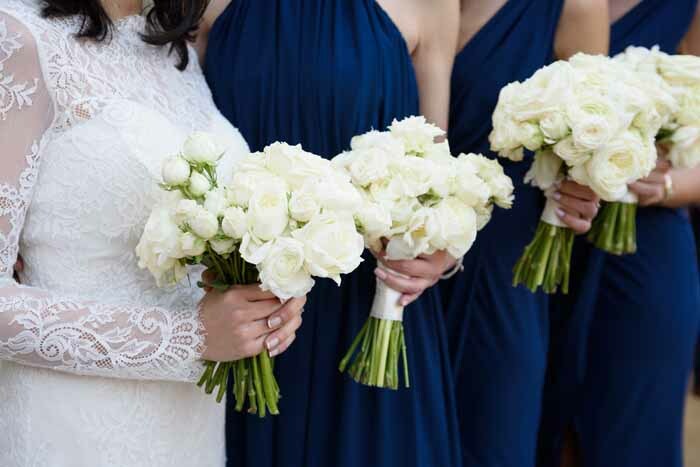 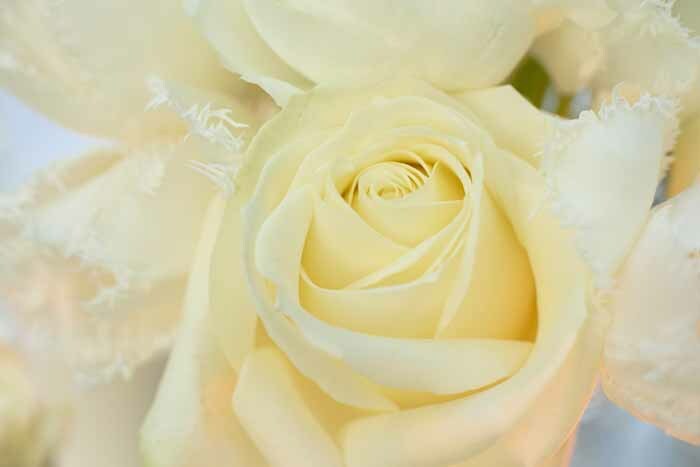 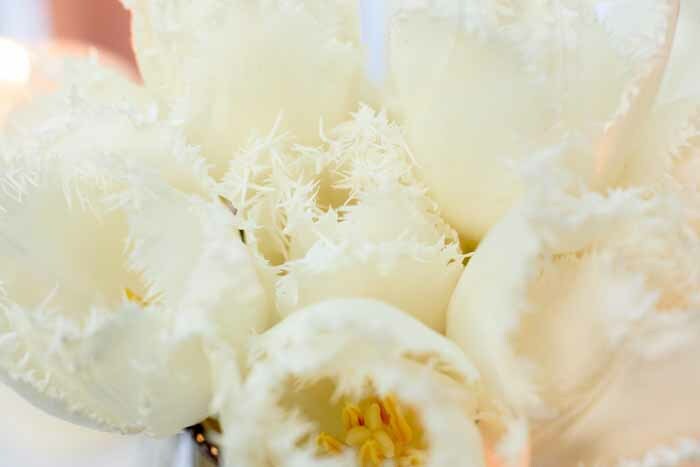 The bride chose an all-white colour palette with a mix of scented garden roses for the bouquets. 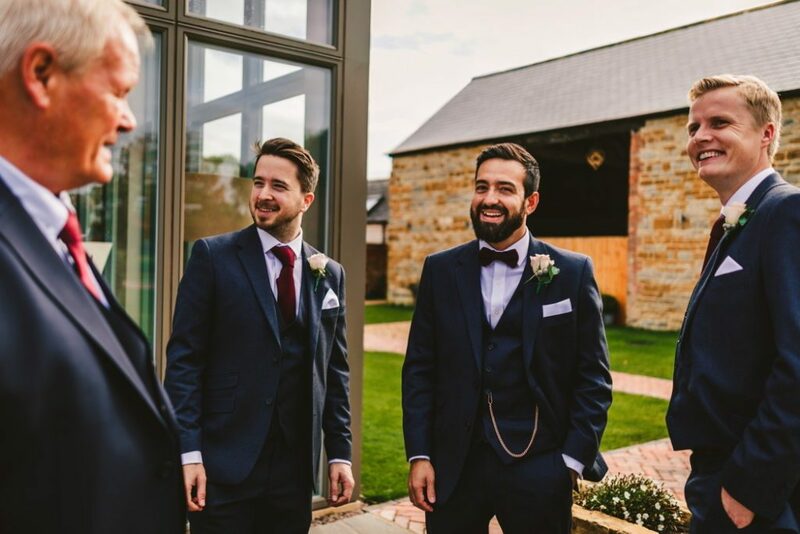 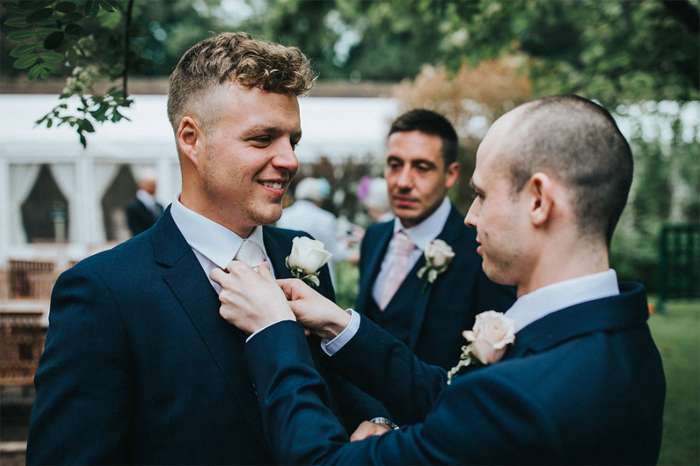 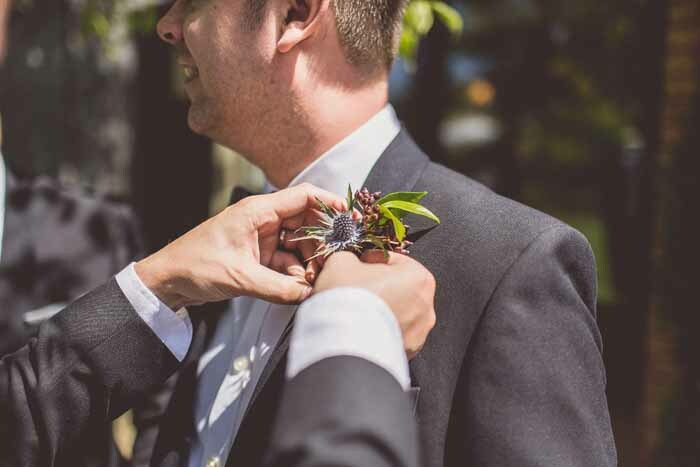 The groom chose buttonholes finished with twine and an elegant rose with just a touch of foliage, a perfect choice with his navy suit and pink tie. 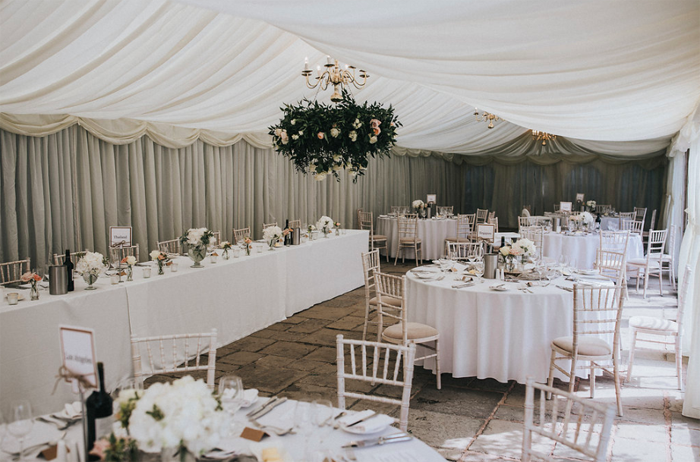 Elizabeth Court at Hampton Manor looked gorgeous with an all-white scheme for the top table and the long guest tables. 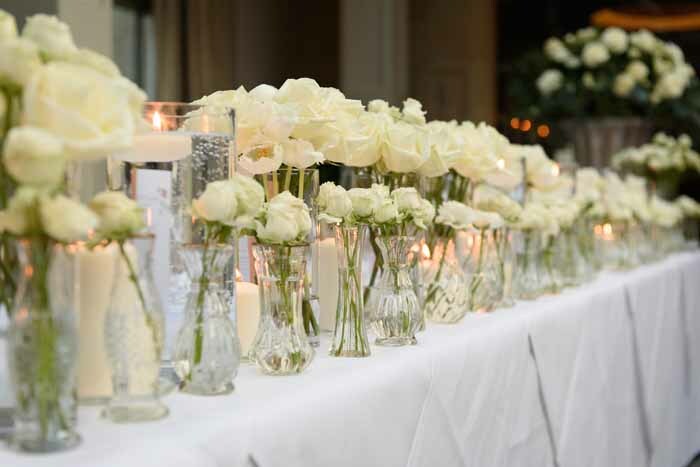 A mixture of glass vases were filled with spring tulips, spray roses and garden roses, the aroma was wonderful and guests all admired the room. 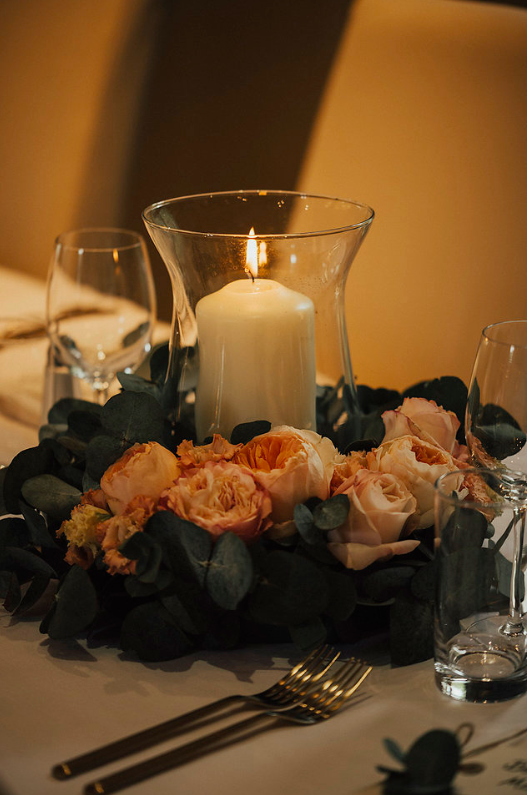 Candles completed the look. 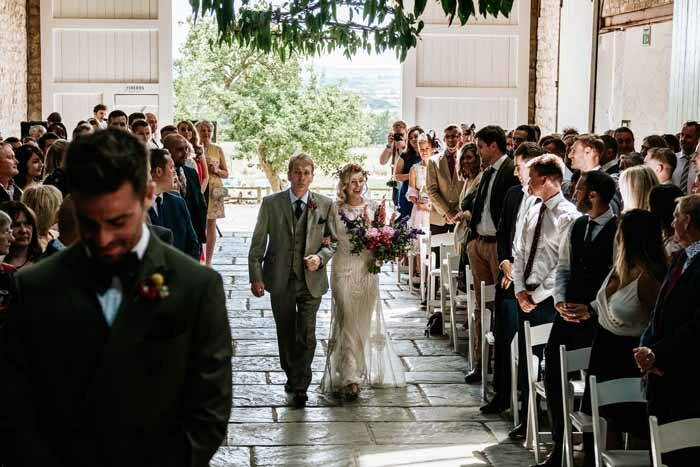 The Greek church was a stunning venue for the marriage ceremony with its blue interior and wonderful ceiling. 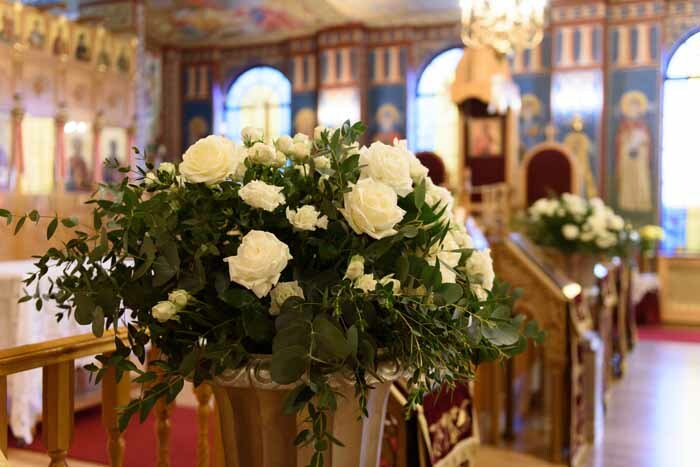 As the church has so much decoration large urns were added to frame the ceremony. 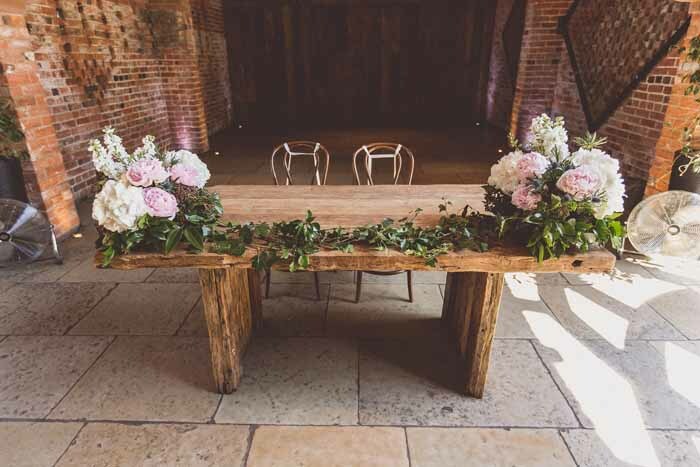 These were later moved to Hampton Manor to be part of the top table decoration. 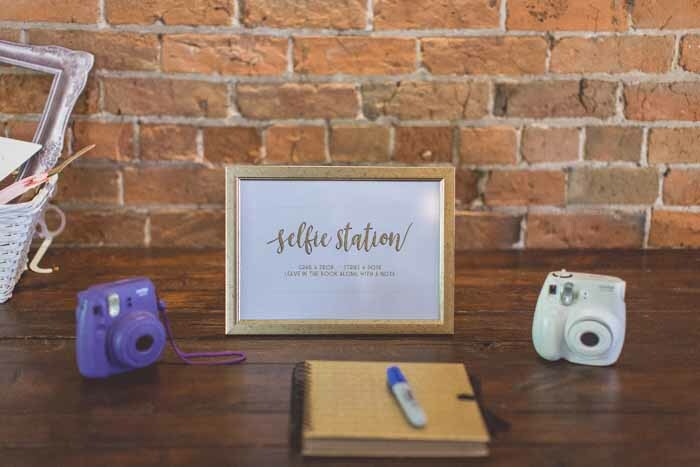 Alexia sent a lovely note which is always appreciated. 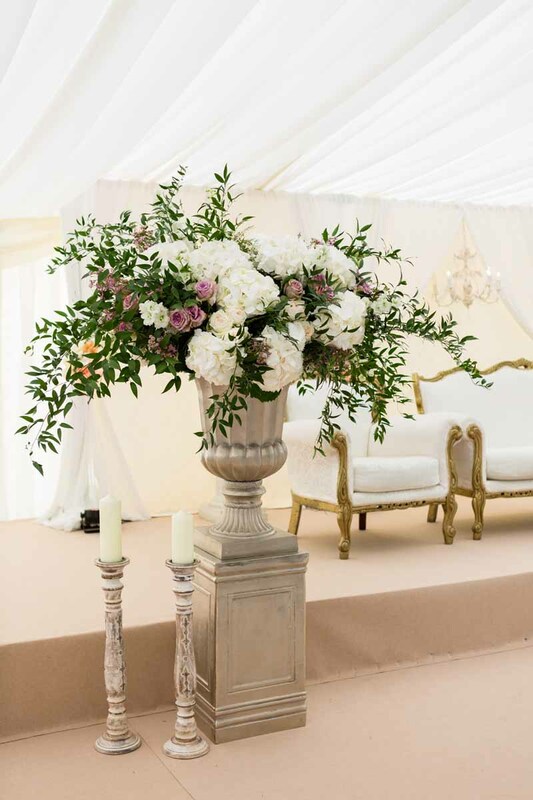 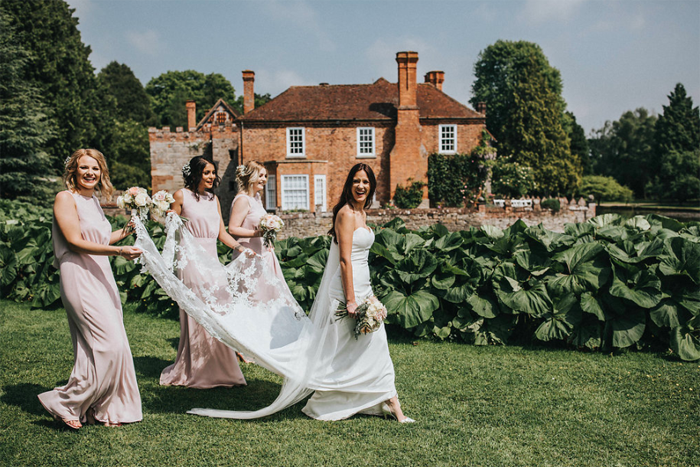 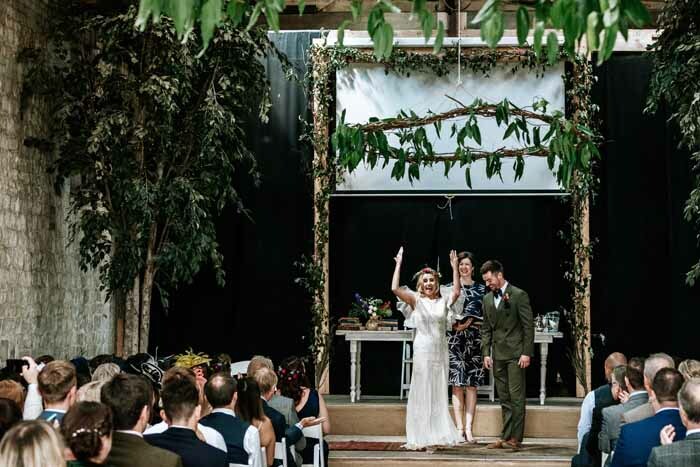 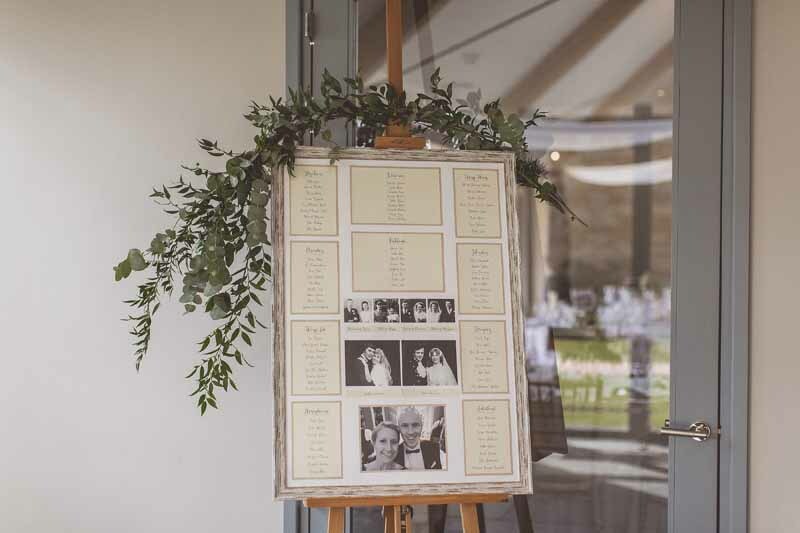 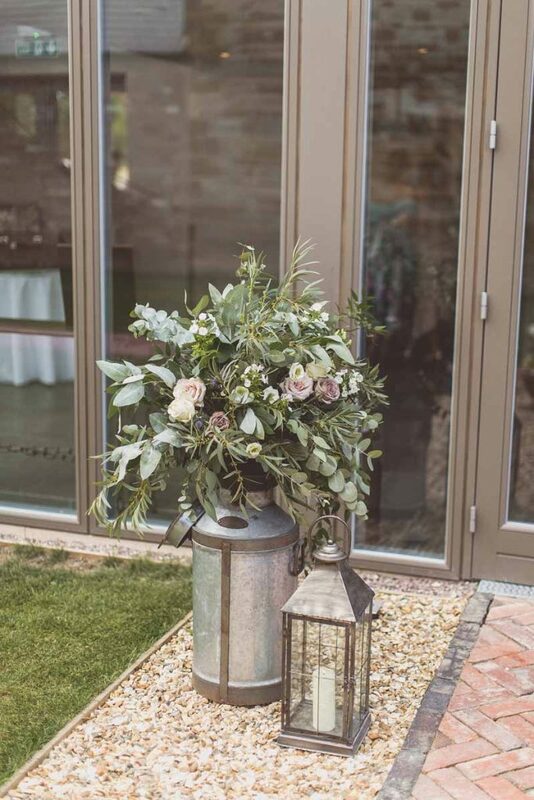 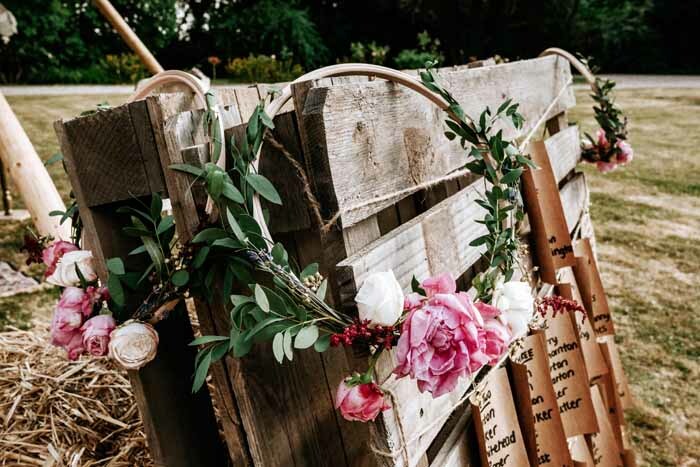 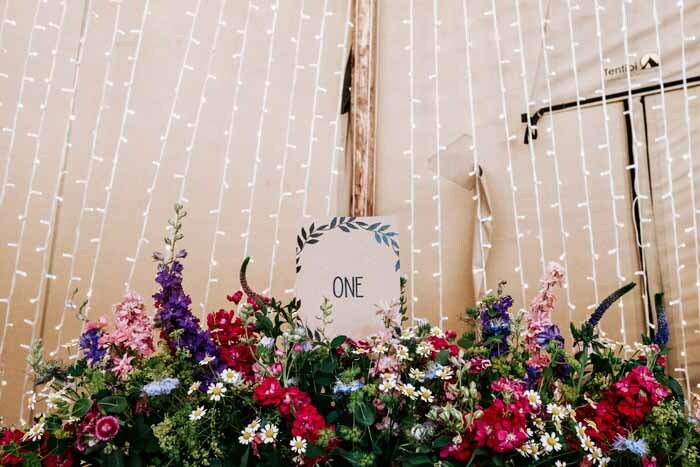 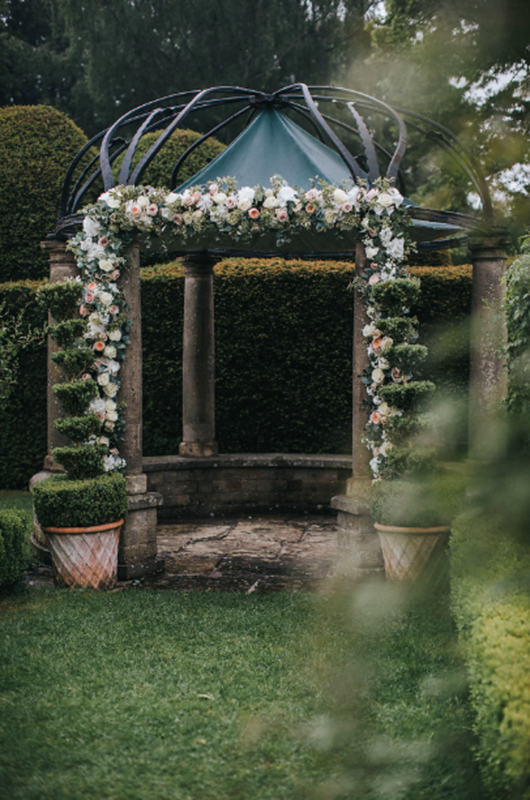 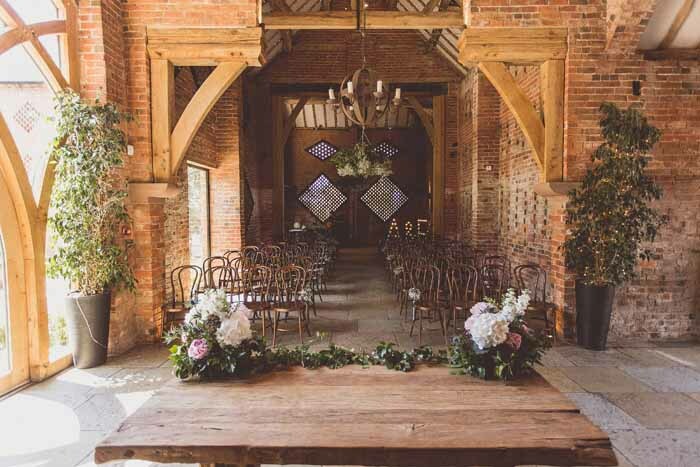 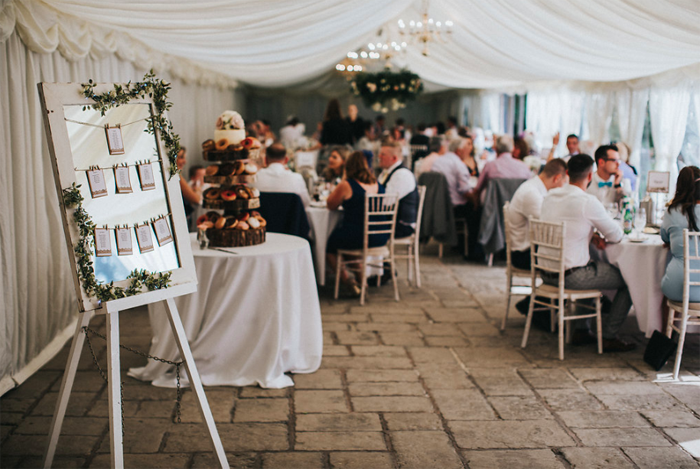 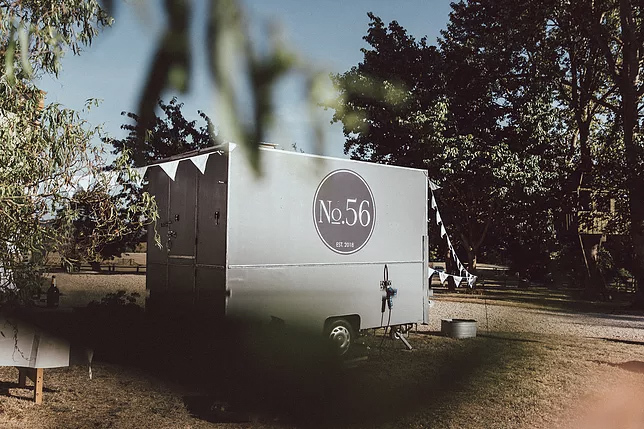 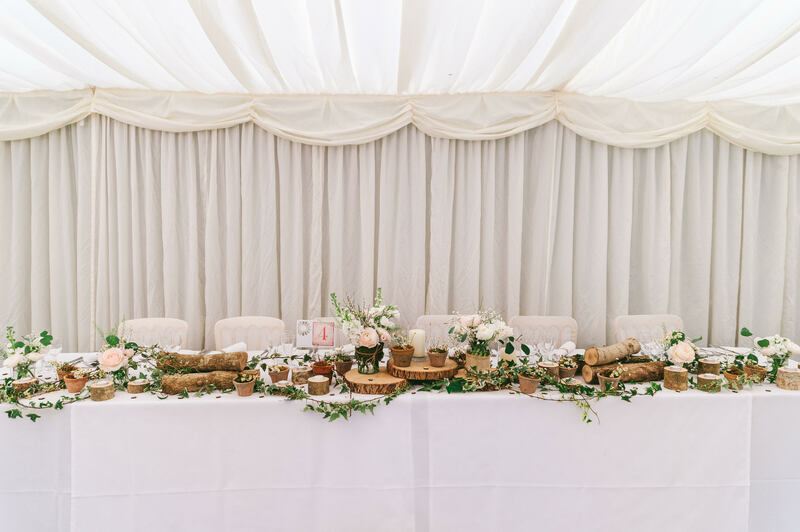 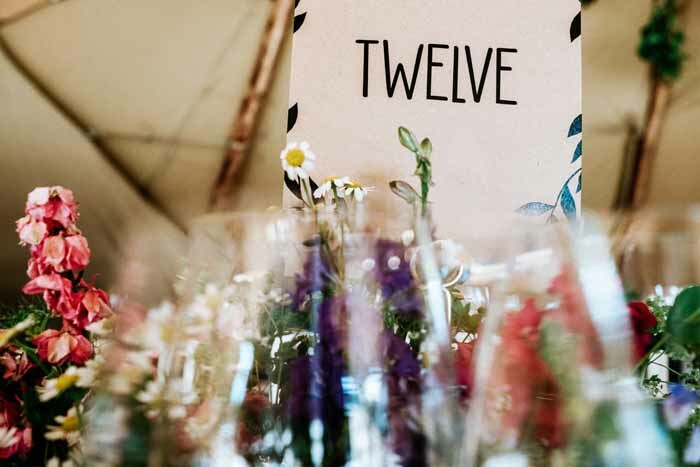 The garden marquee at Birtsmorton Court can be styled for your wedding, as a regular Birtsmorton Court wedding florist we have decorated this marquee many times but this was one of our favourites. 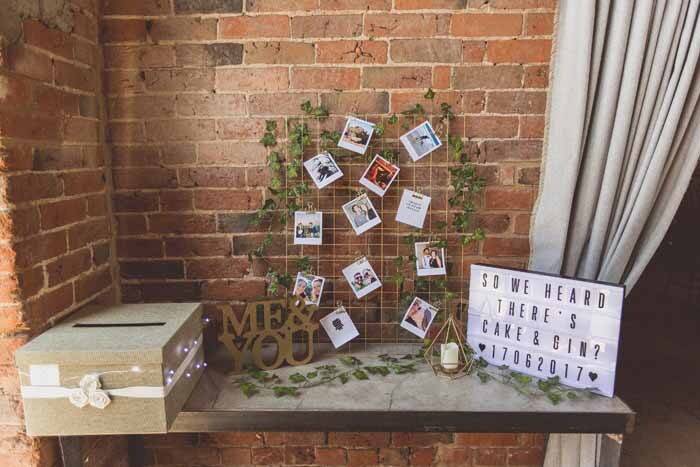 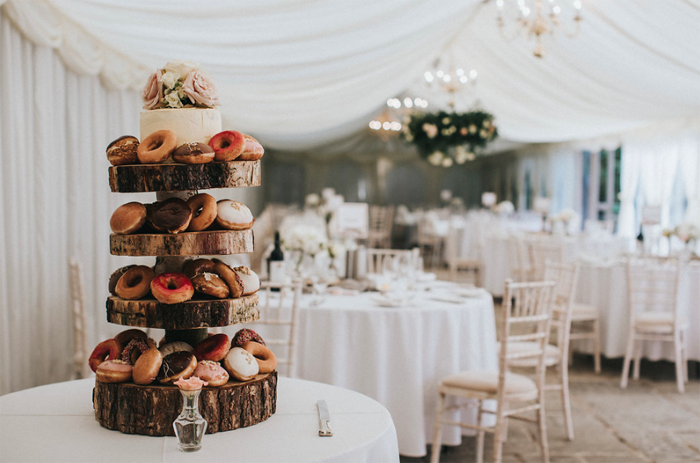 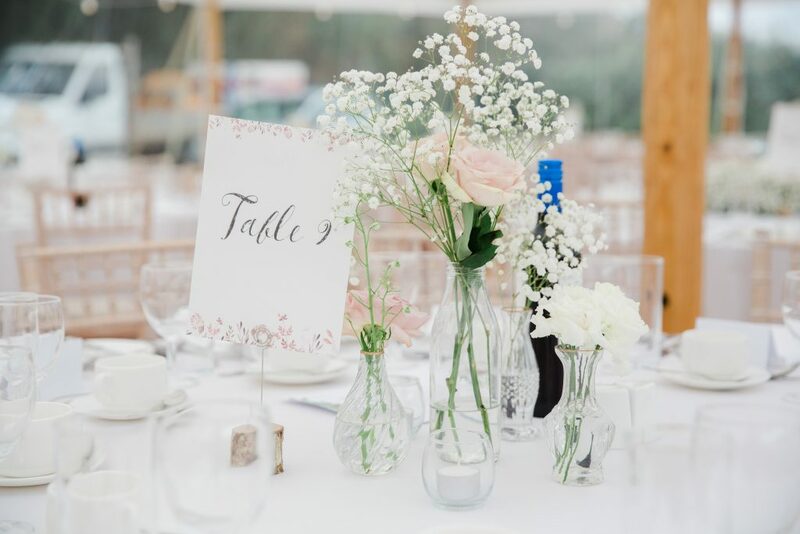 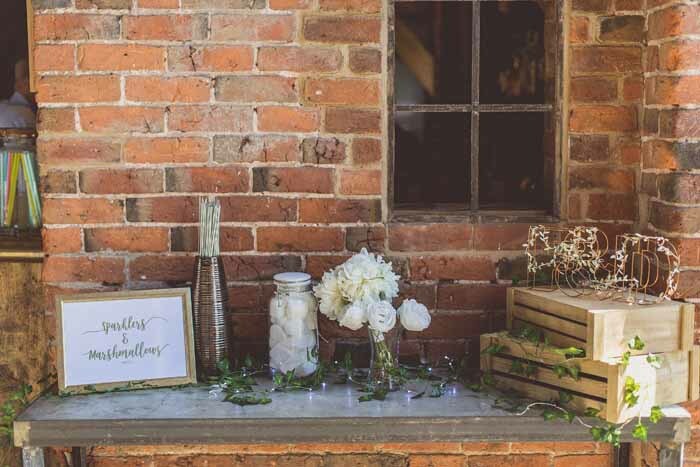 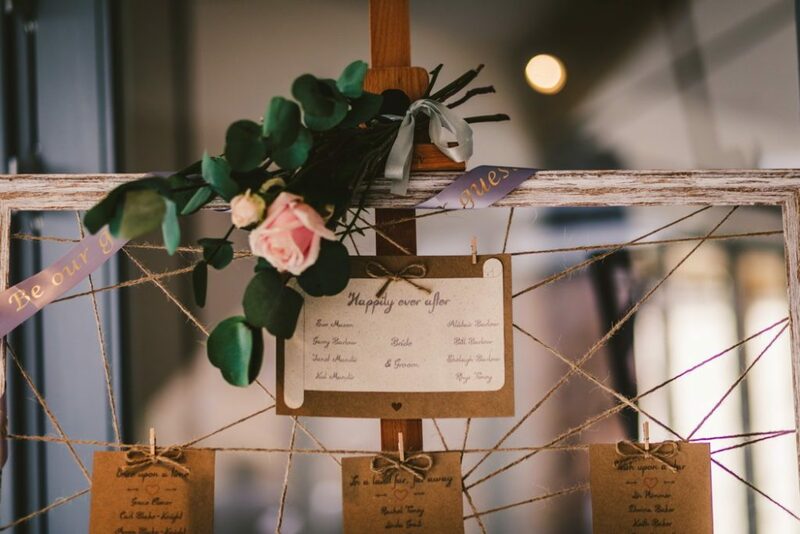 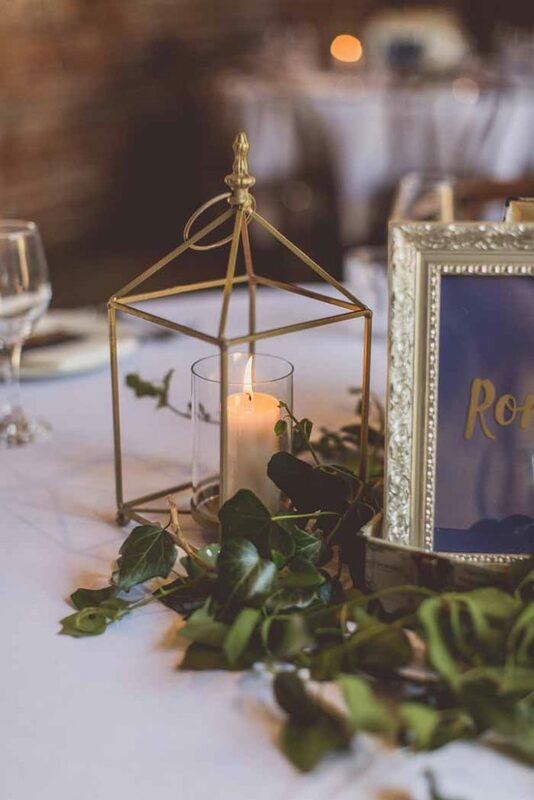 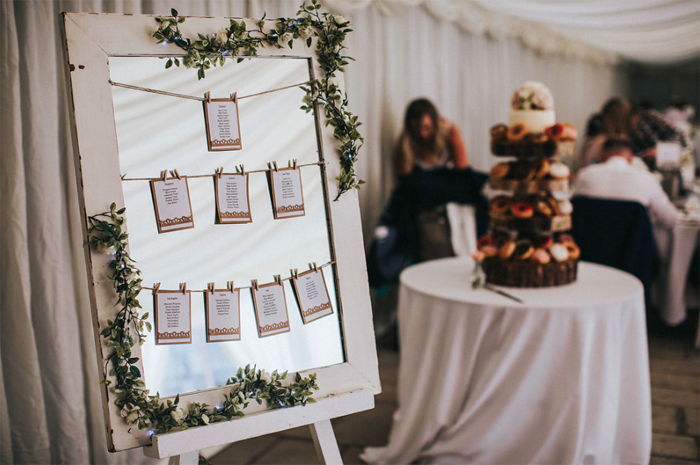 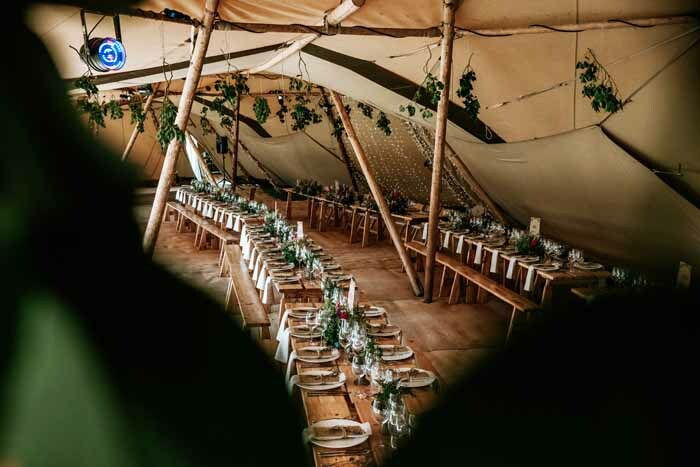 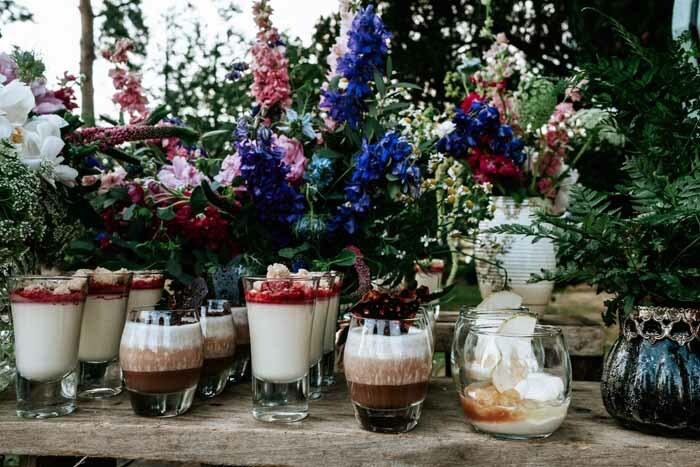 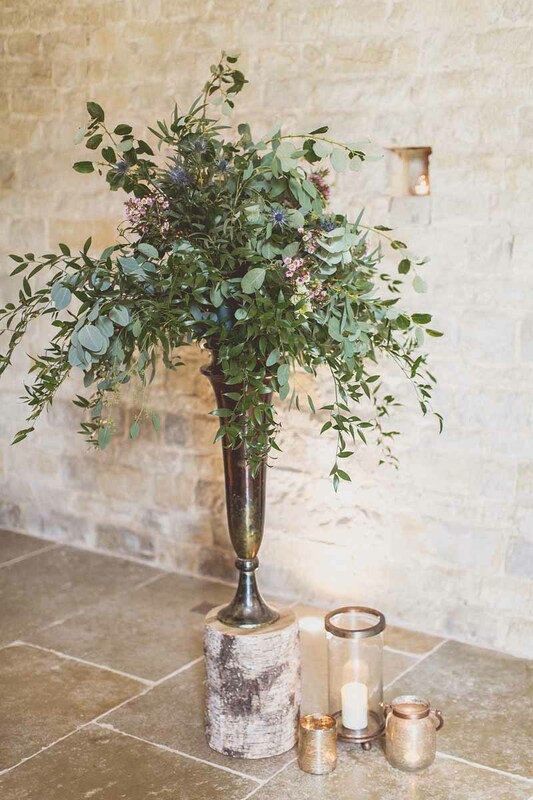 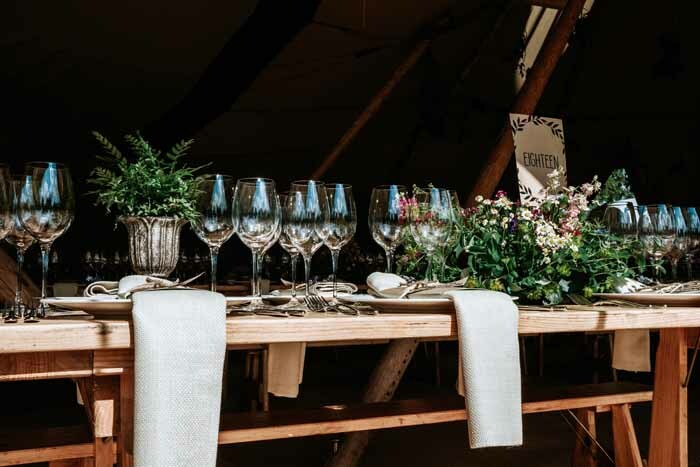 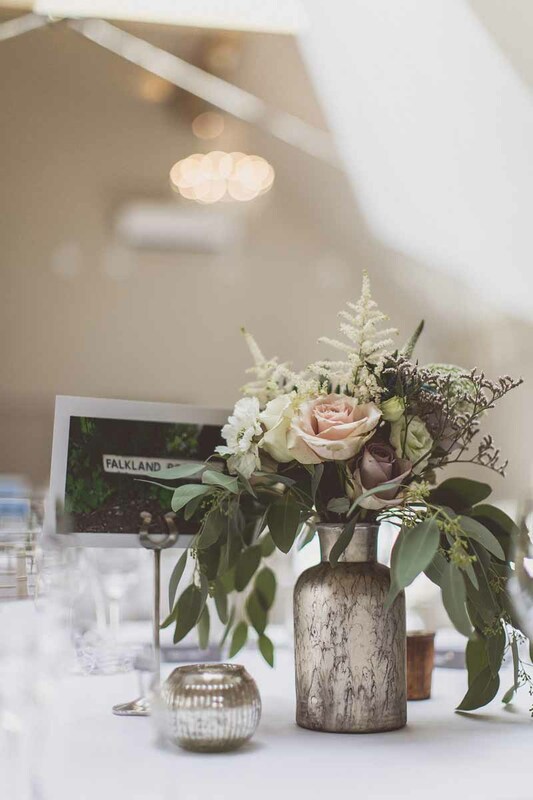 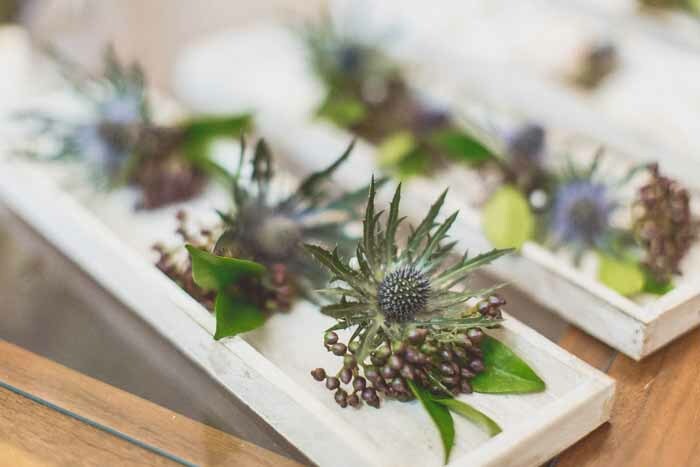 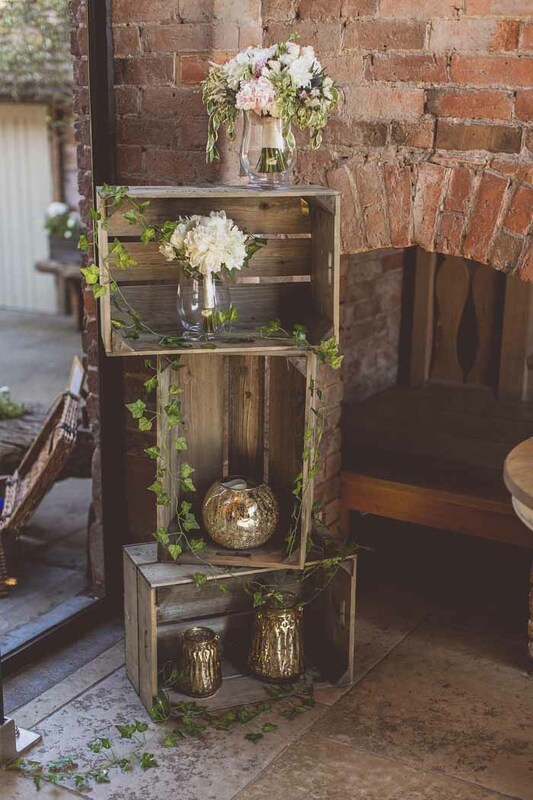 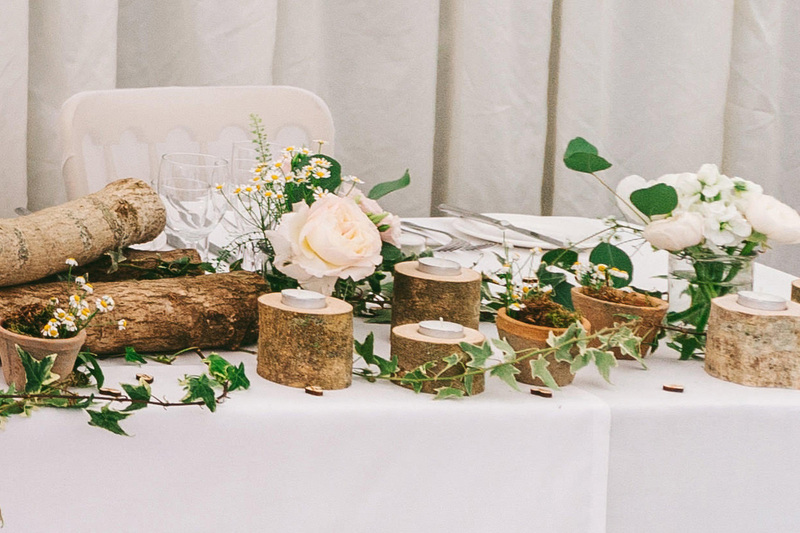 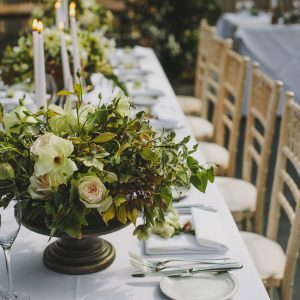 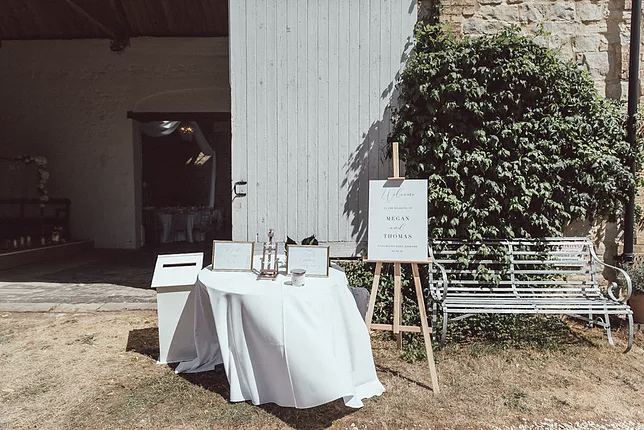 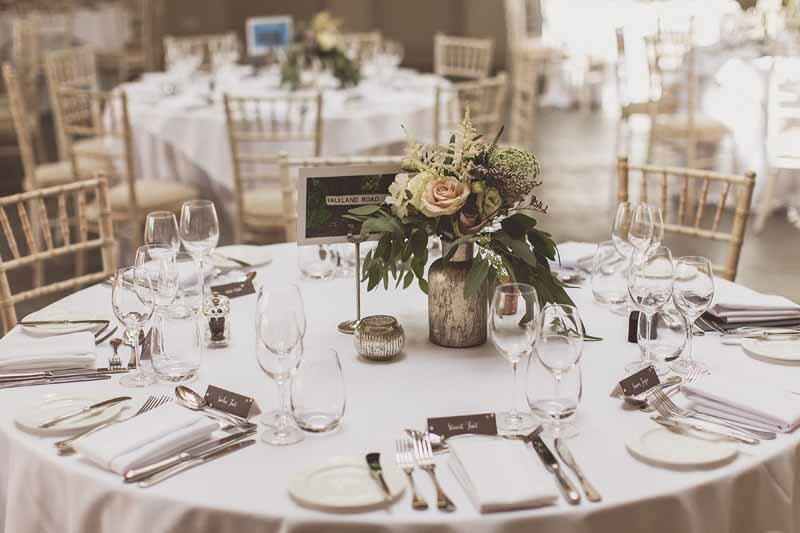 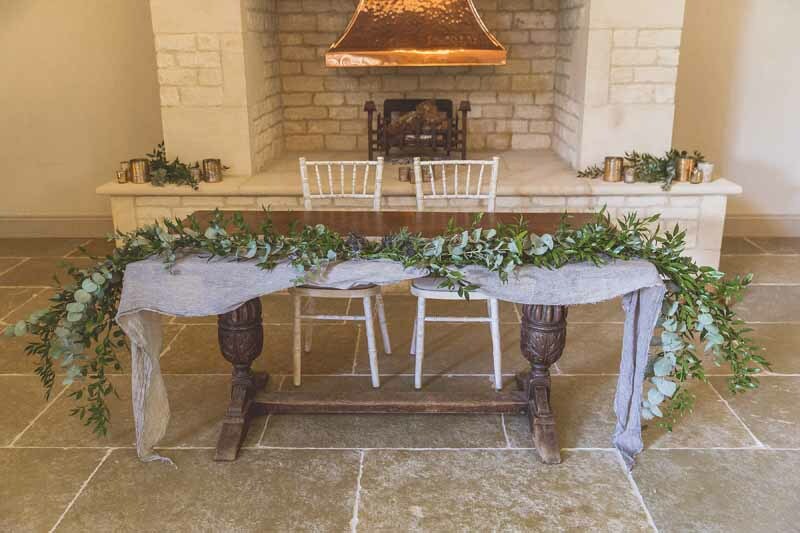 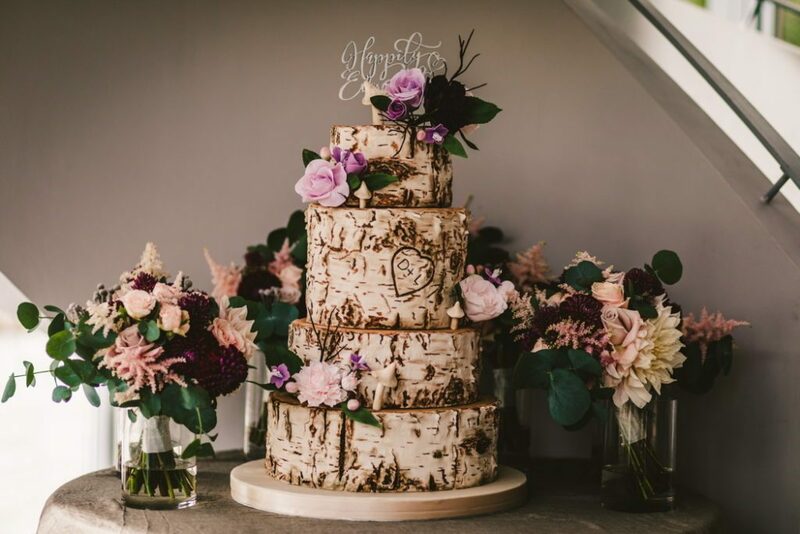 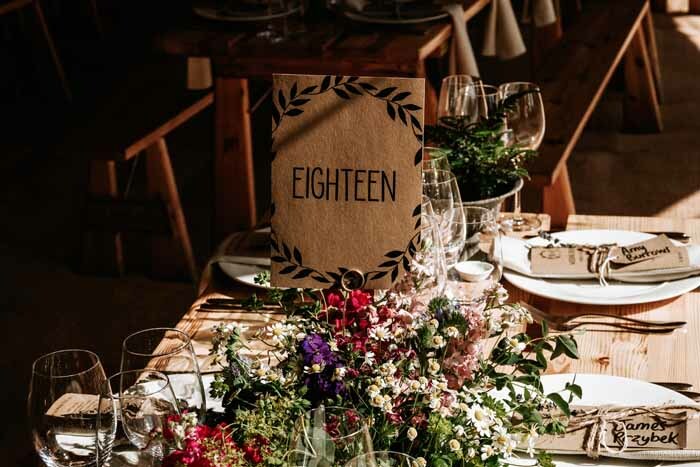 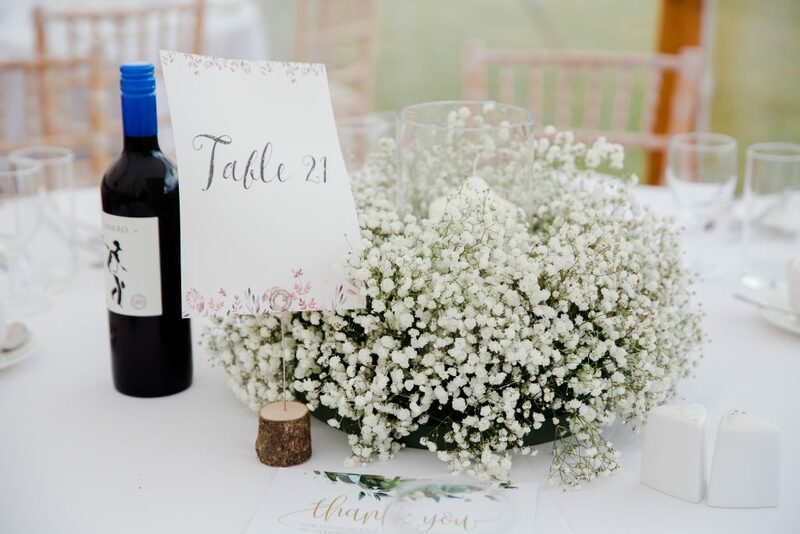 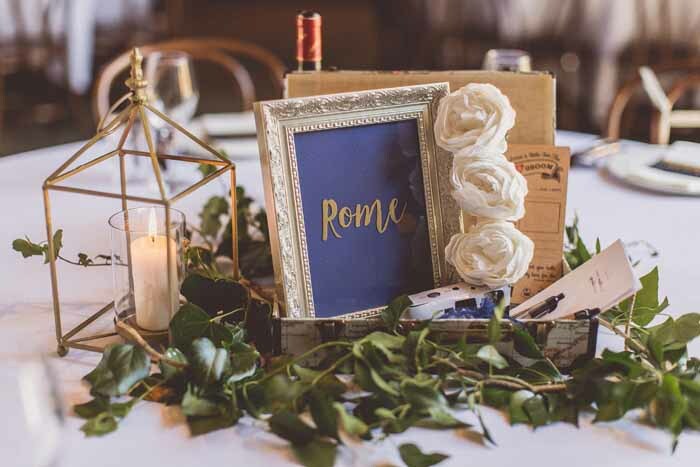 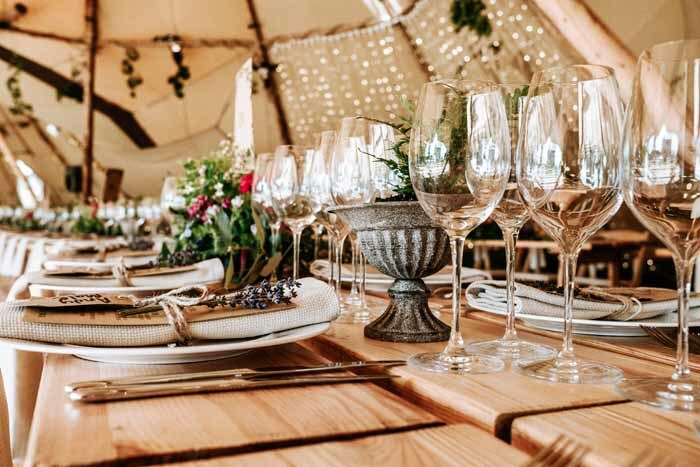 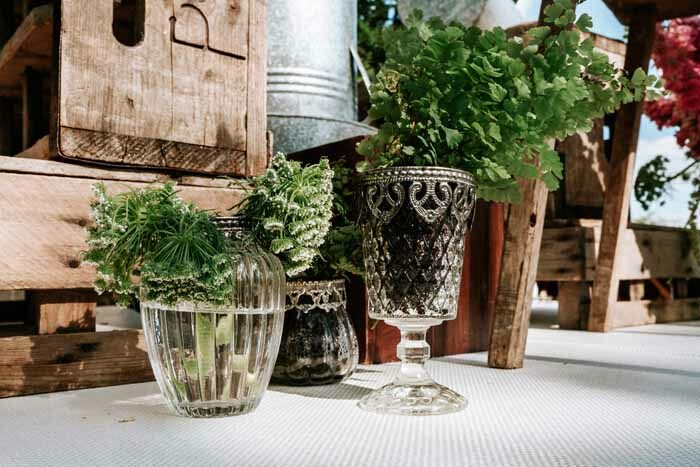 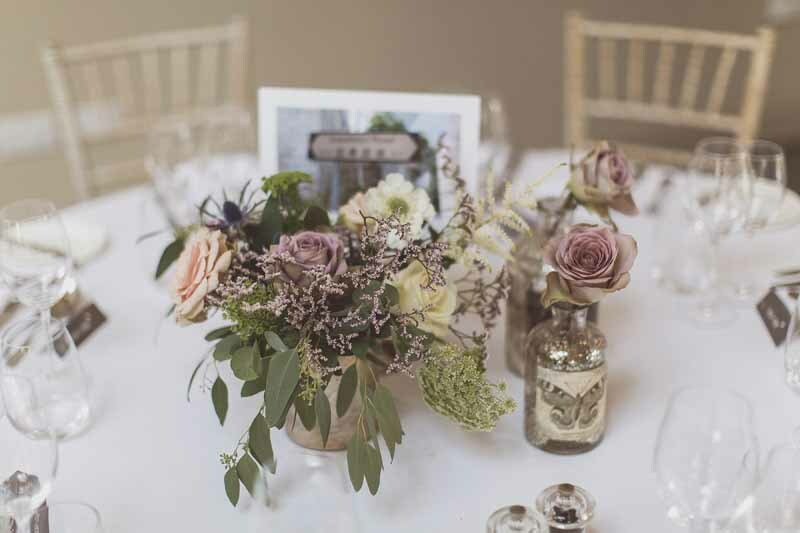 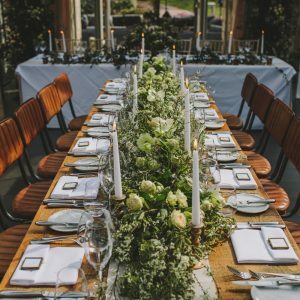 When your couple asks you for a rustic woodland top table we get excited, we have lots of woodland props and vases available for styling and loved creating this rustic setting for a spring wedding. 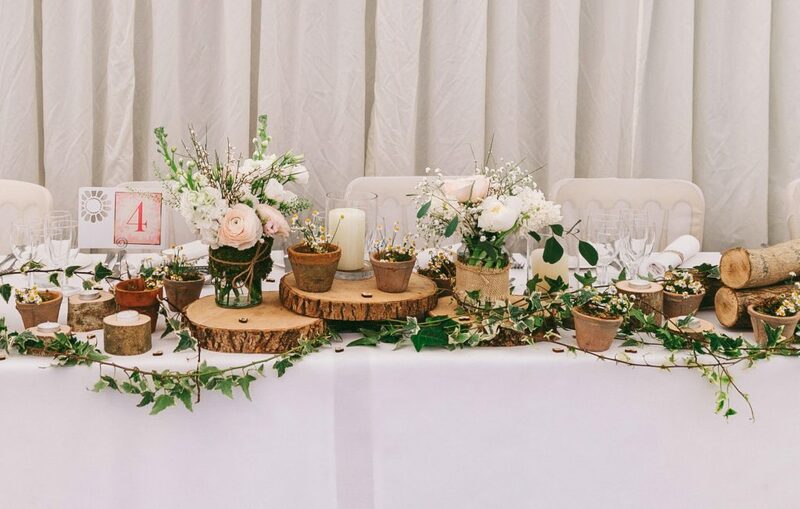 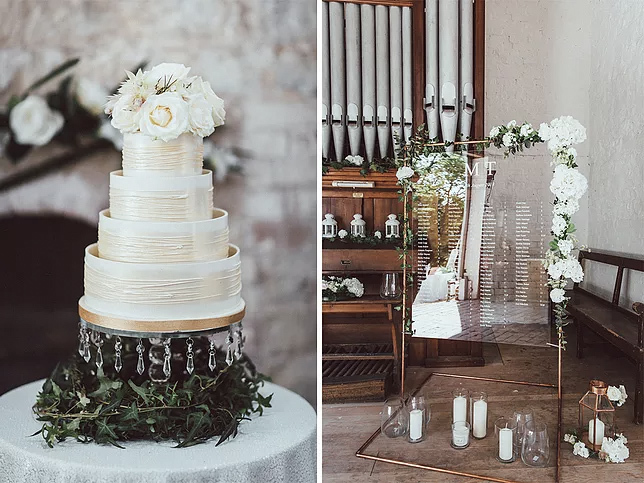 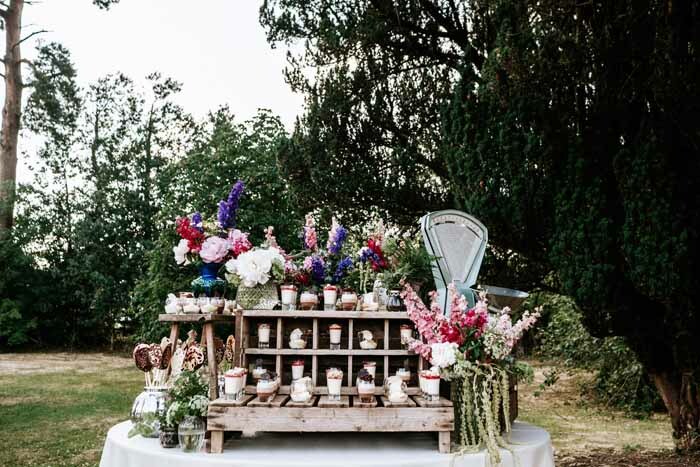 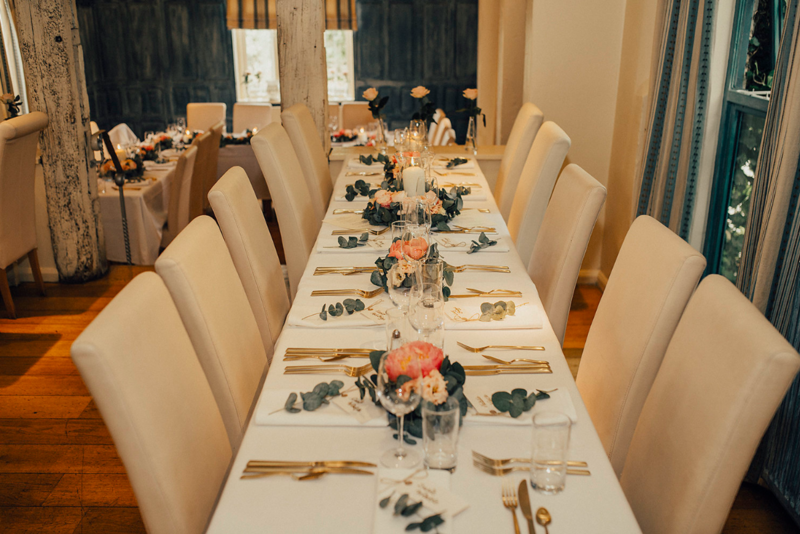 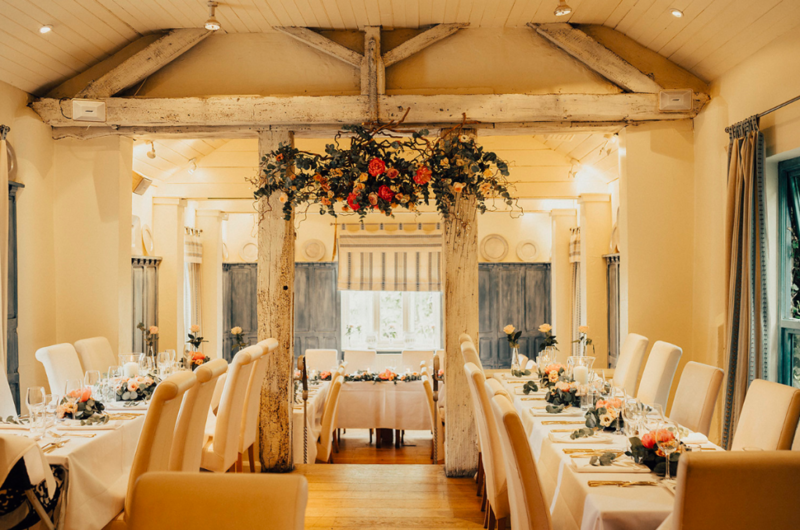 Tree slices along the top table, terracotta pots and glass jars/bottles with blooms including roses, ranunculus, broom with ivy gave a soft and calming look to the room. 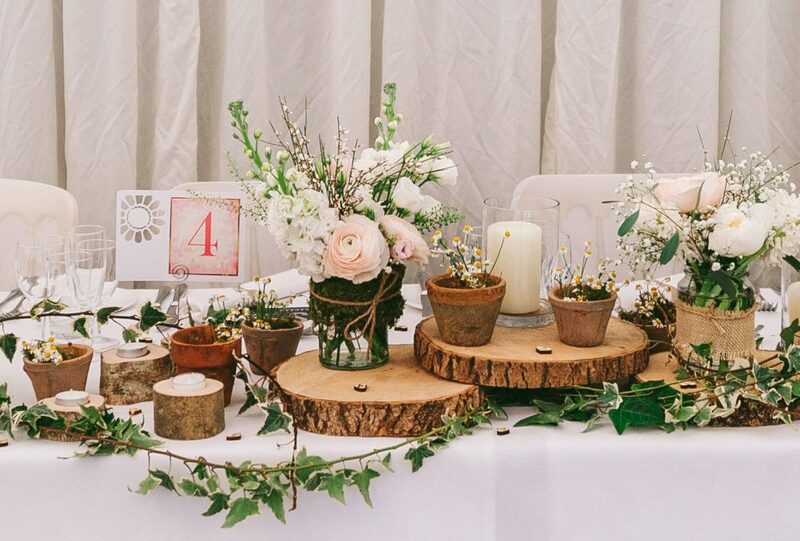 Dotted along the table were various rustic wooden tea light holders and the table numbers were held up by tiny tree stump card holders. 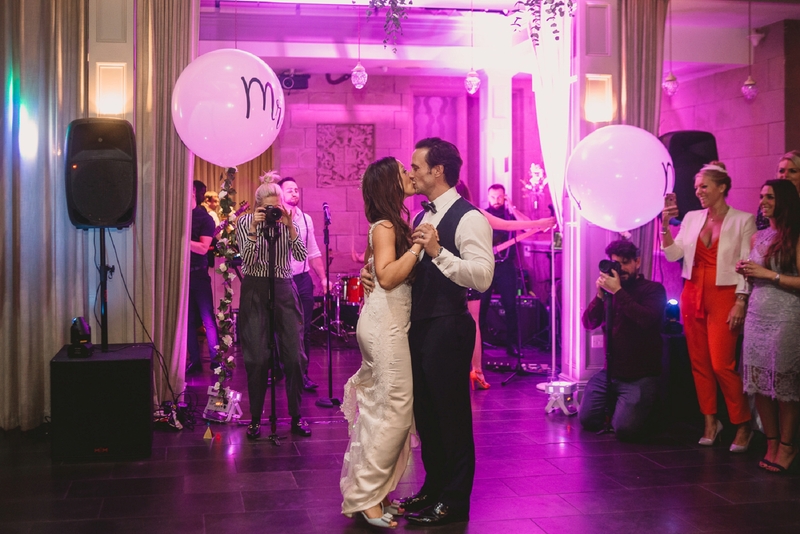 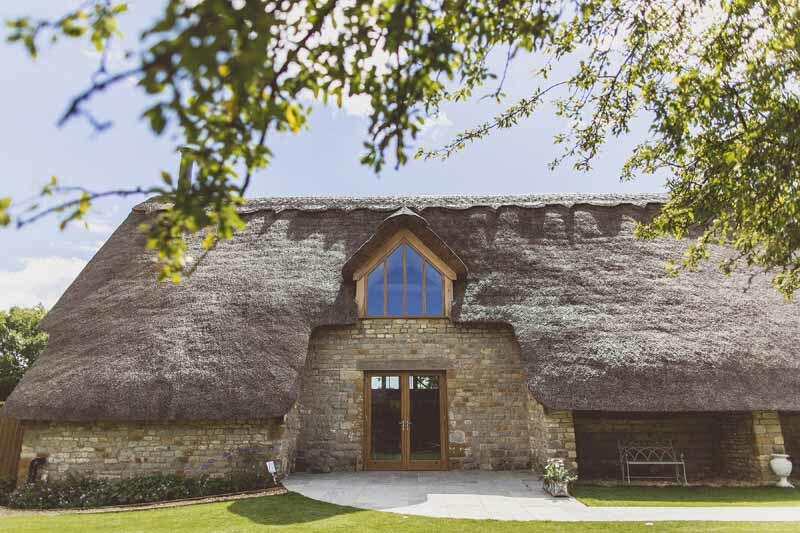 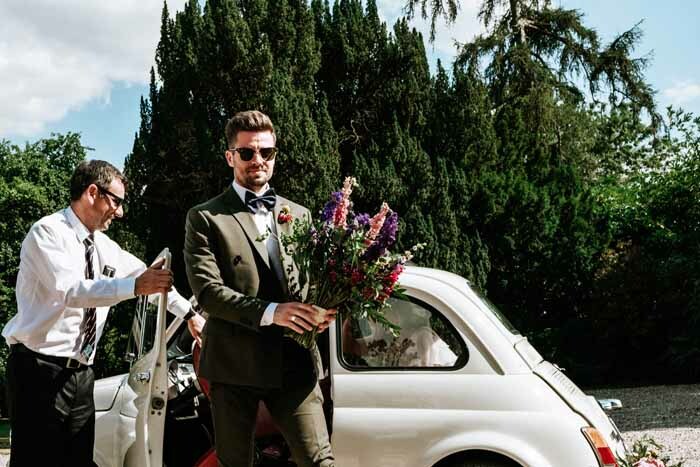 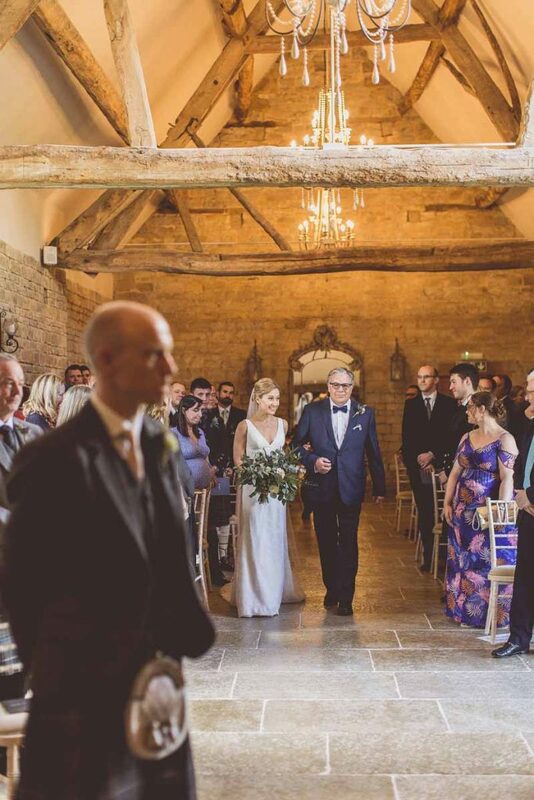 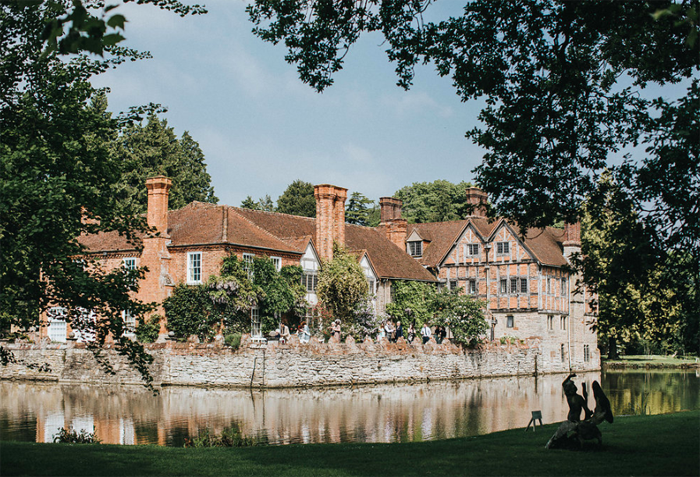 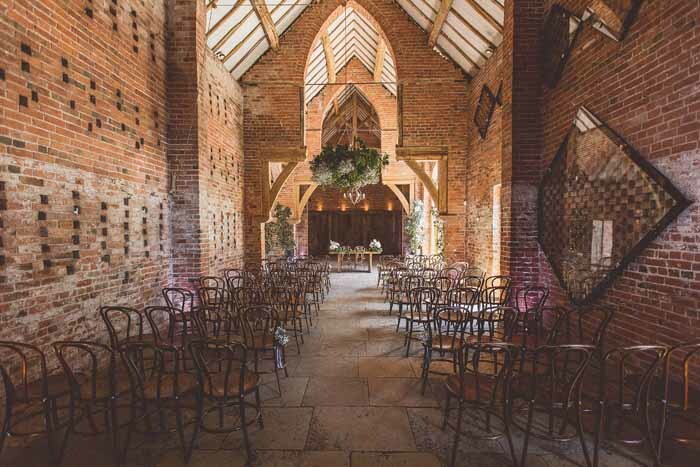 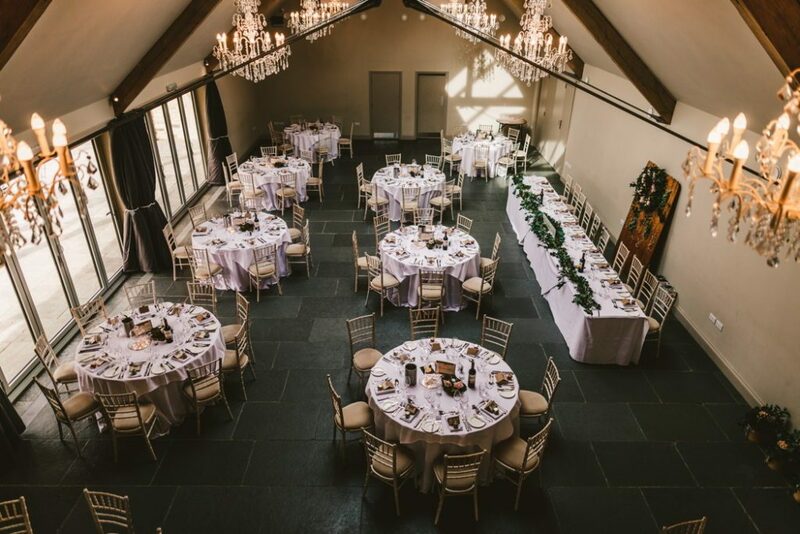 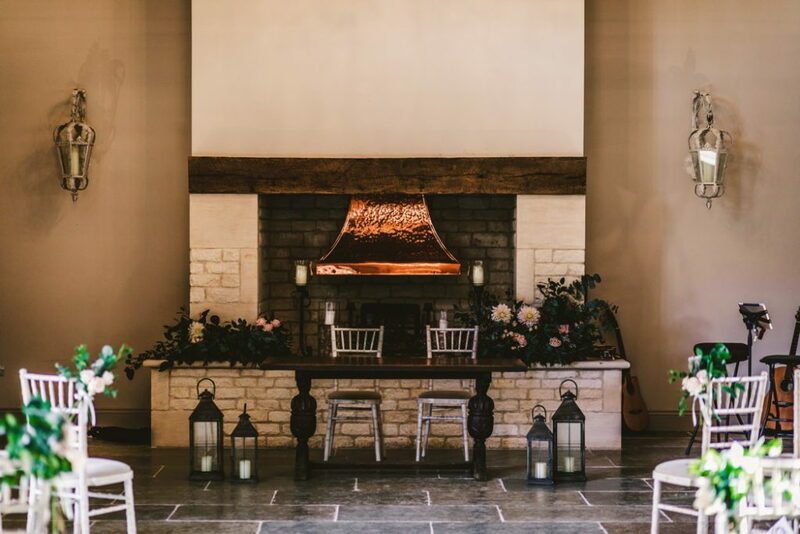 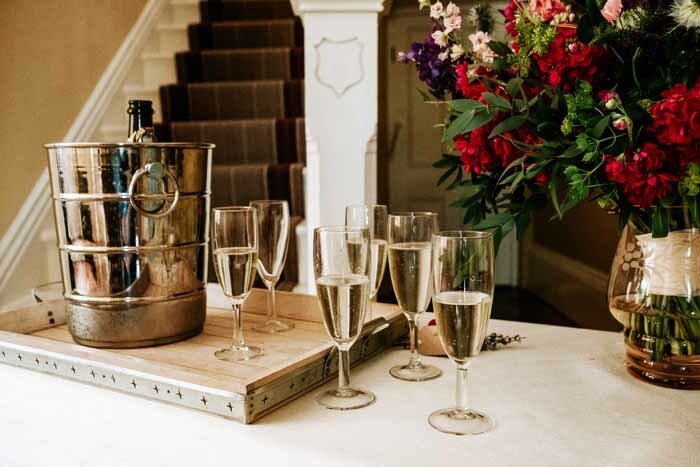 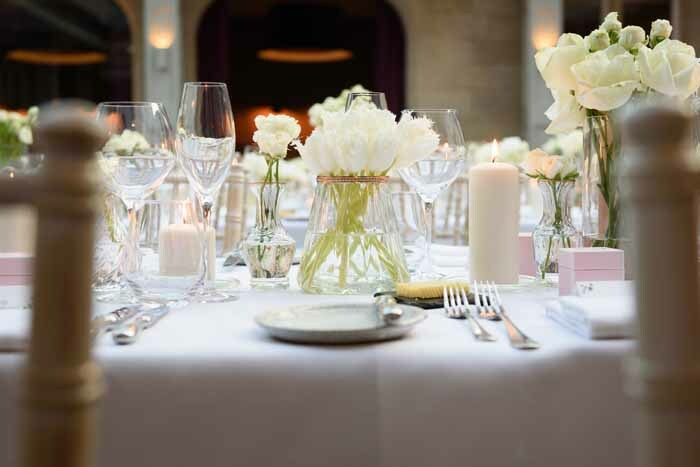 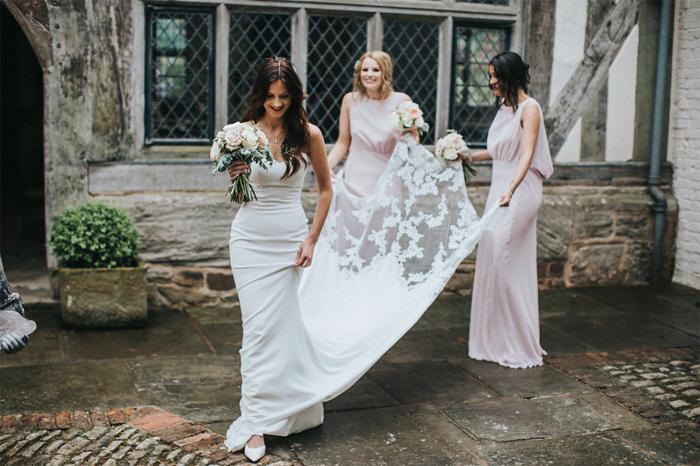 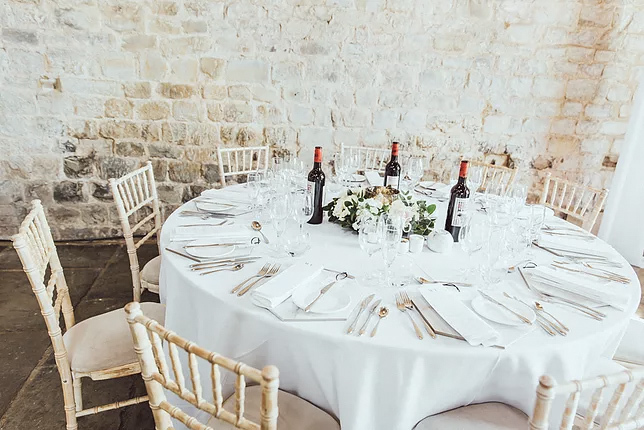 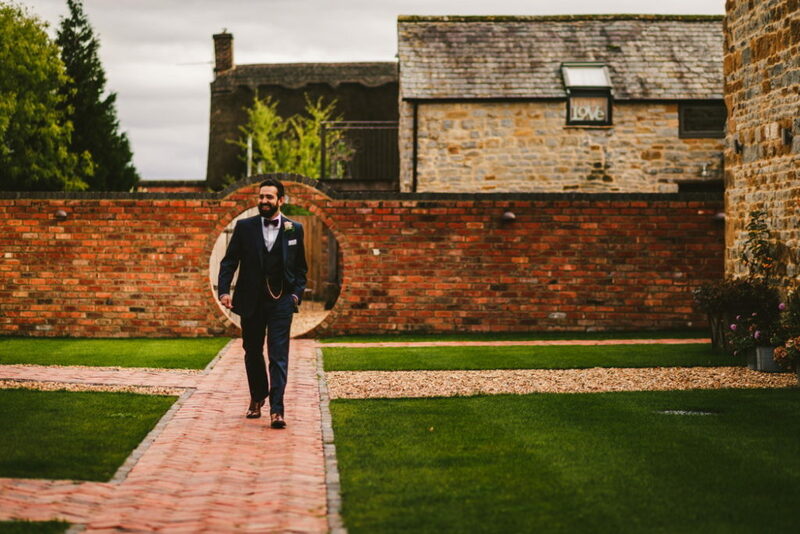 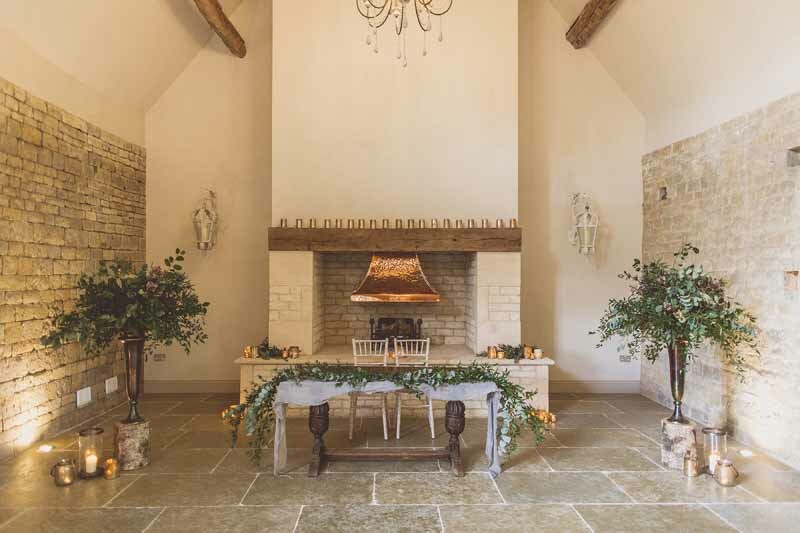 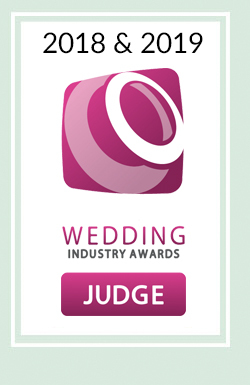 If you are looking for inspiration for your Birtsmorton Court wedding do get in touch. 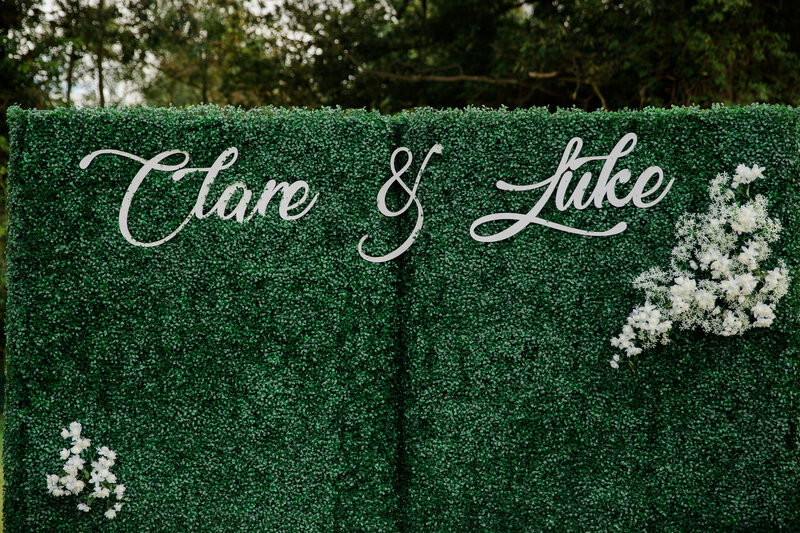 Clare and Luke had a church wedding followed by a celebration in a marquee at Clare’s family home. 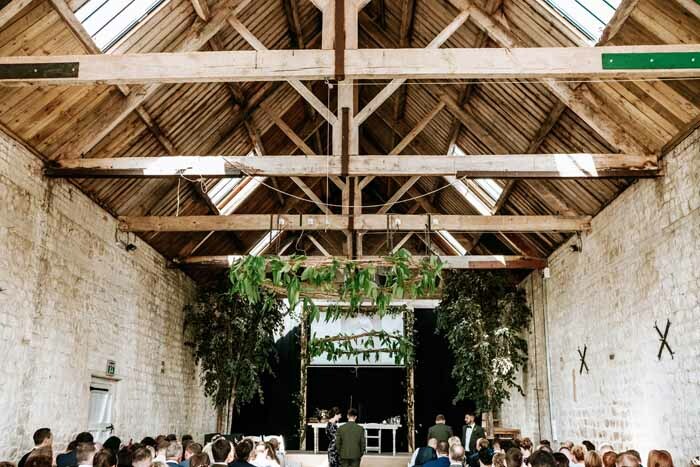 A perfect setting for a summer wedding. 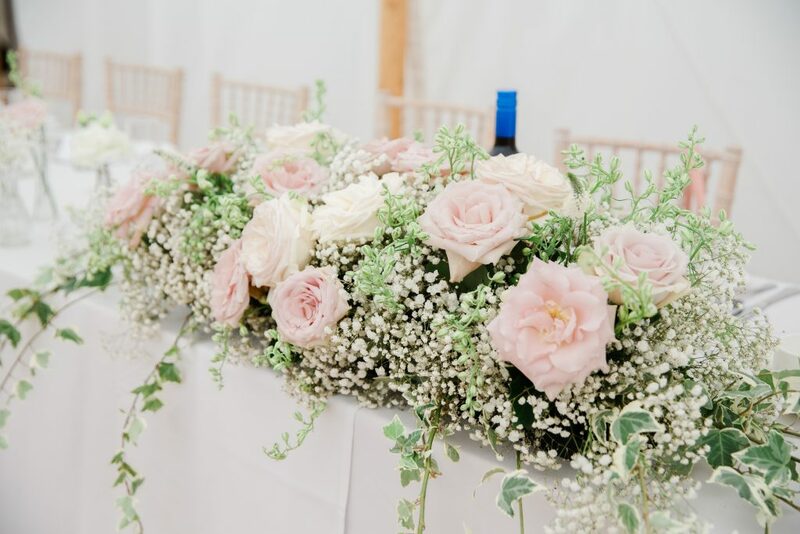 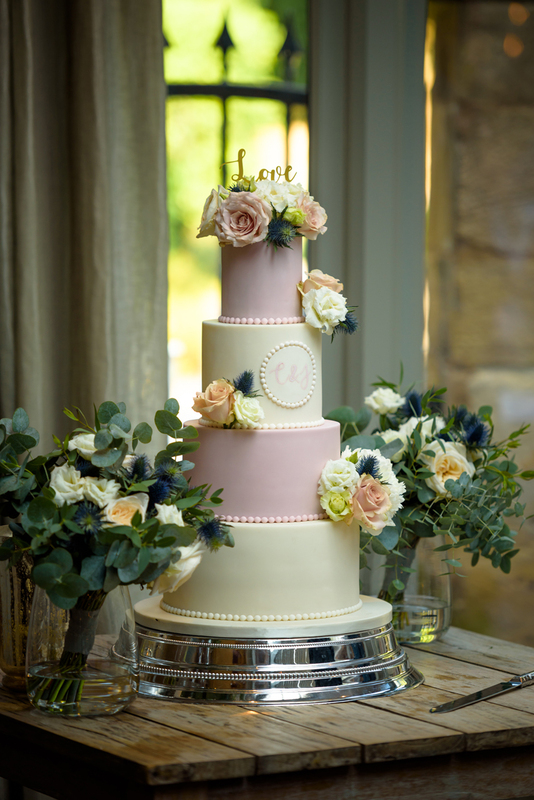 Scented blush pink Kiera roses were used with a touch of ivy for the button holes. 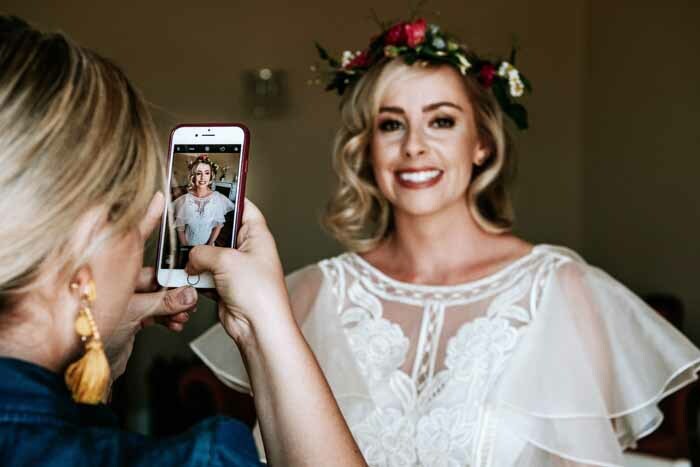 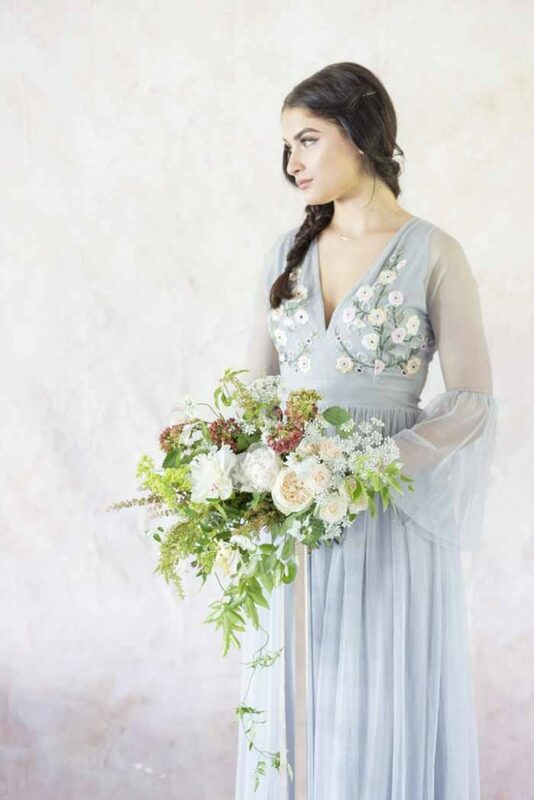 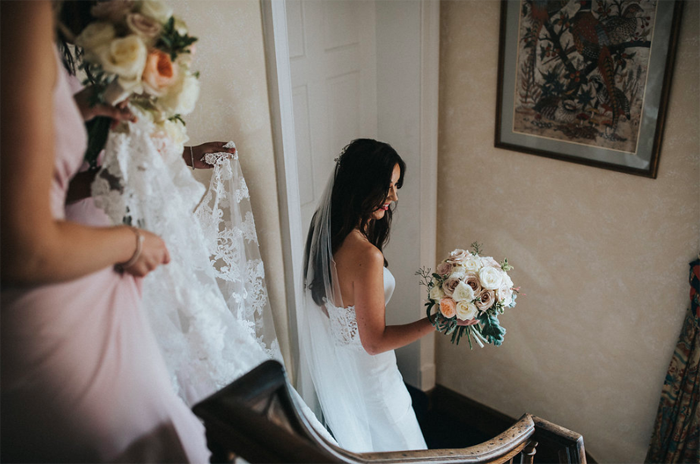 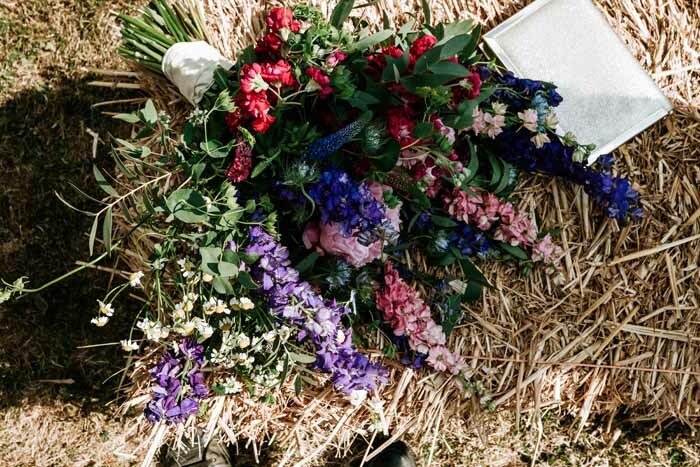 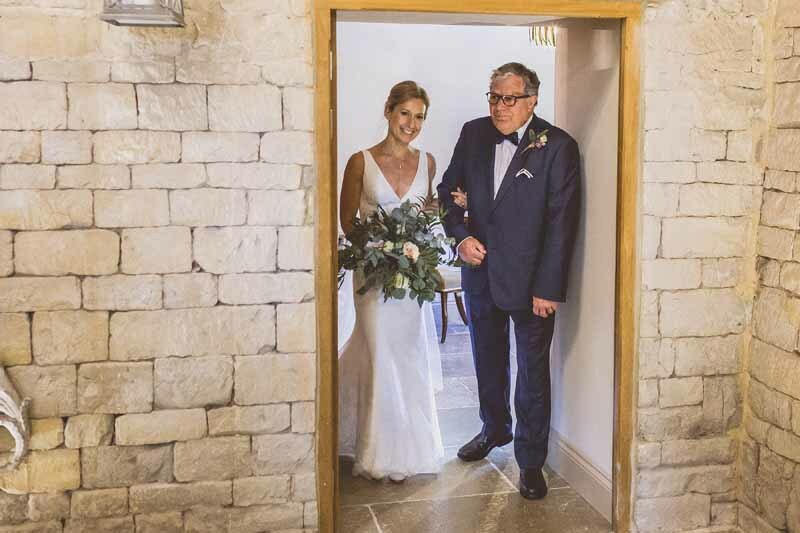 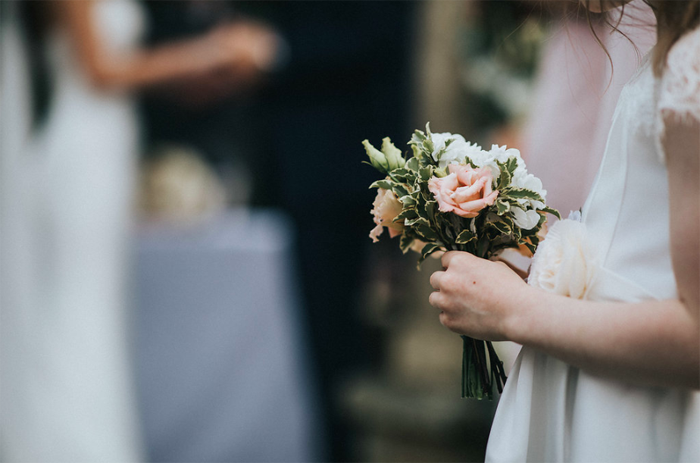 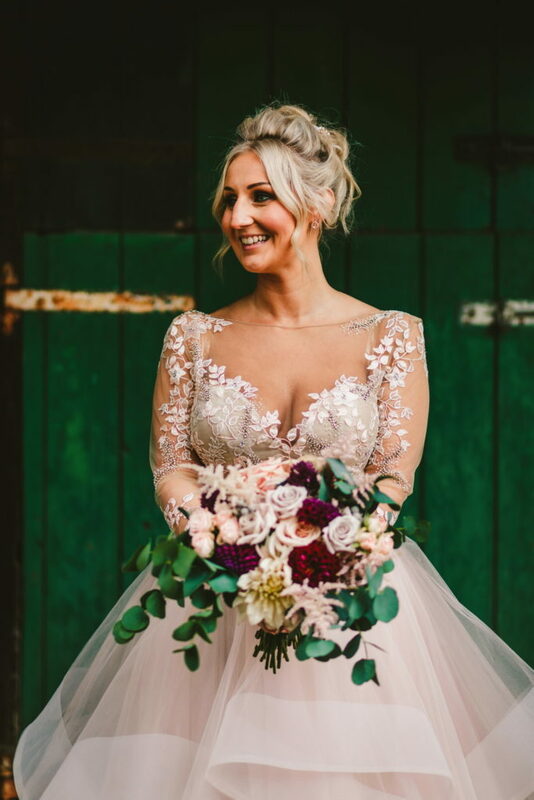 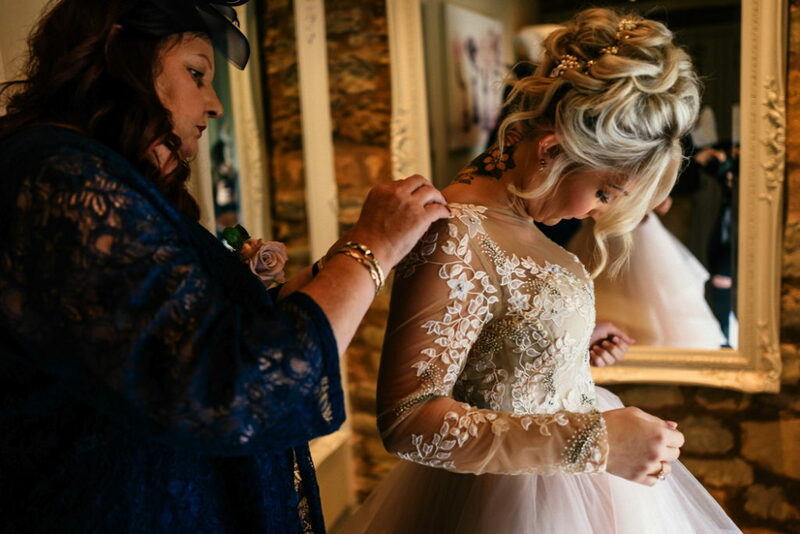 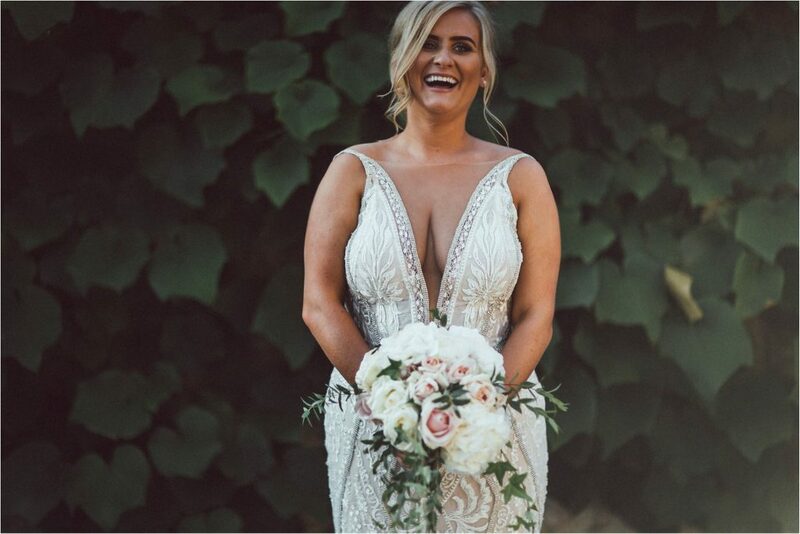 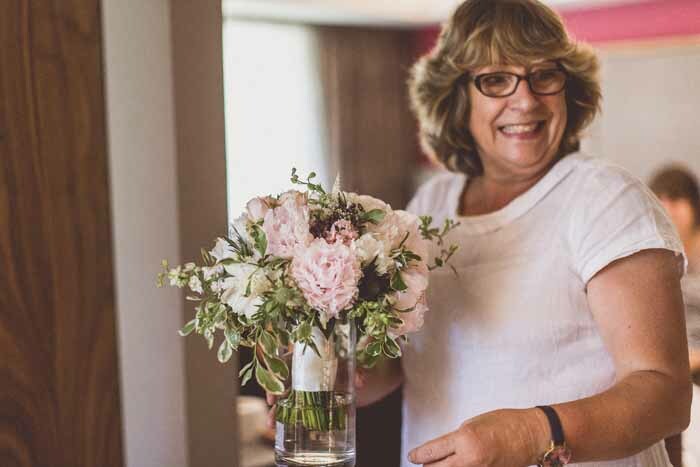 Clare’s bouquet was soft and romantic to tie in with her bridal gown and she carried a treasured photo of her Nan with her throughout her wedding day. 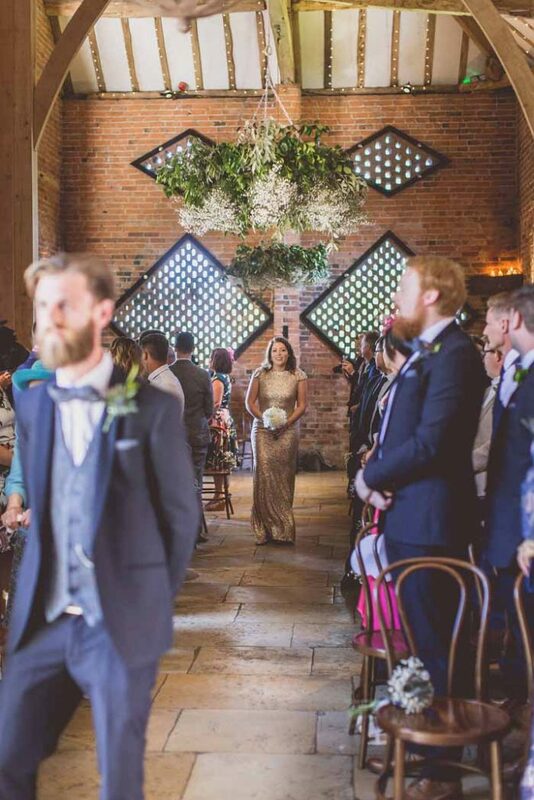 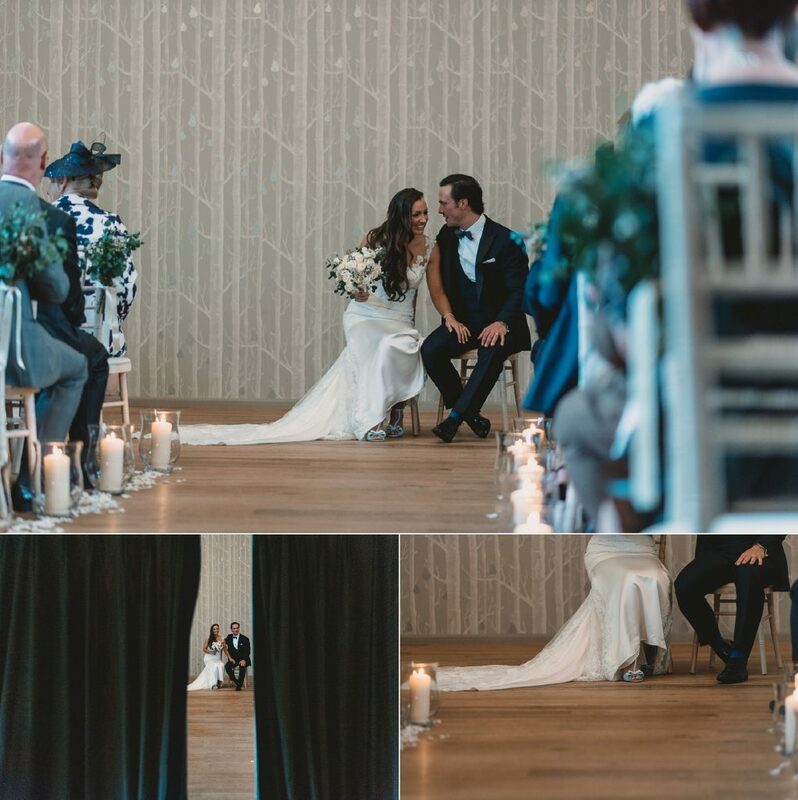 The bespoke flower wall backdrop created a wow factor welcome for family and friends as they arrived back from church. 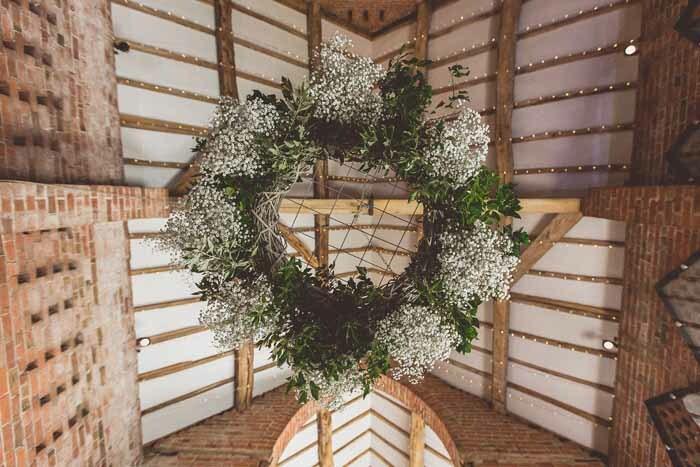 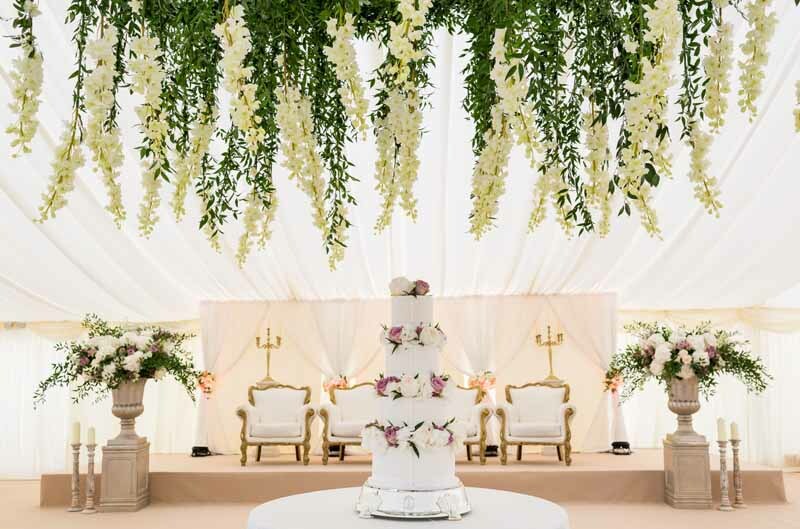 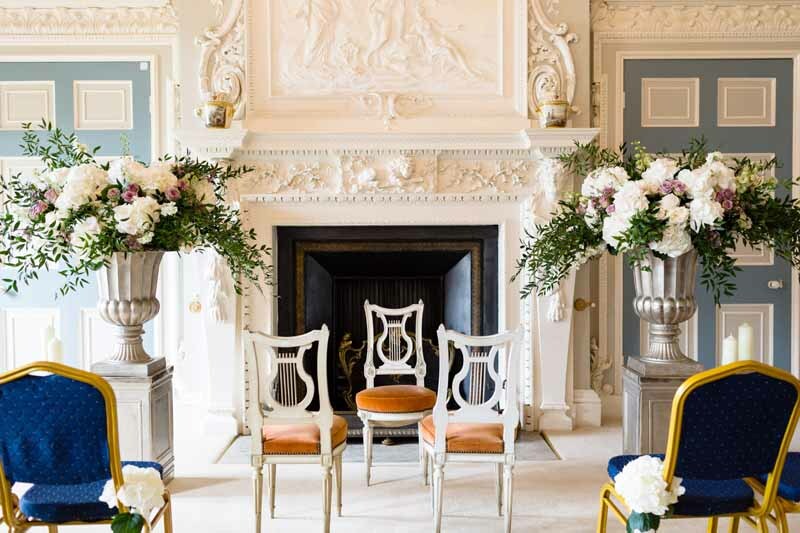 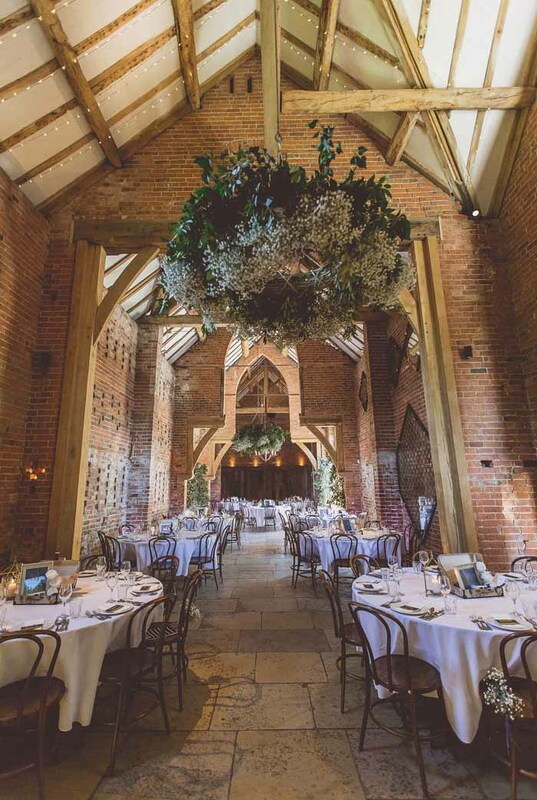 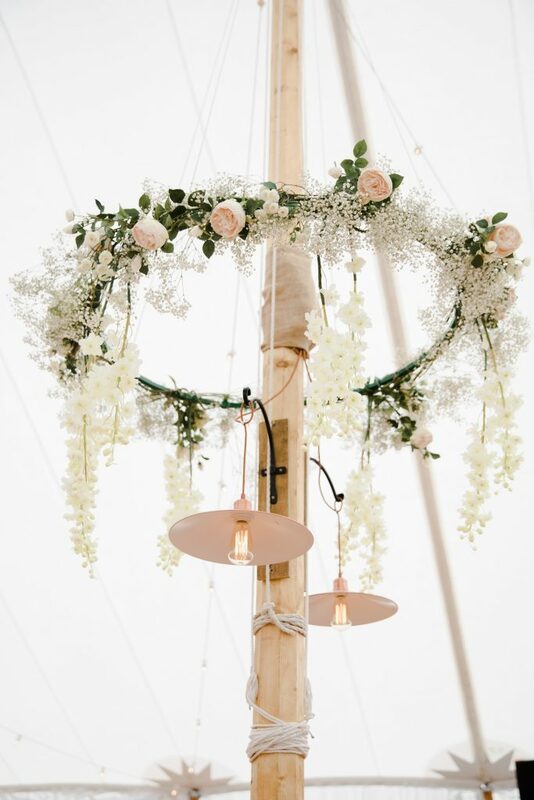 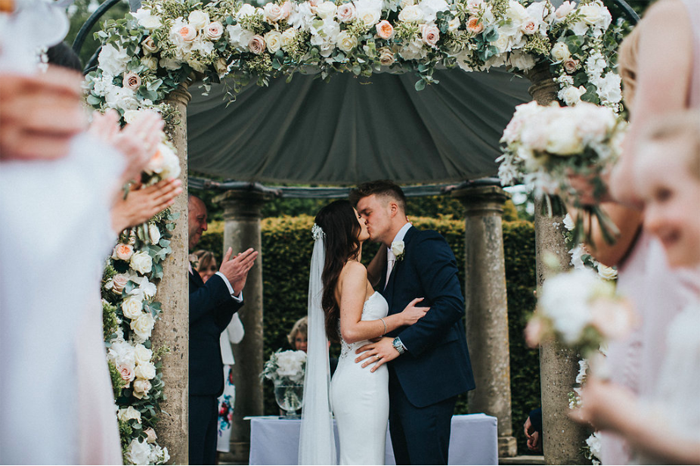 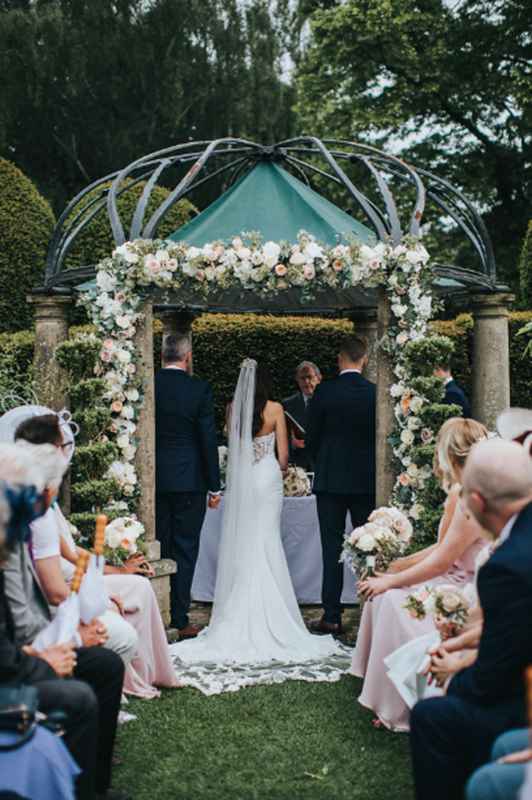 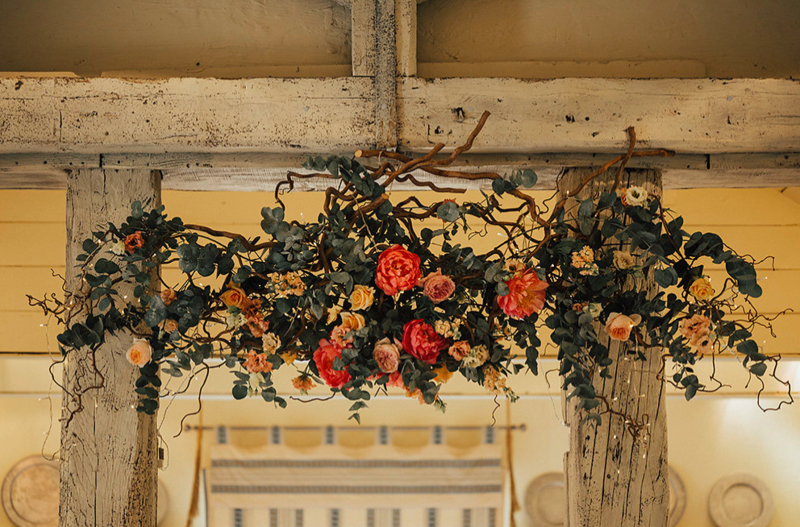 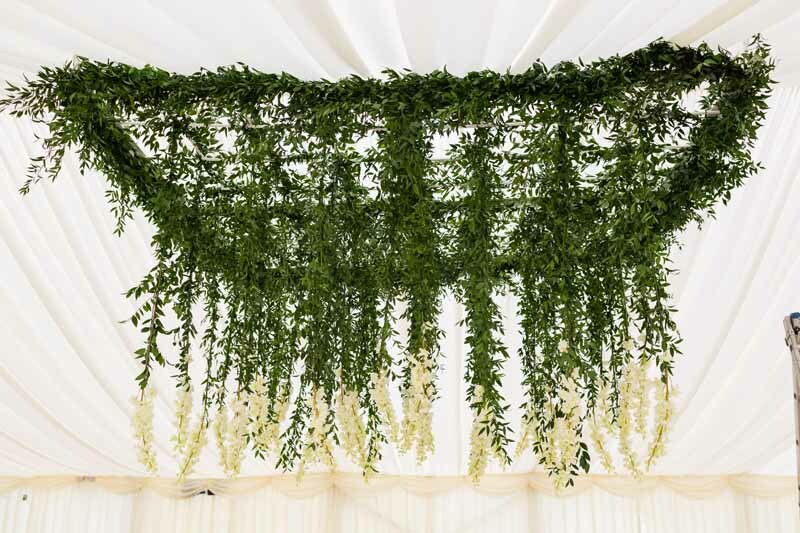 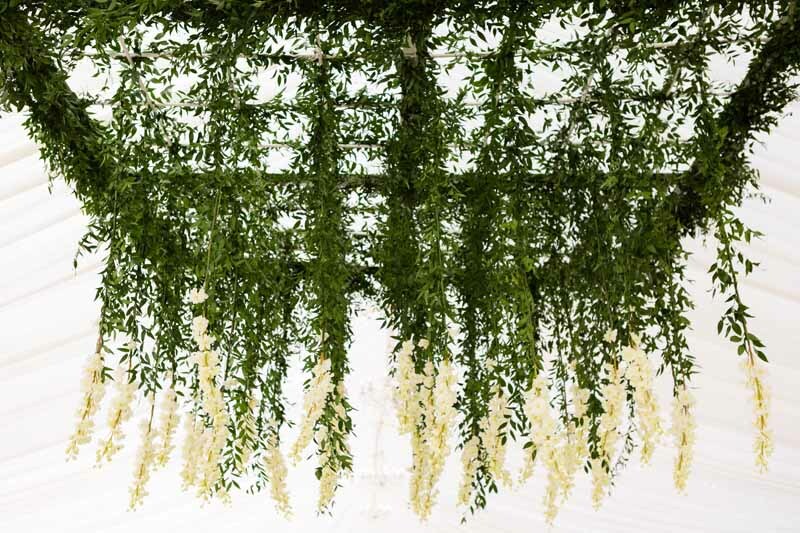 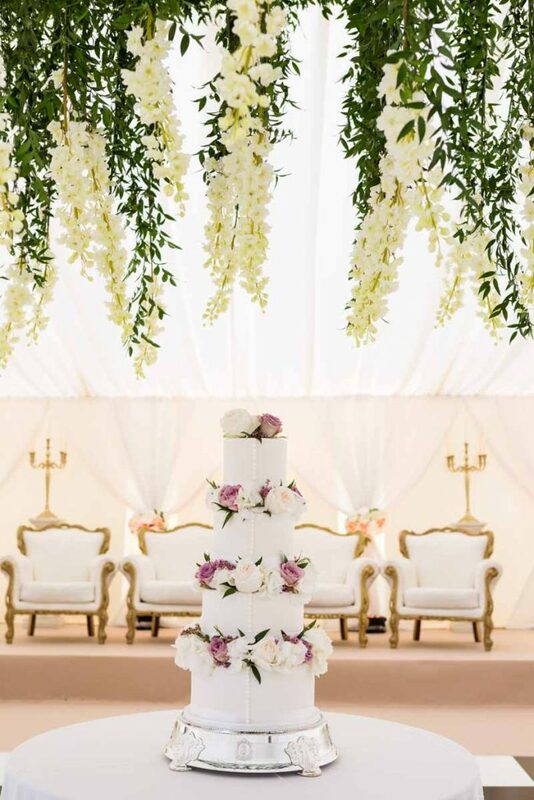 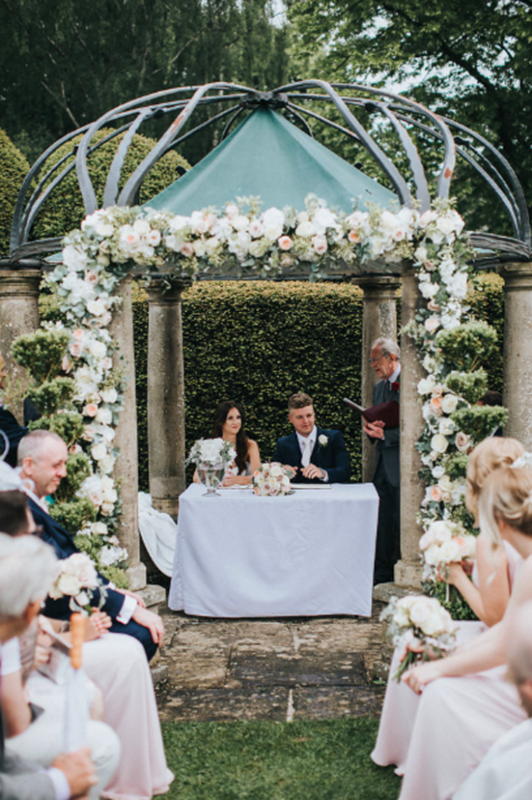 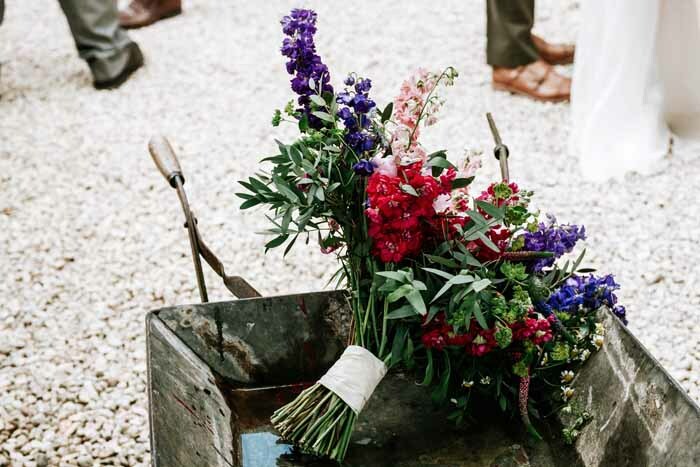 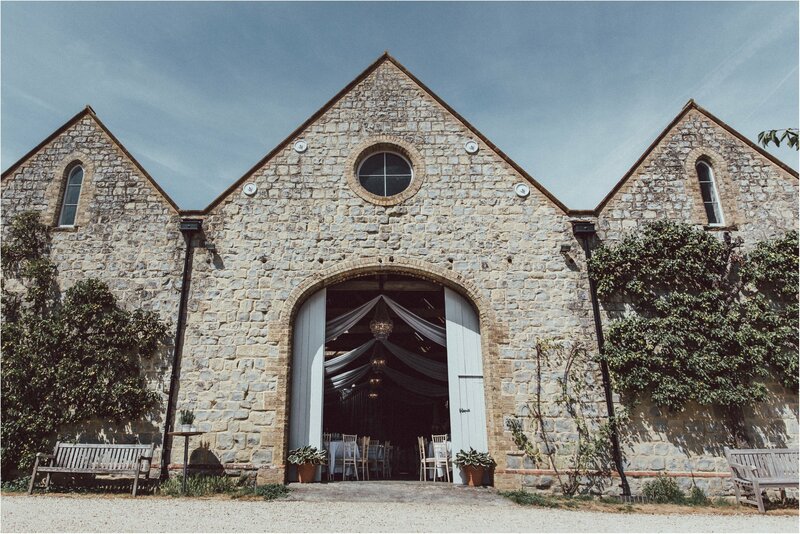 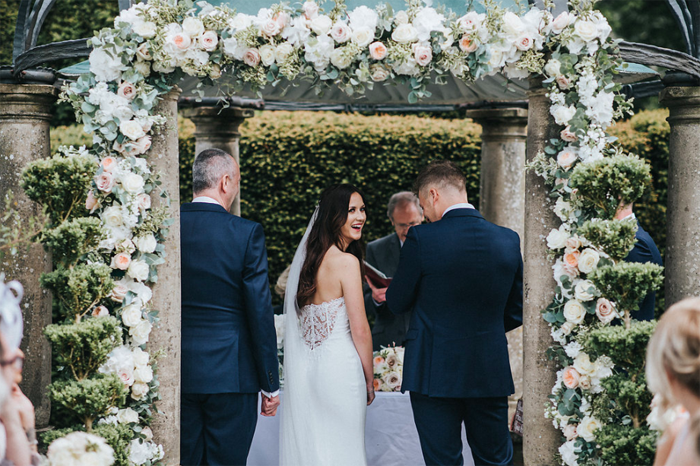 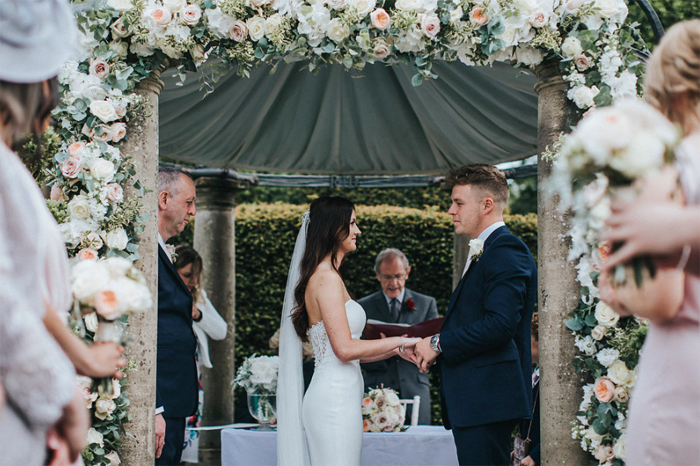 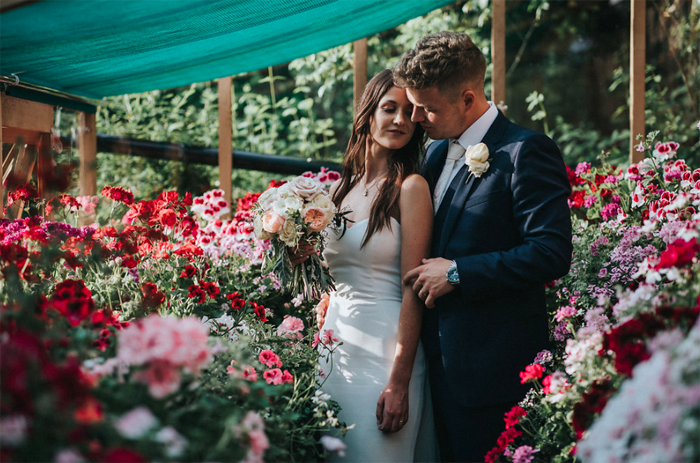 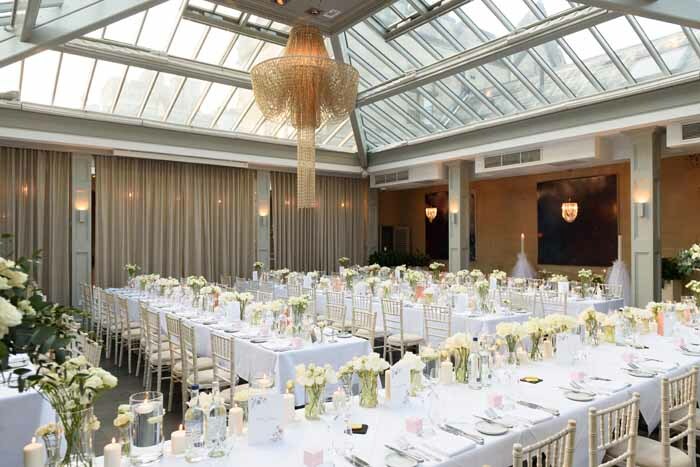 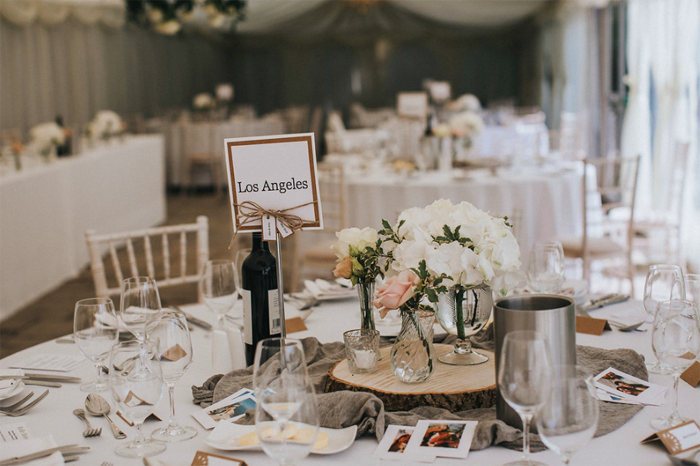 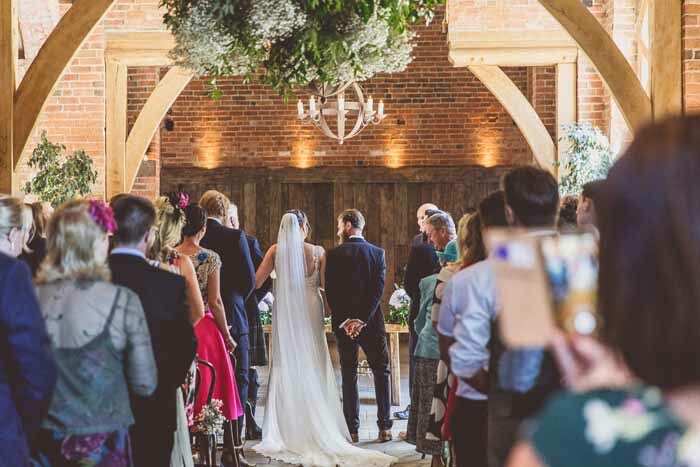 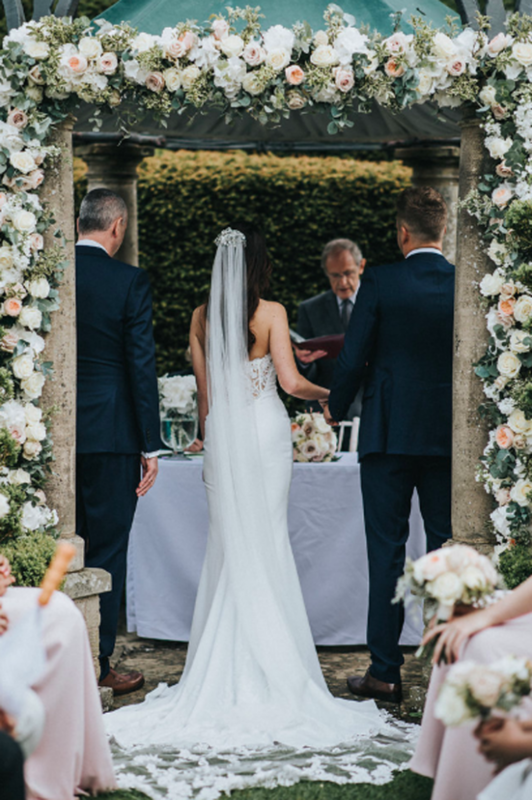 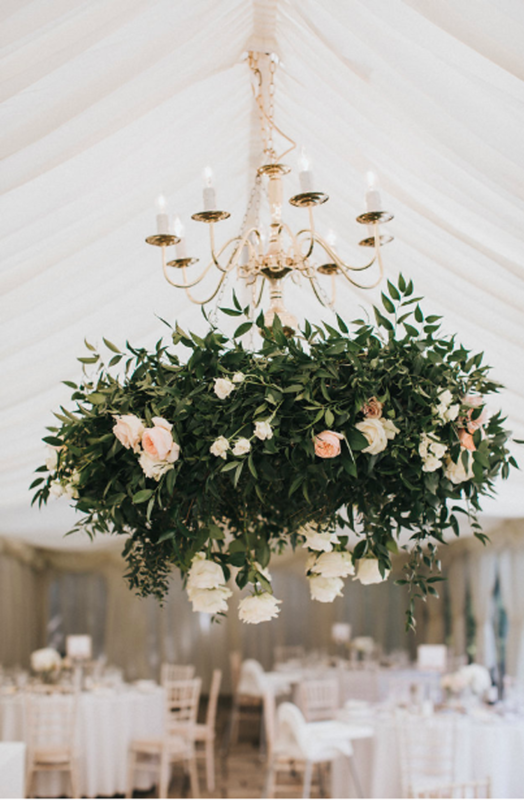 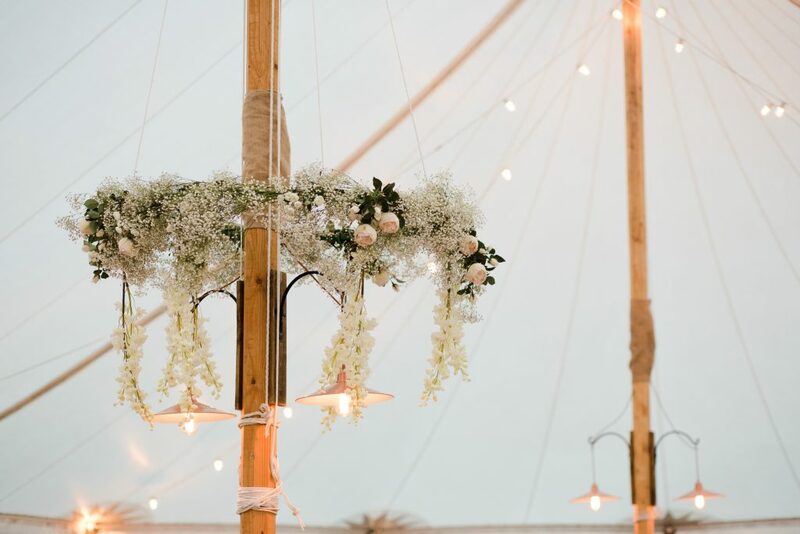 The elegant marquee was decorated with hanging hoops with the softest clouds of baby’s breath, garden roses and delphiniums. The centrepieces included a mix of designs with Clare’s favourite baby’s breath and roses. 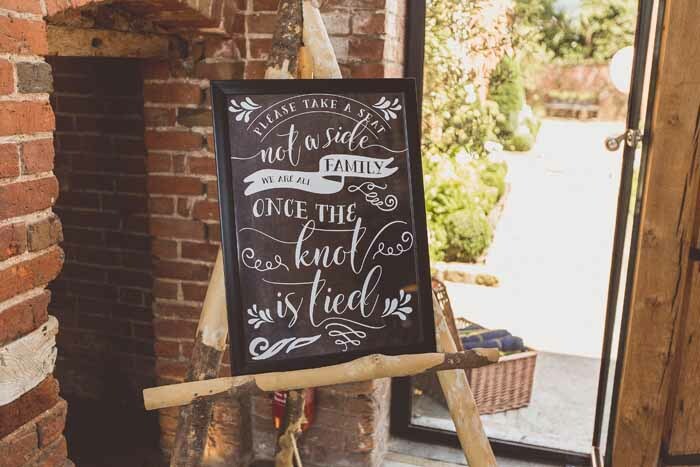 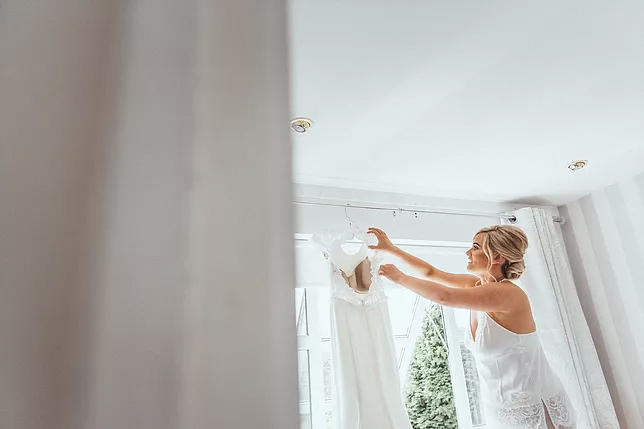 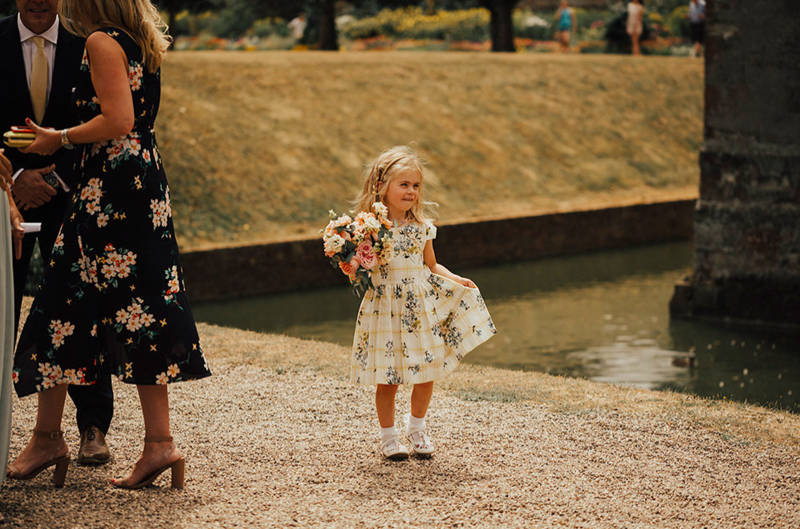 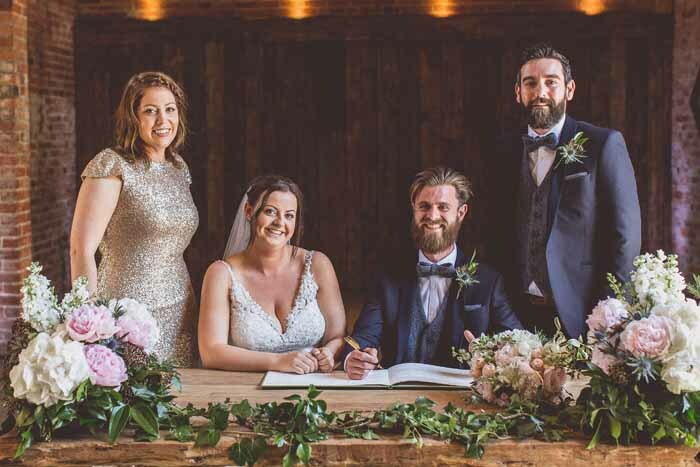 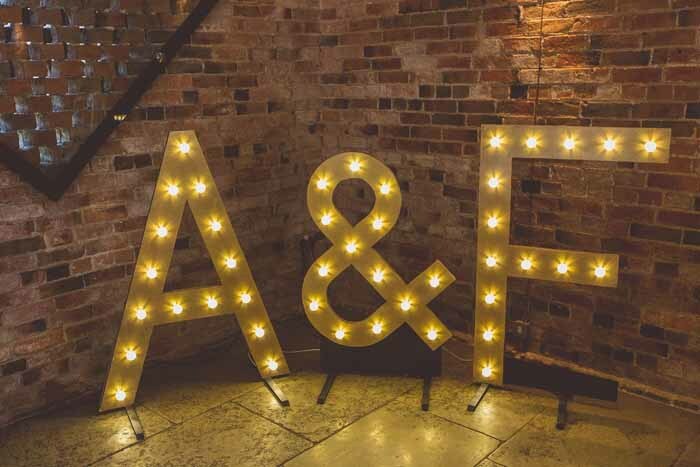 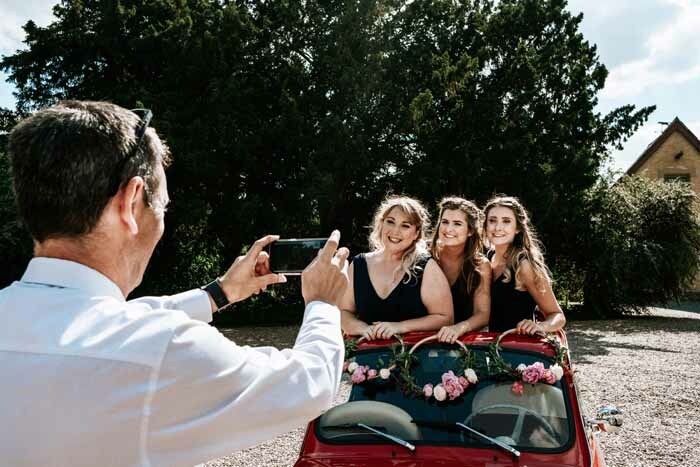 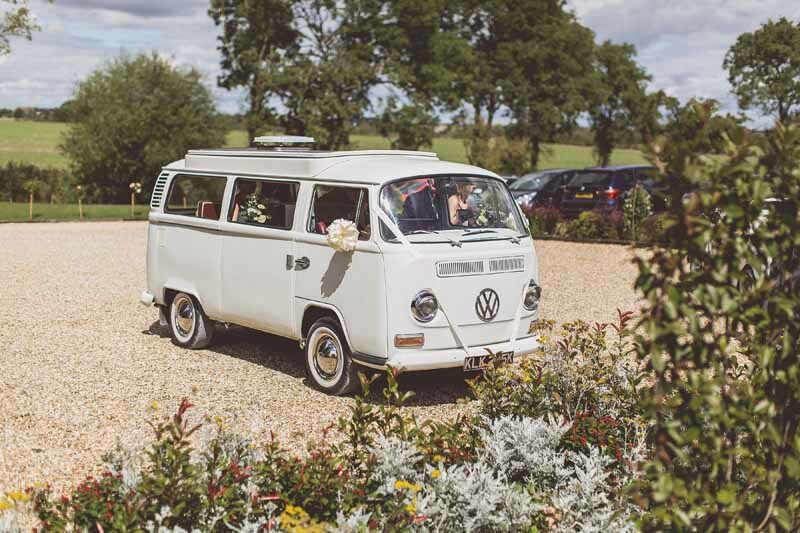 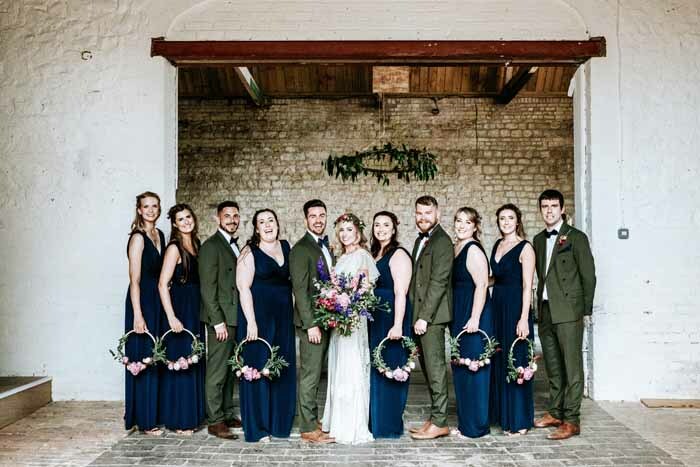 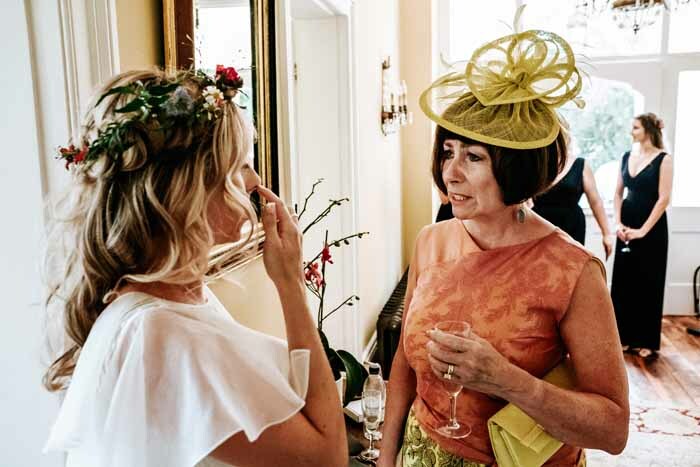 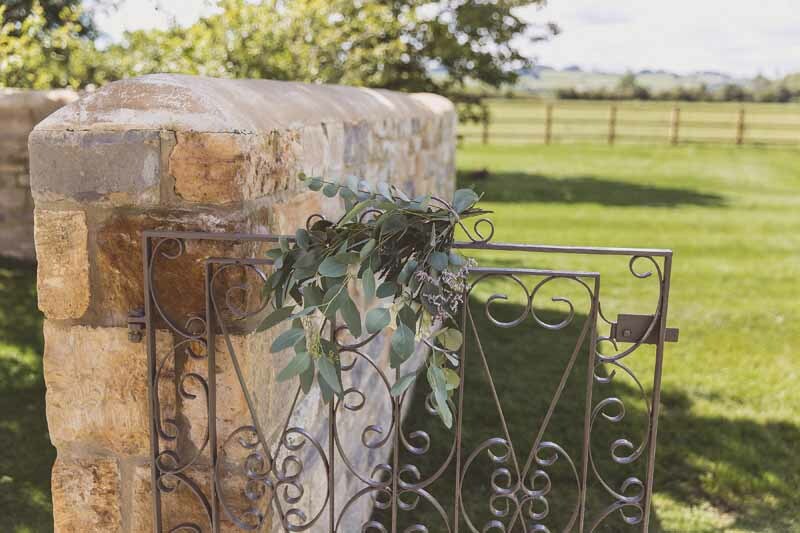 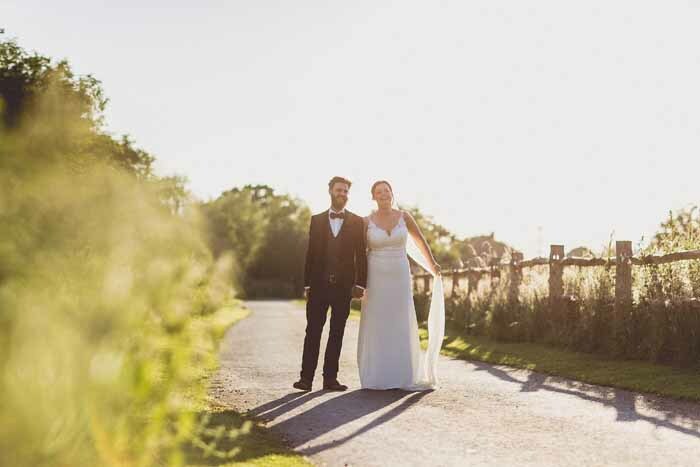 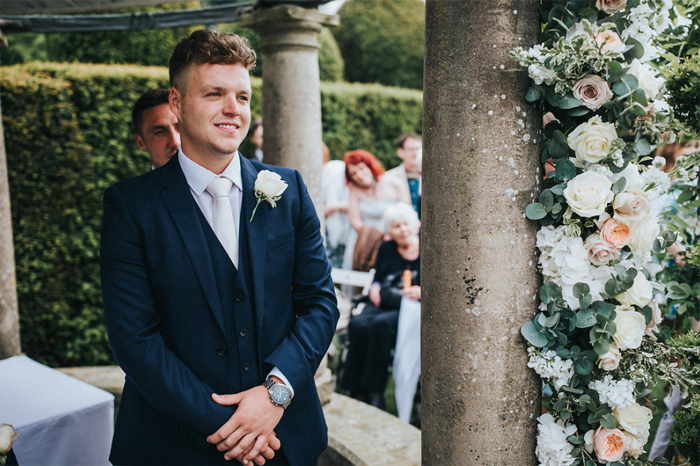 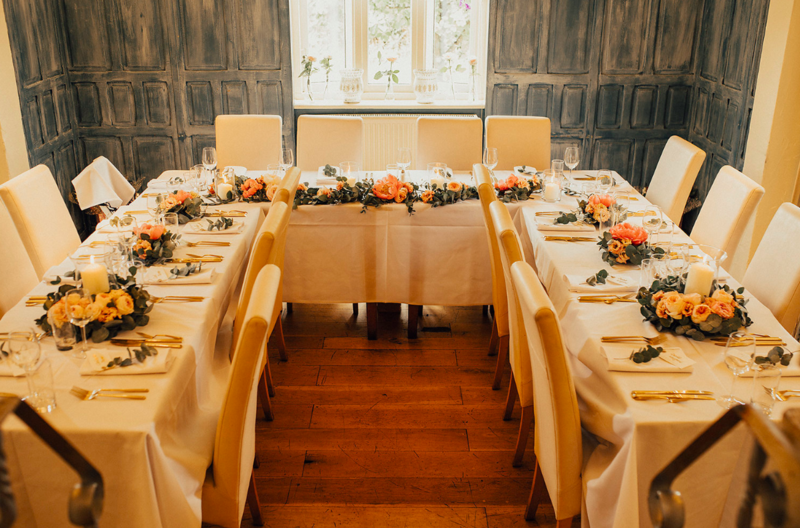 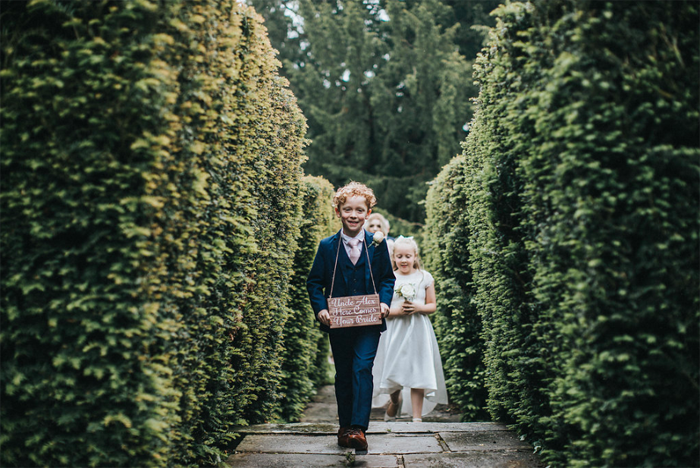 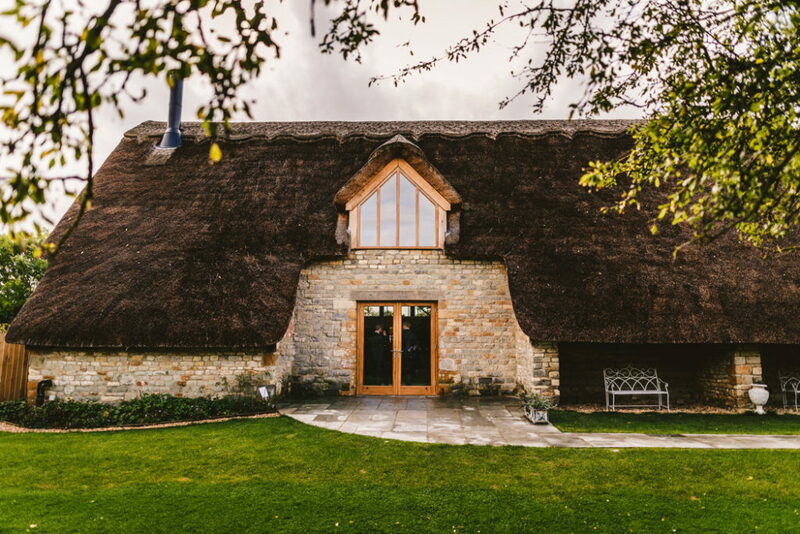 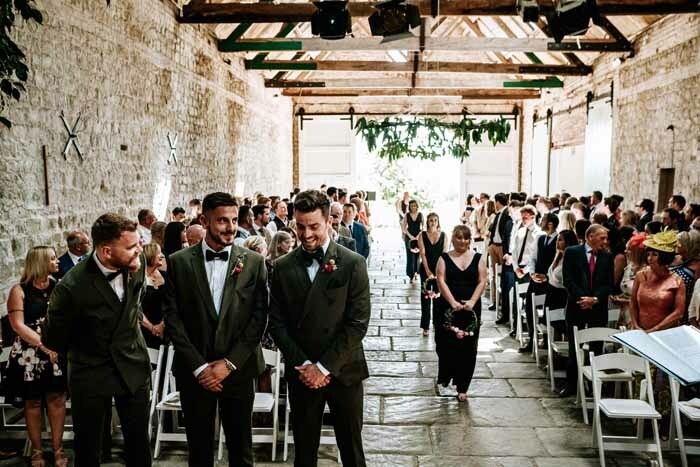 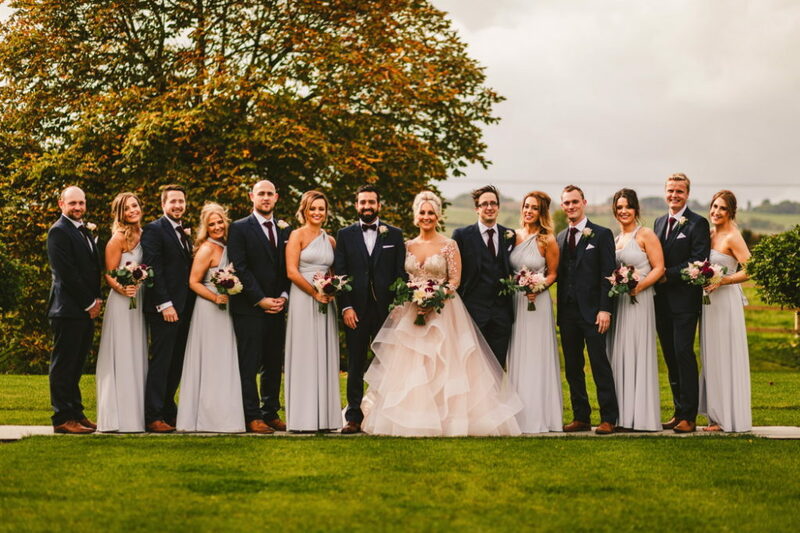 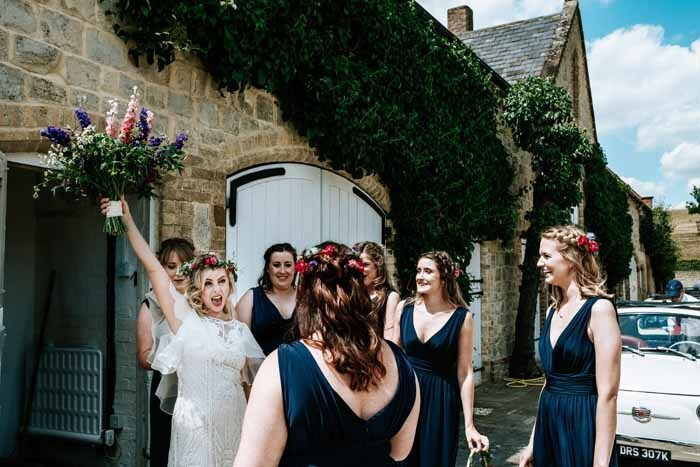 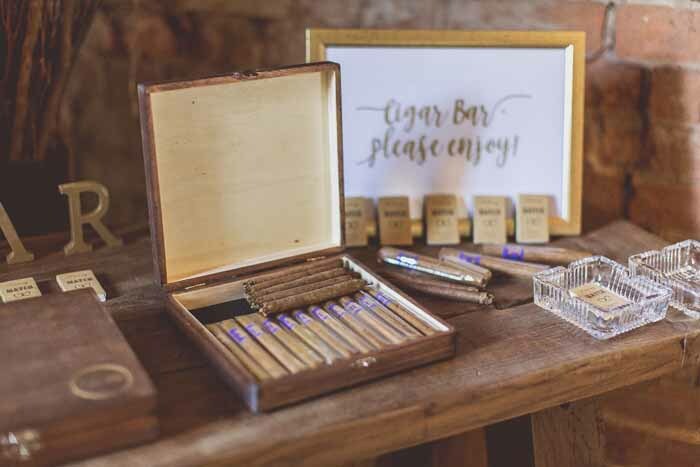 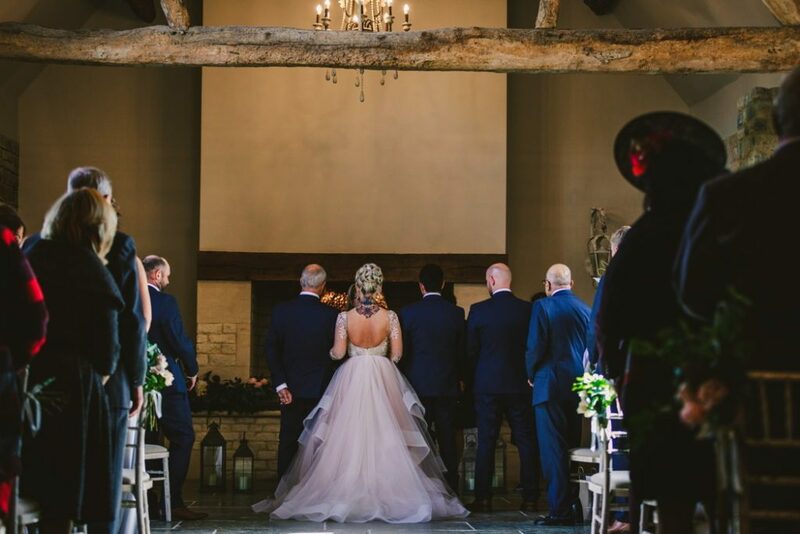 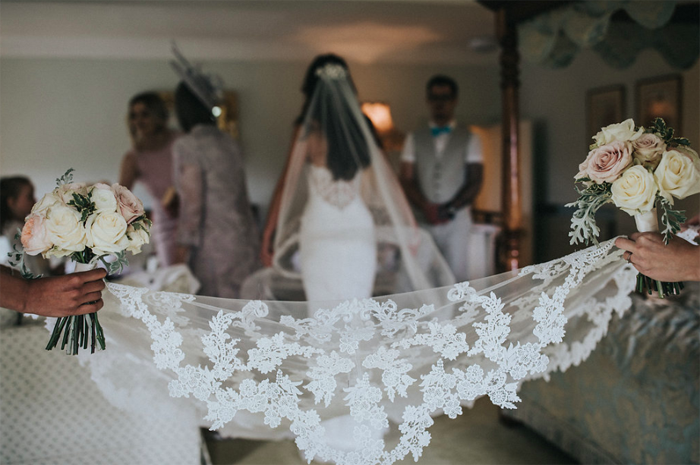 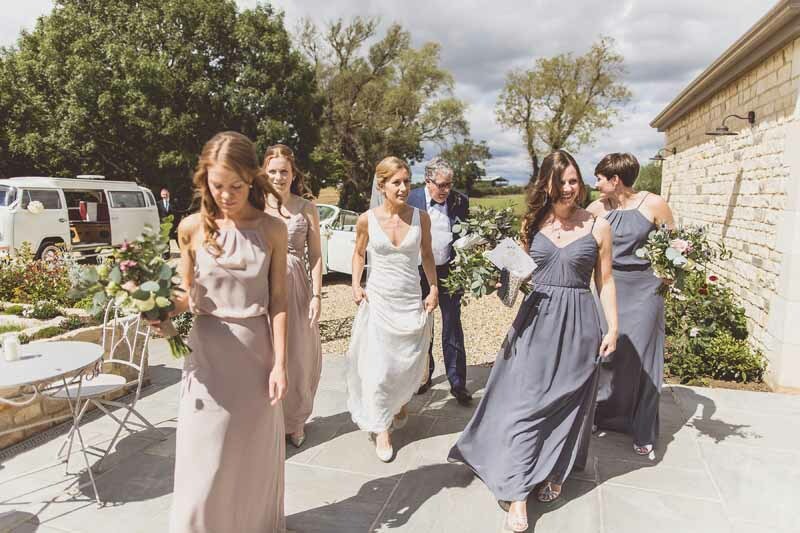 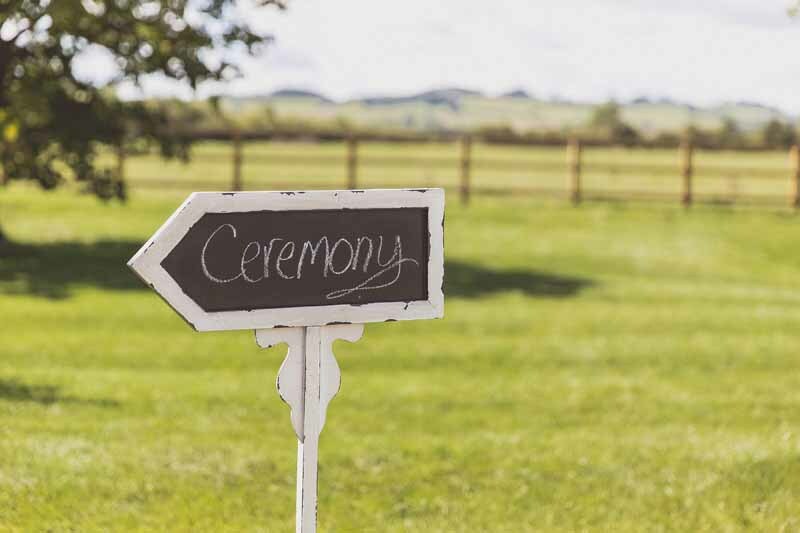 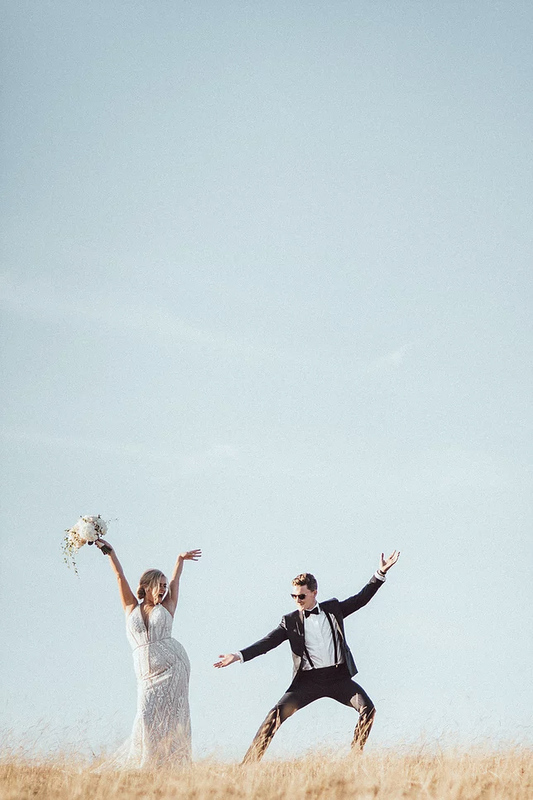 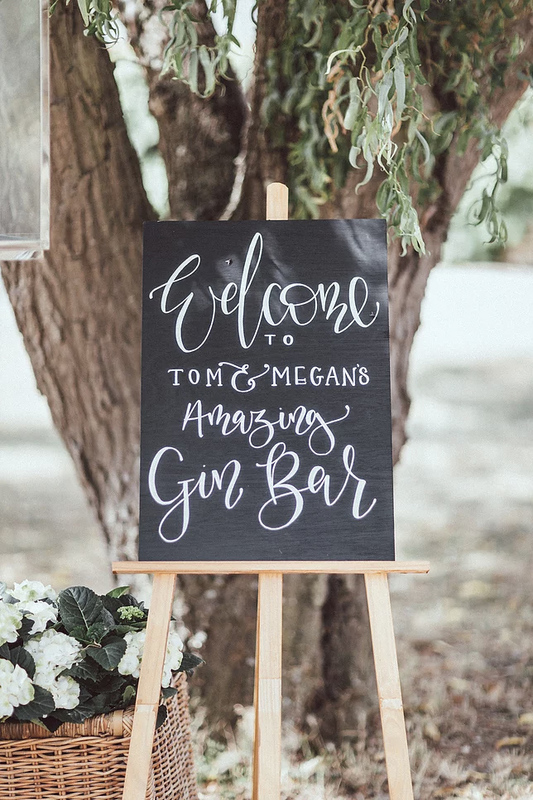 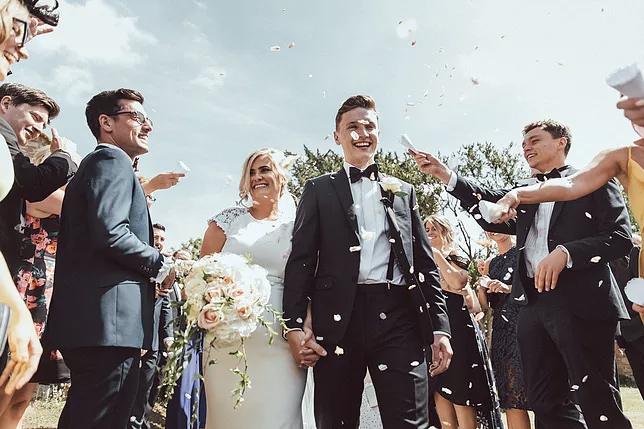 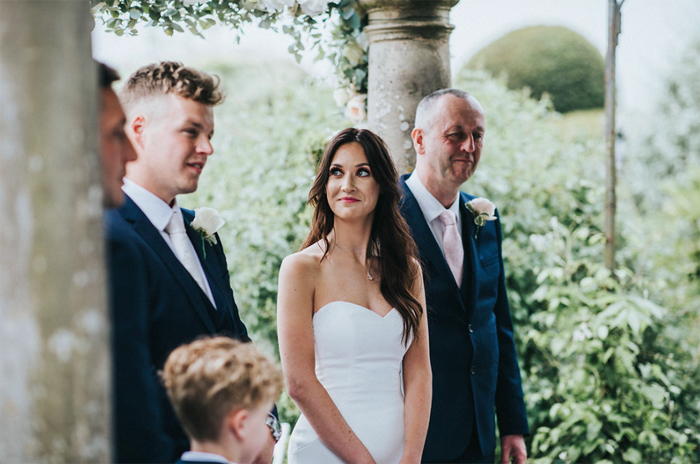 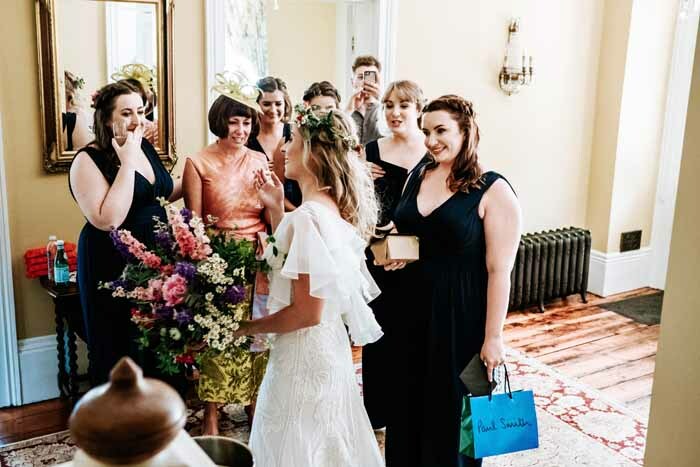 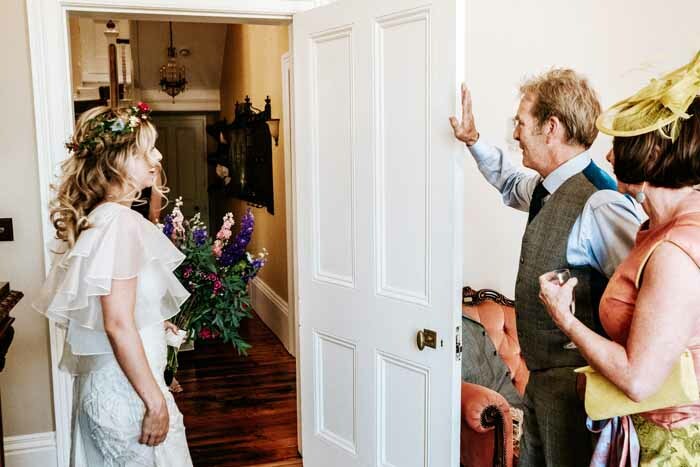 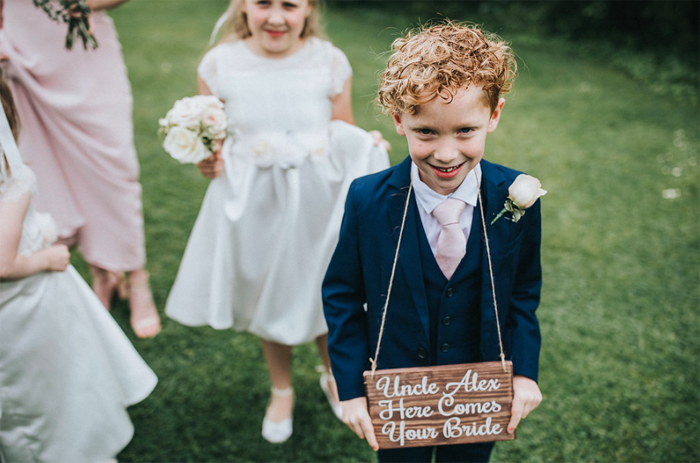 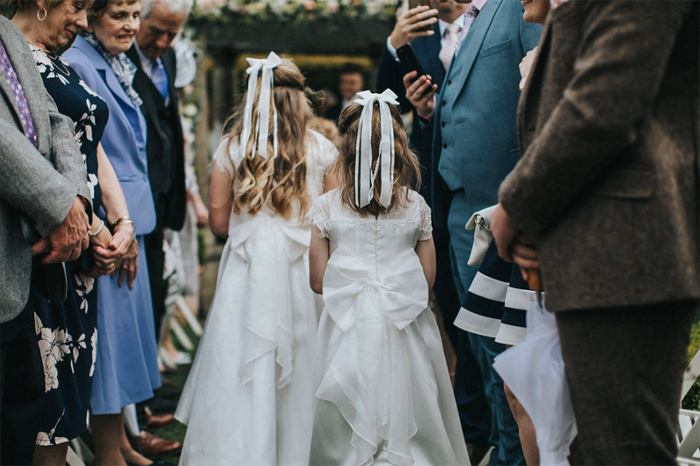 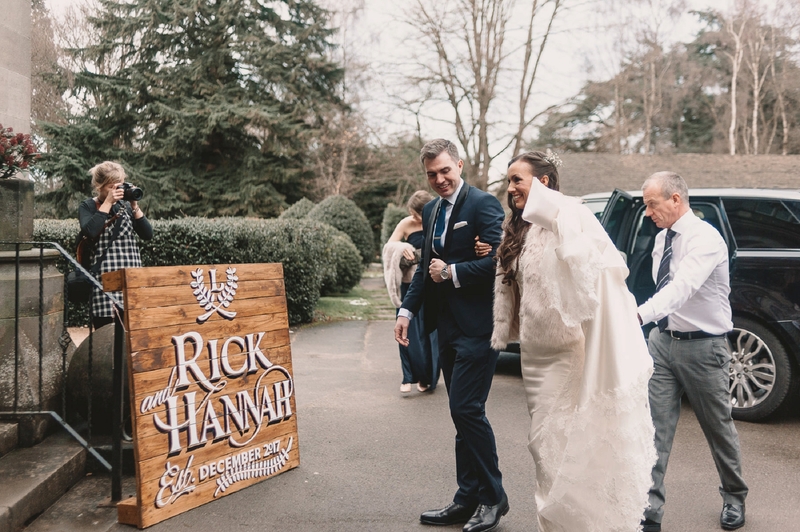 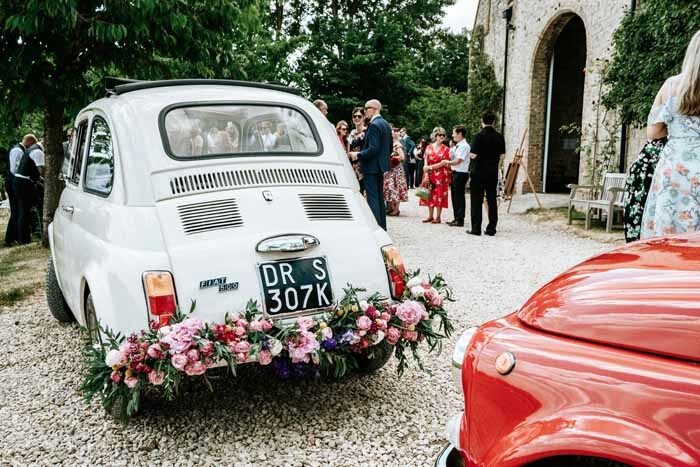 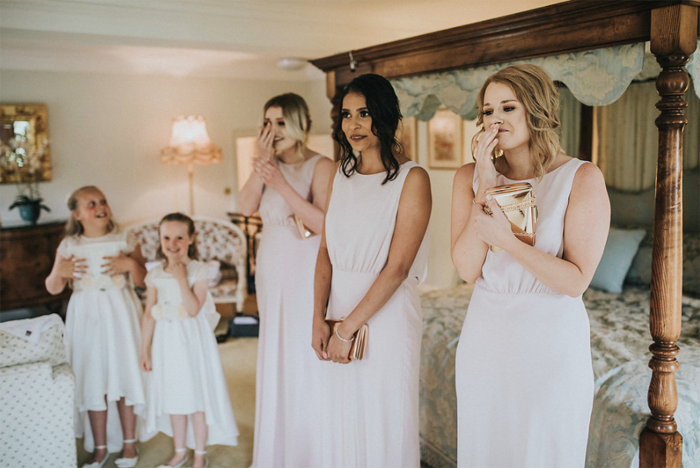 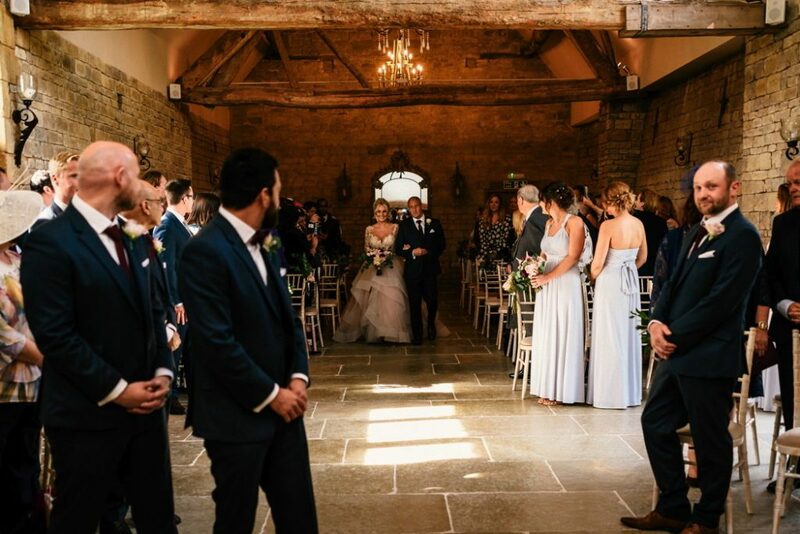 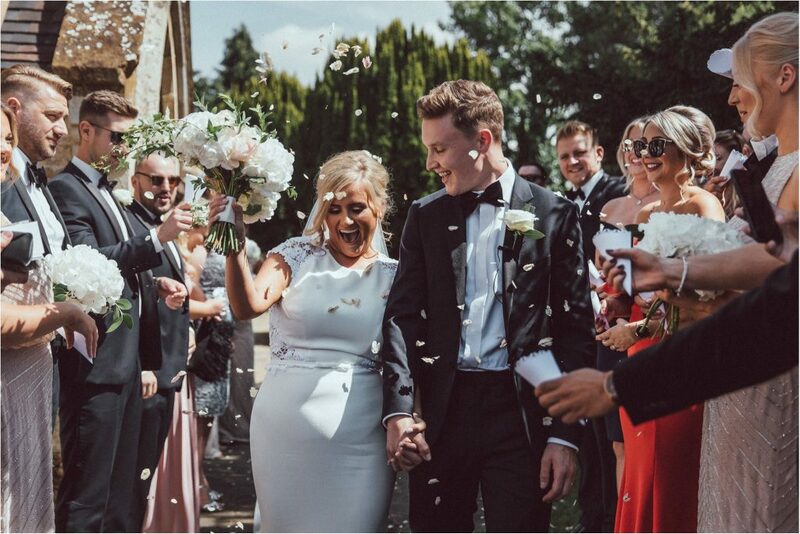 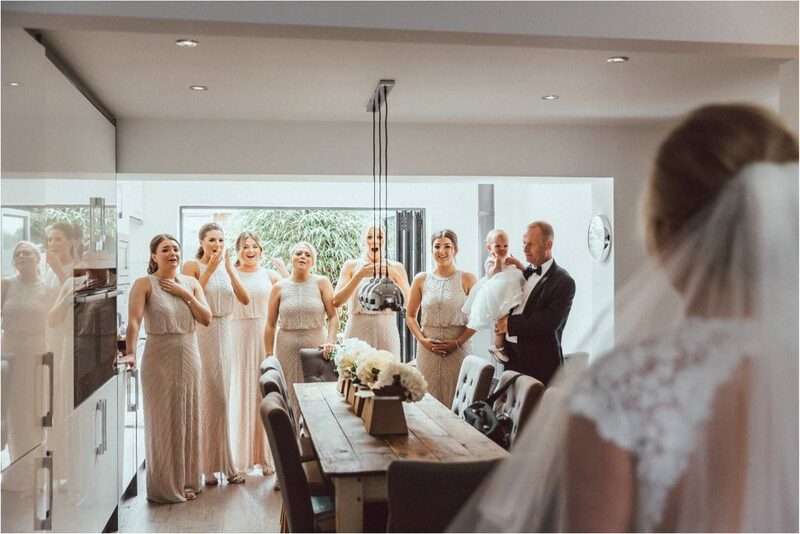 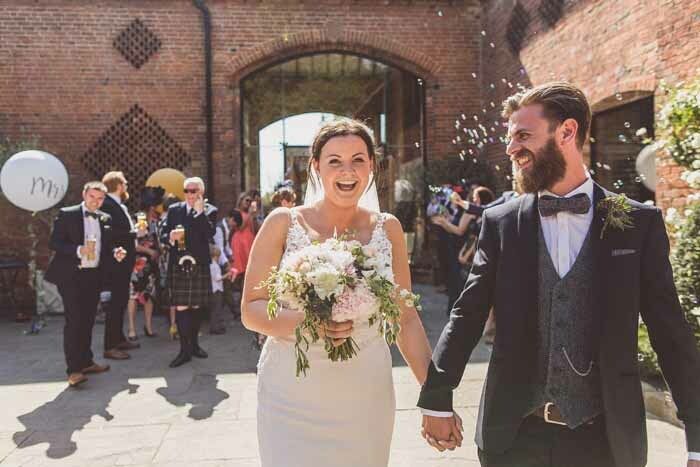 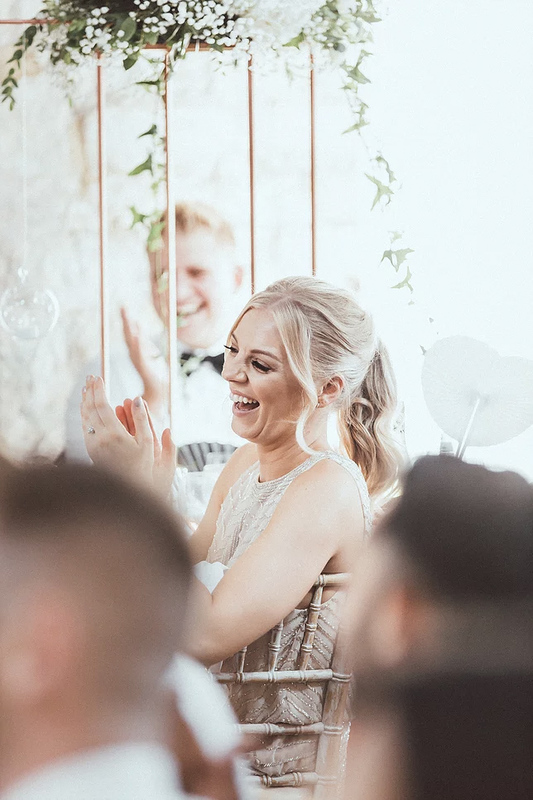 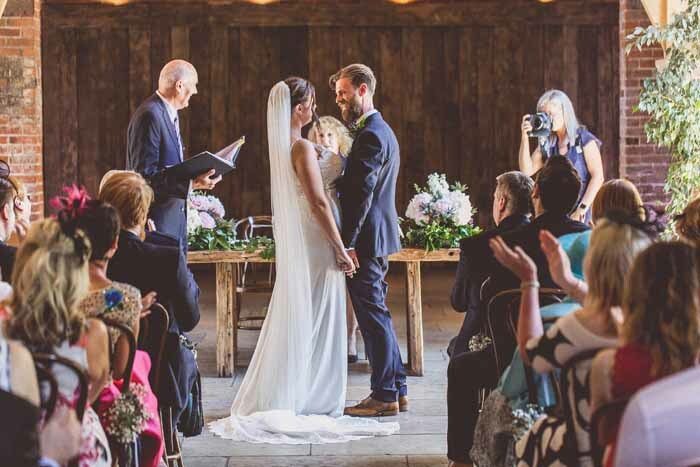 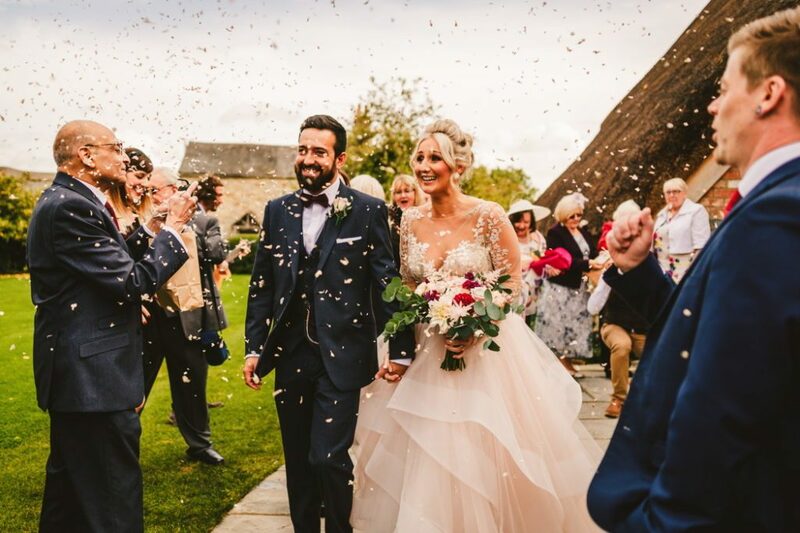 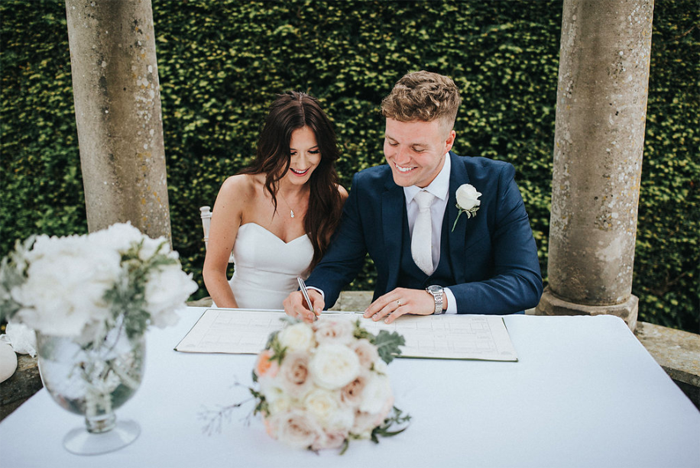 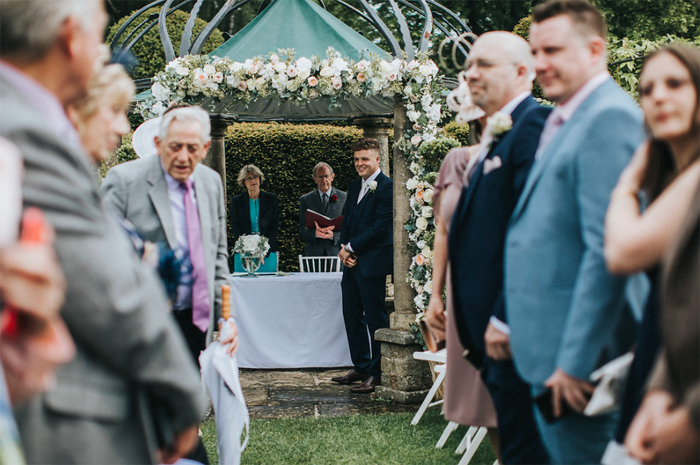 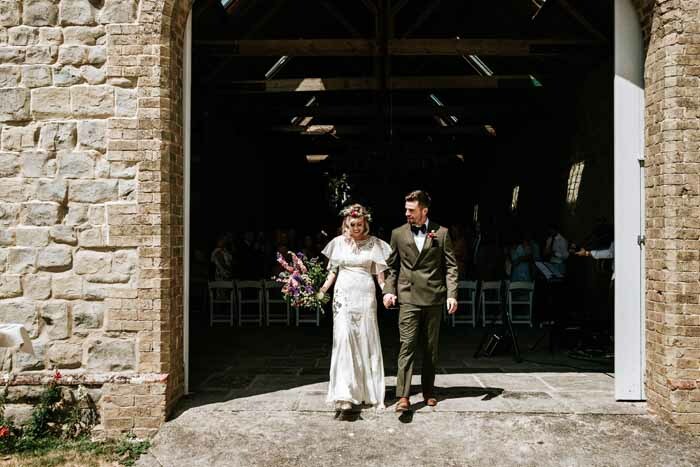 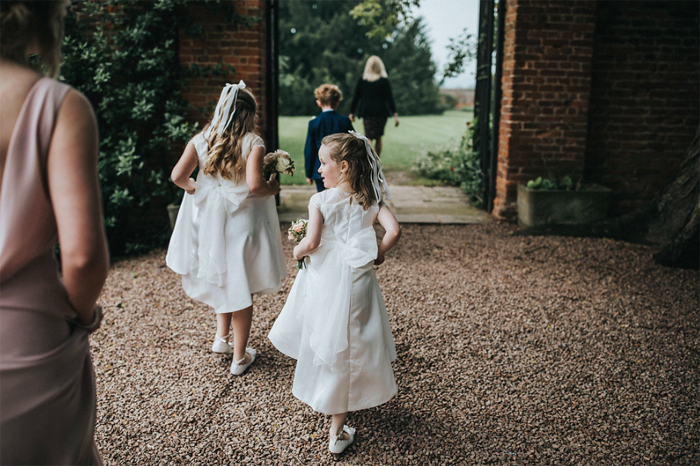 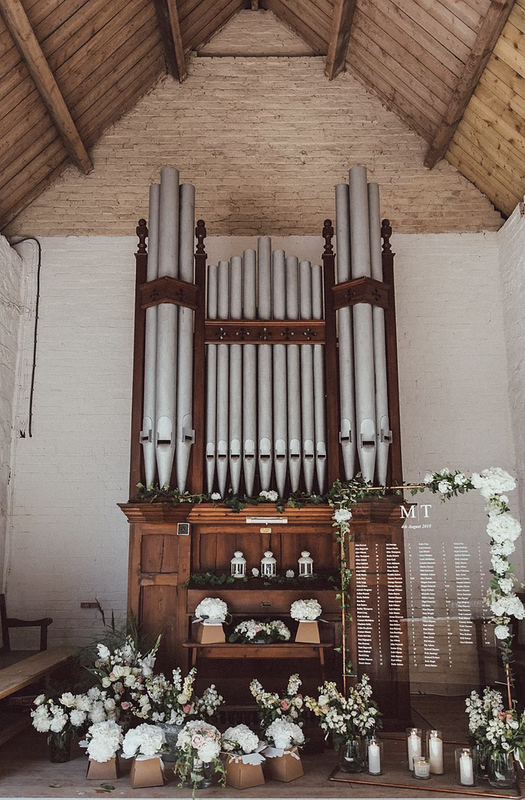 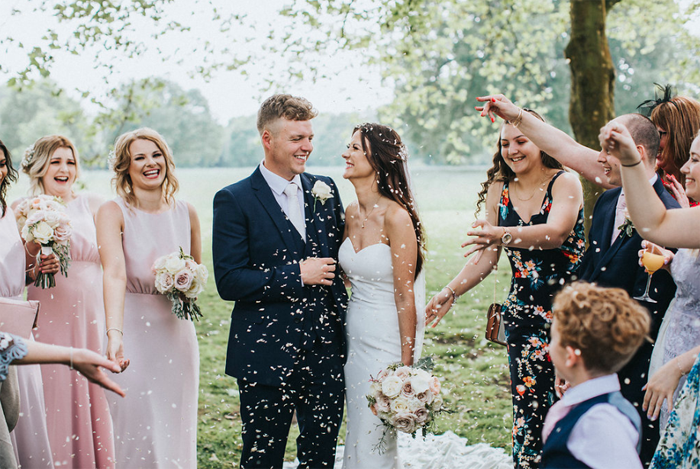 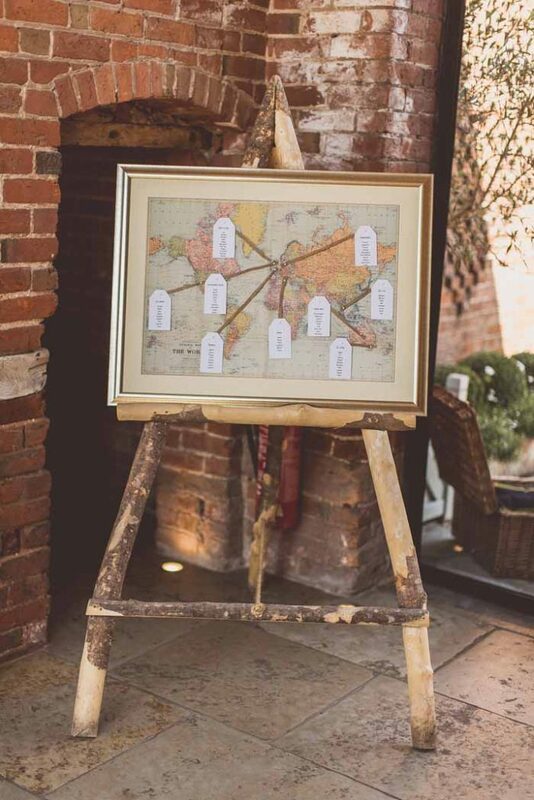 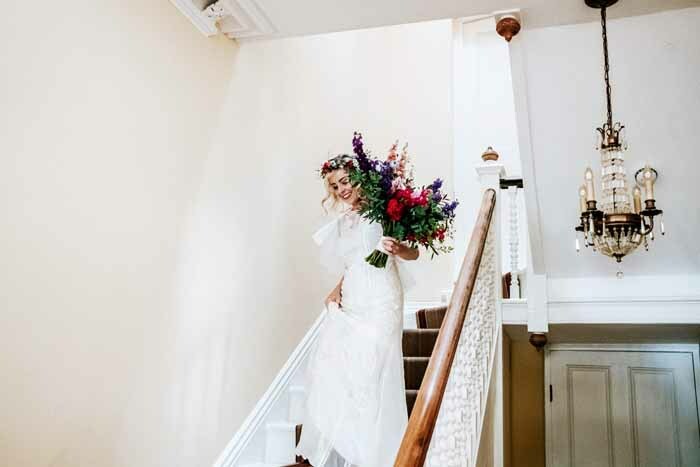 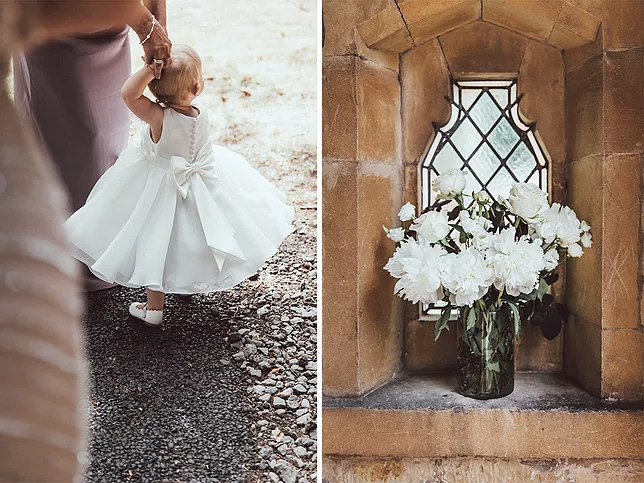 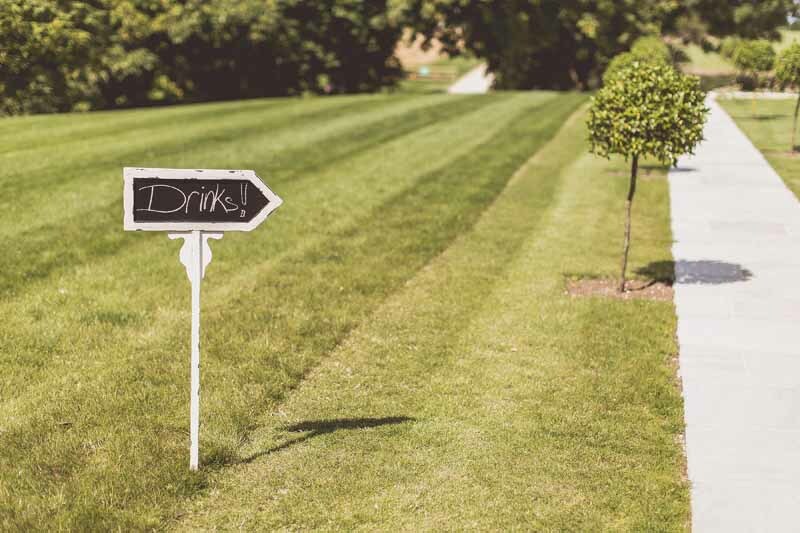 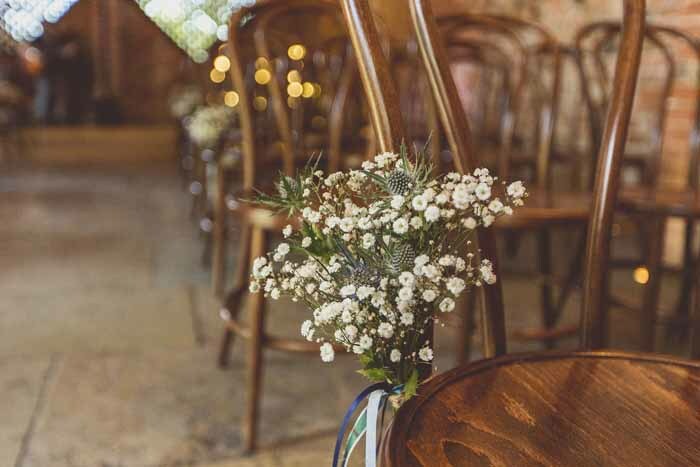 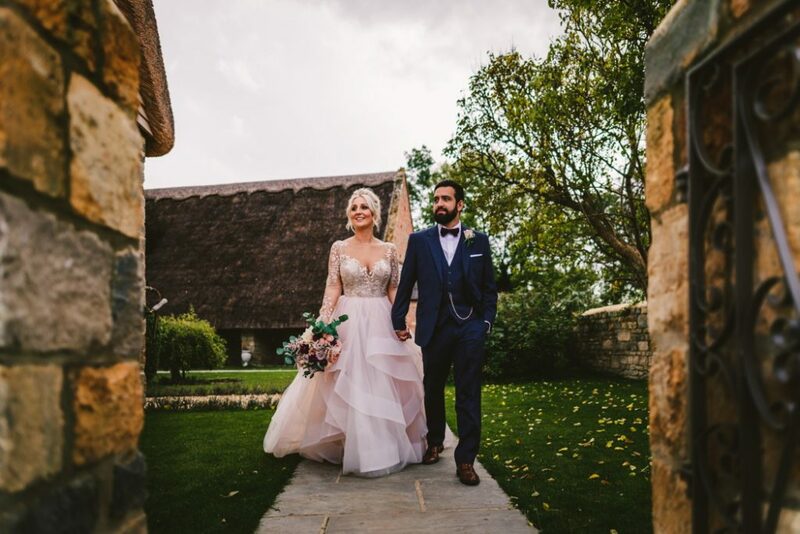 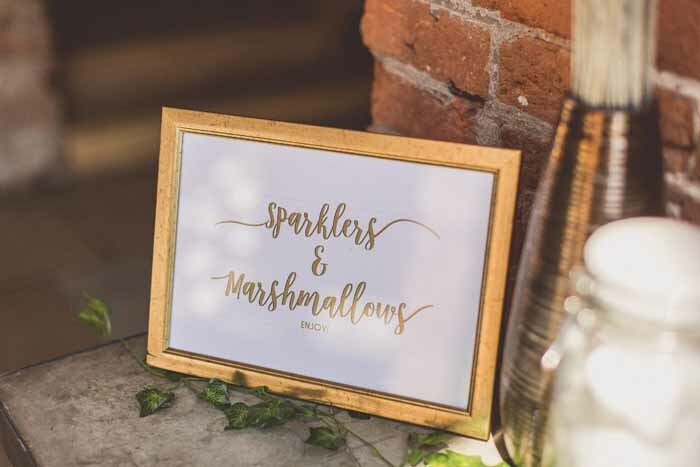 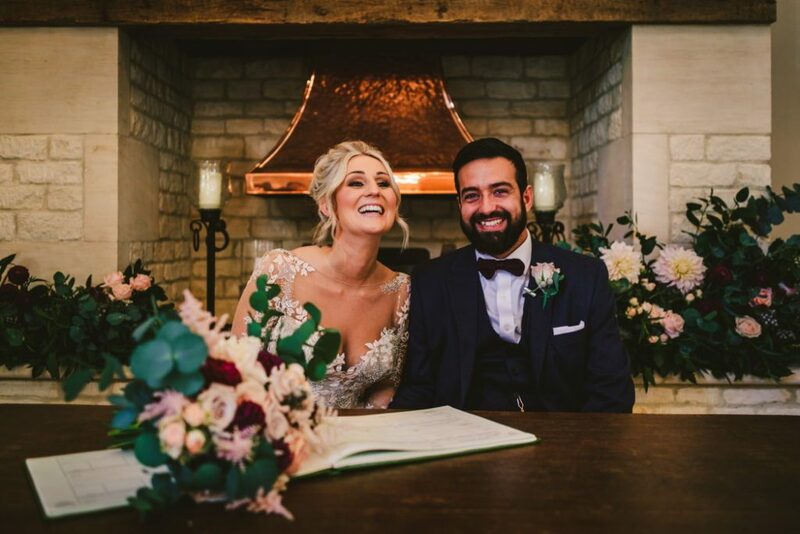 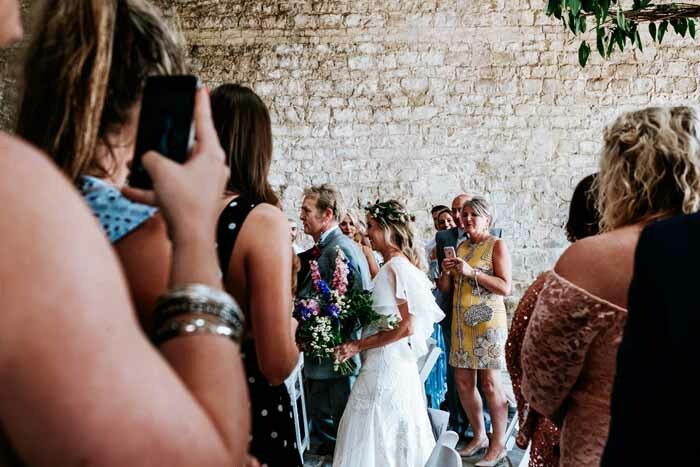 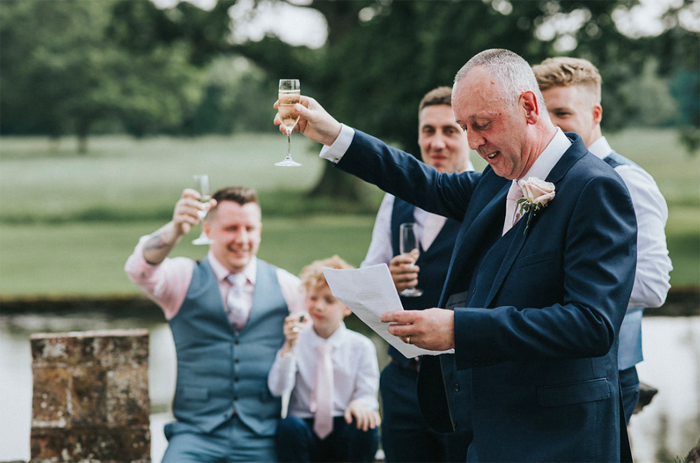 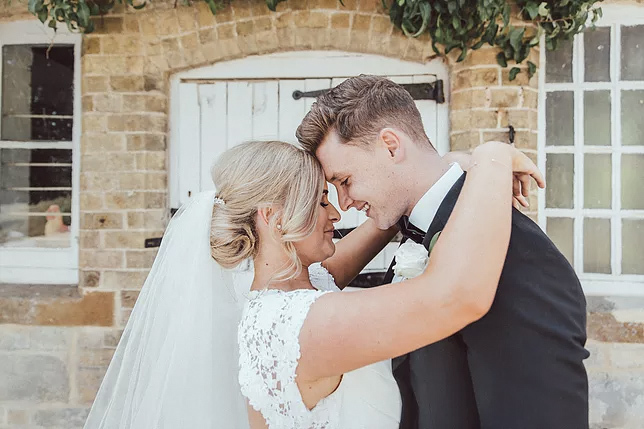 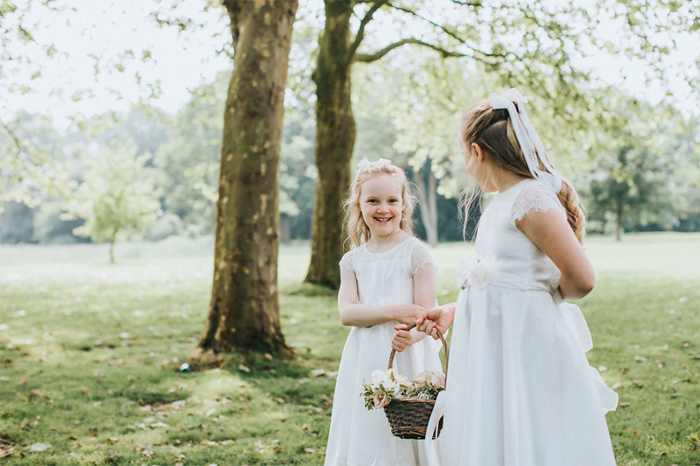 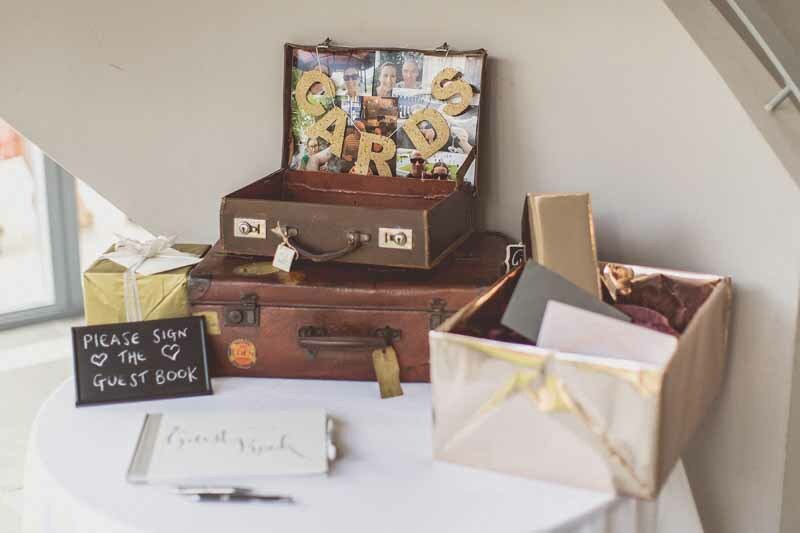 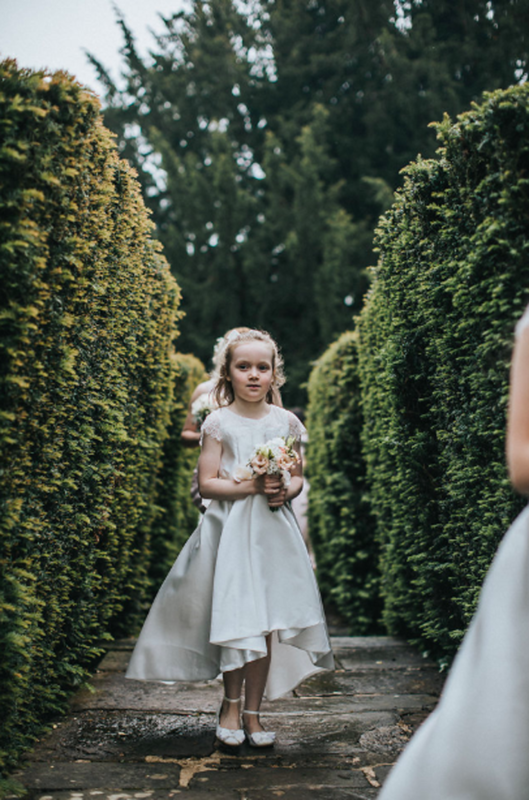 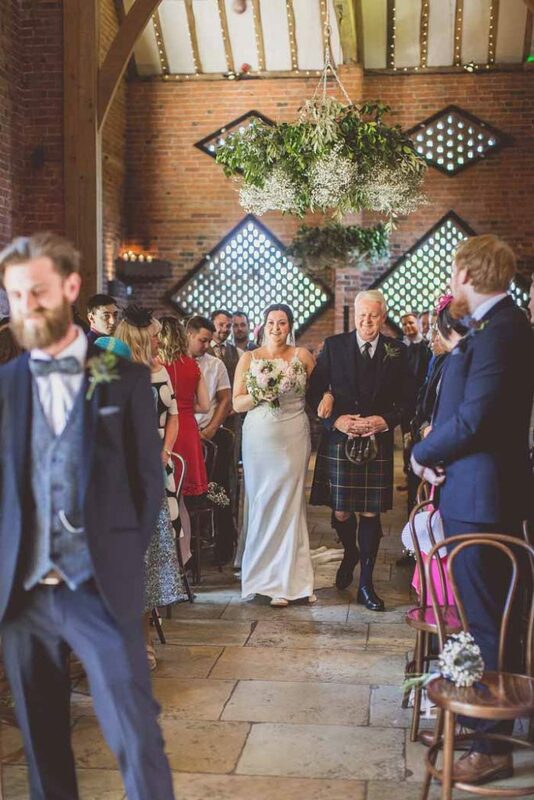 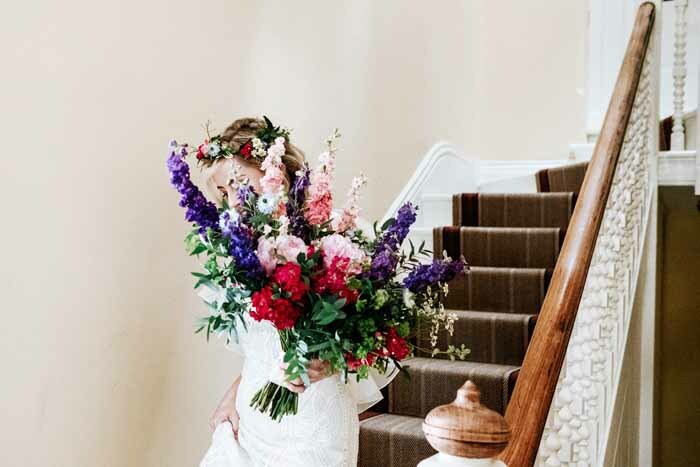 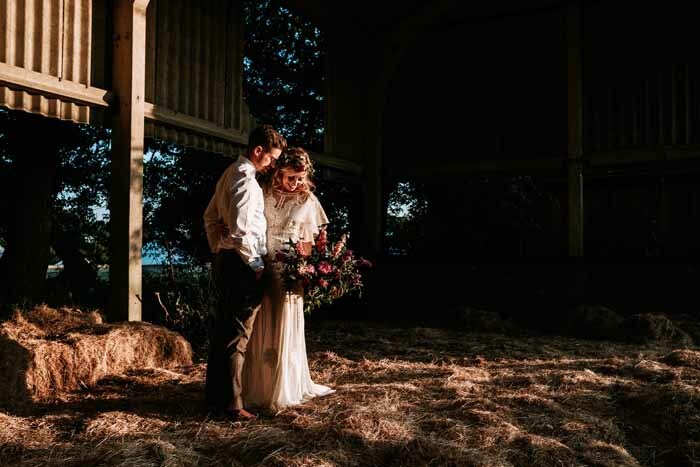 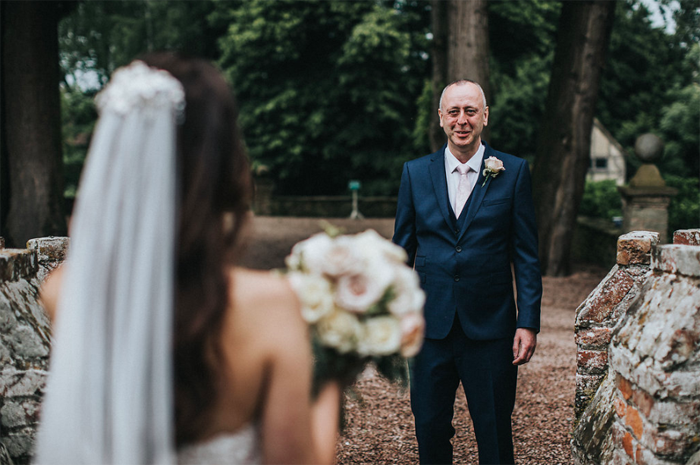 Seonaid and Oliver asked for help to create their relaxed wedding day with a church service and a family and friends get together at our gorgeous local country pub, The Malt Shovel. 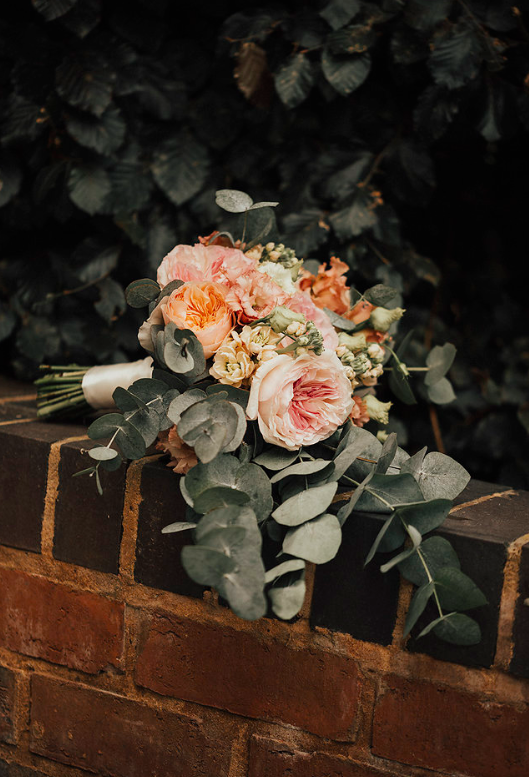 The bridal bouquet was a lovely mix of scented stocks and roses, frilly lisianthus coupled with plenty of eucalyptus foliage. 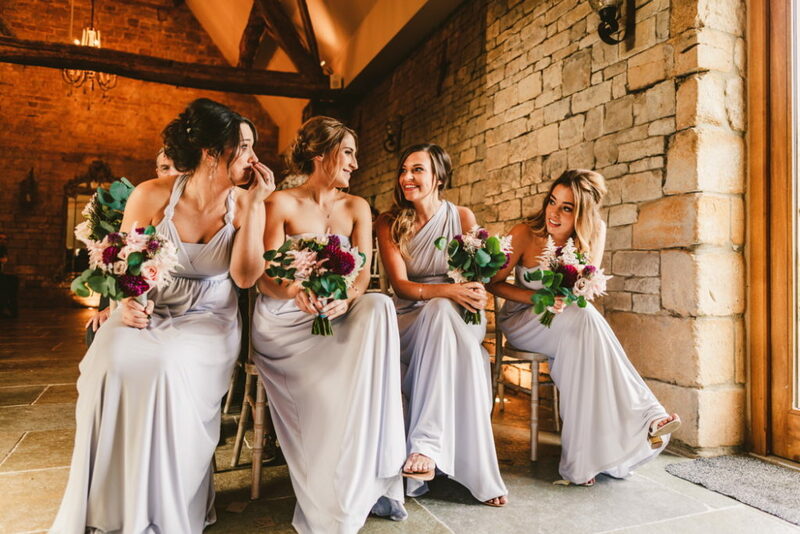 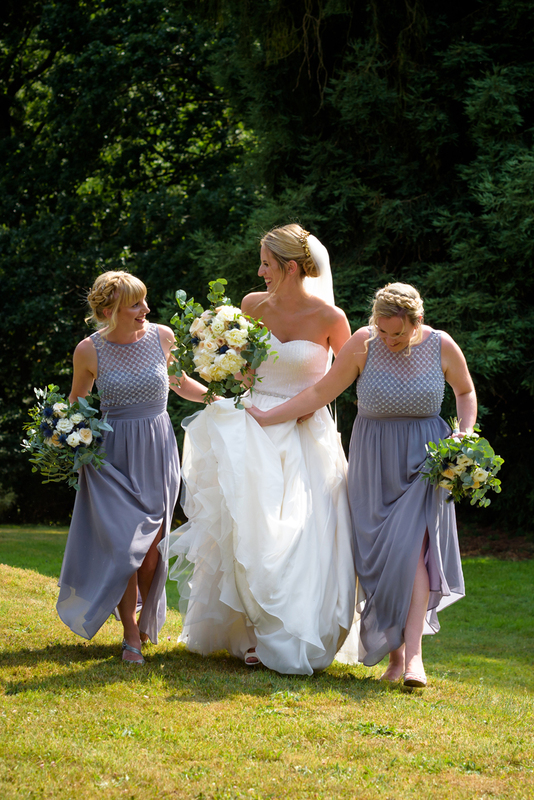 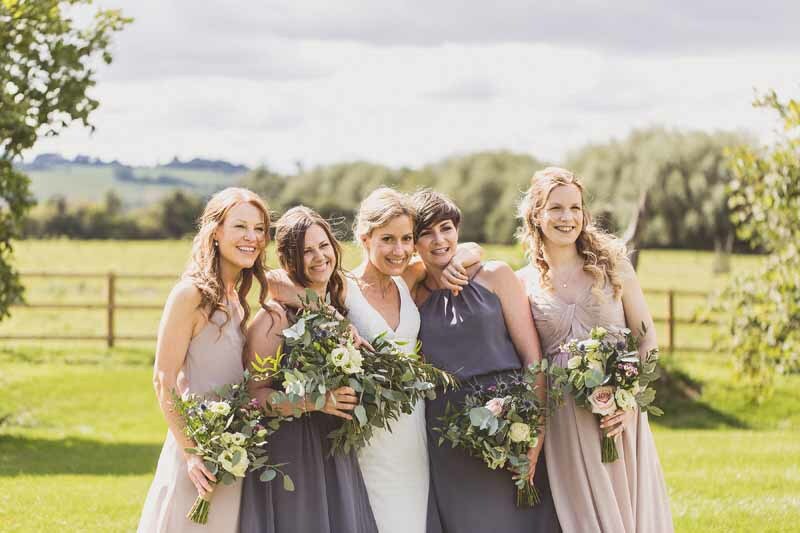 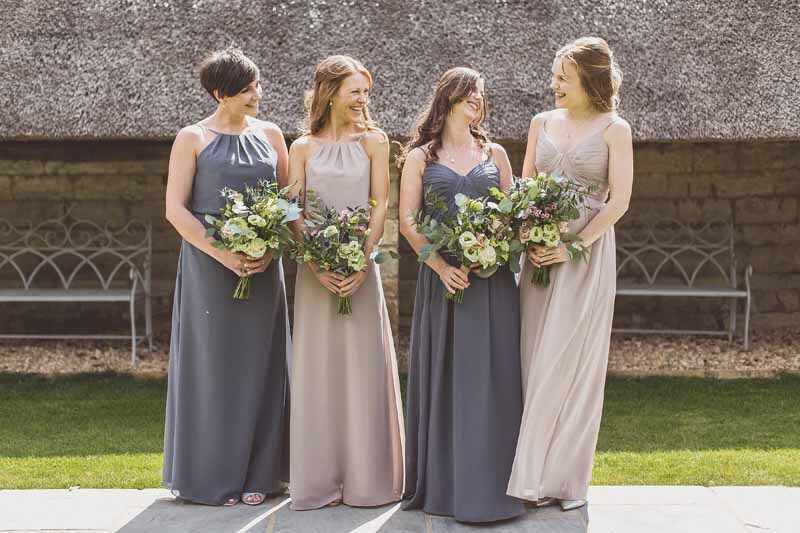 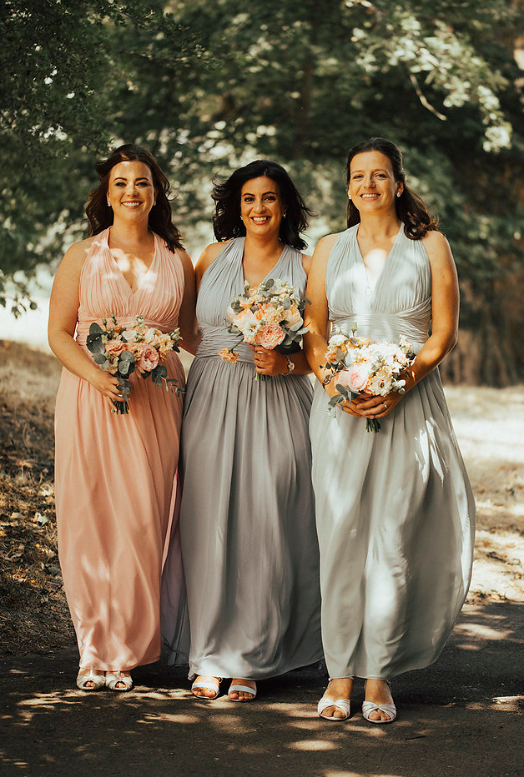 The bridesmaids looked elegant with their pretty bouquets to tie the peach and grey colour scheme together. 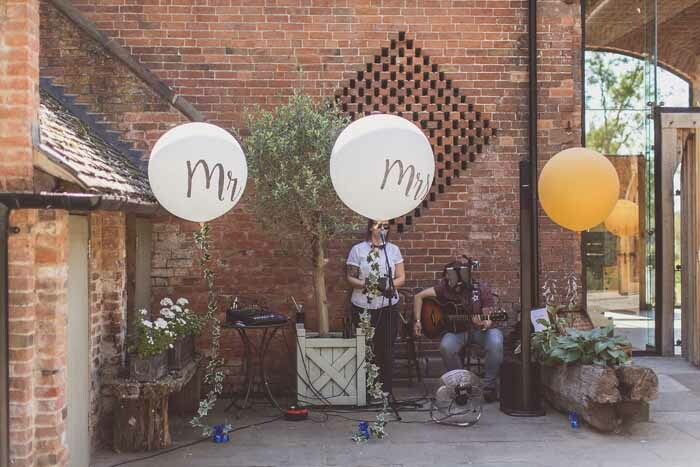 The Malt Shovel is synonymous with excellent food and a great atmosphere. 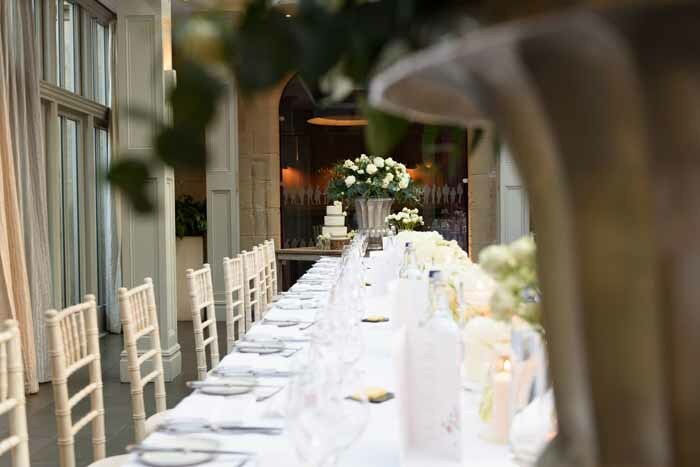 The guests gathered in the gardens and were welcomed into the restaurant for a superb meal. 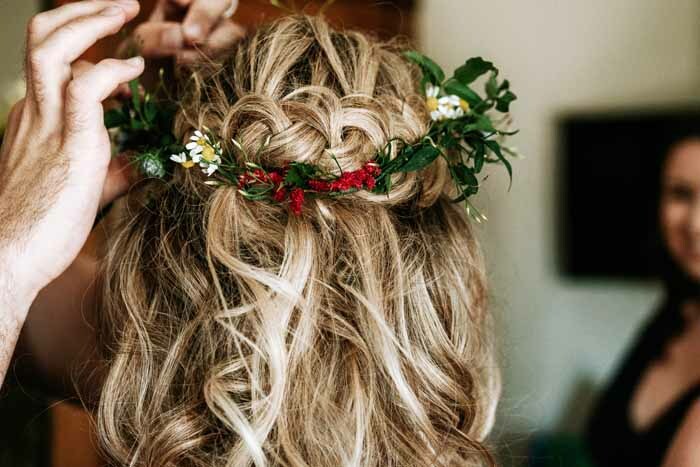 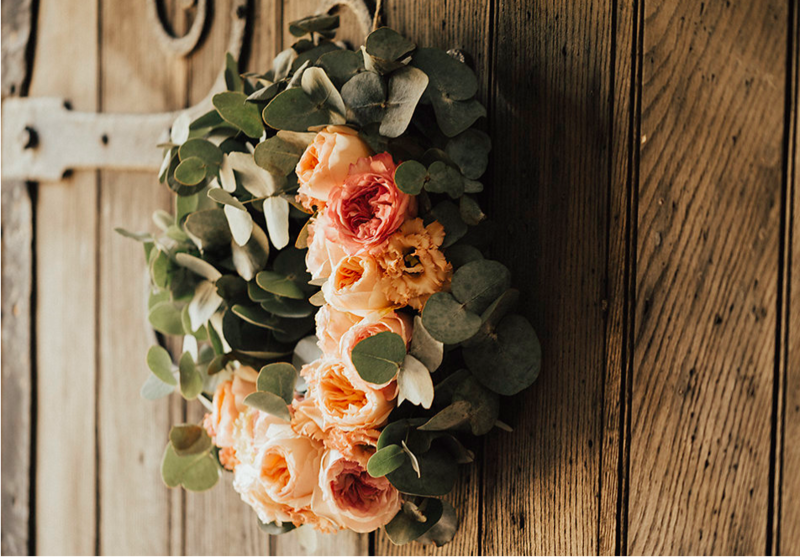 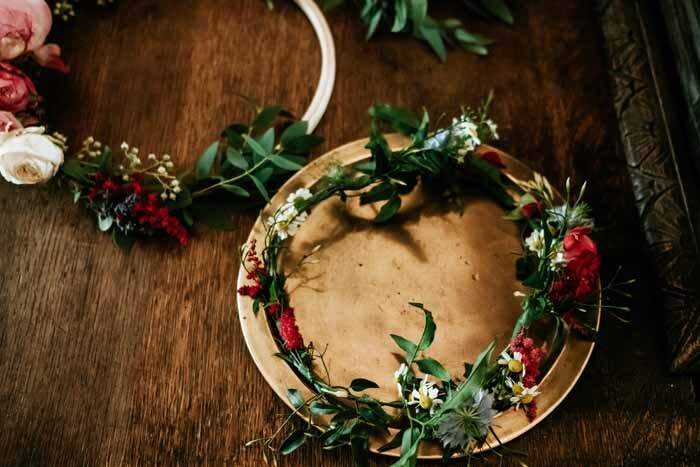 A lush wreath is a great way to welcome family and friends to your wedding and always creates a great start to the wedding day. 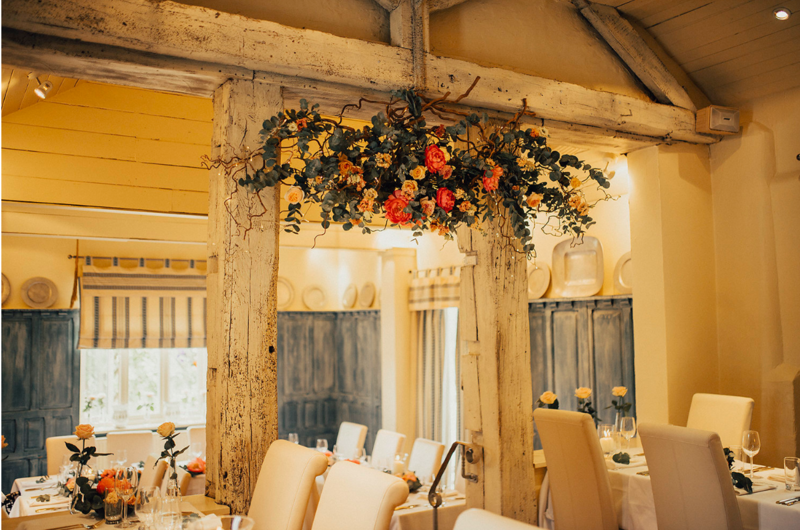 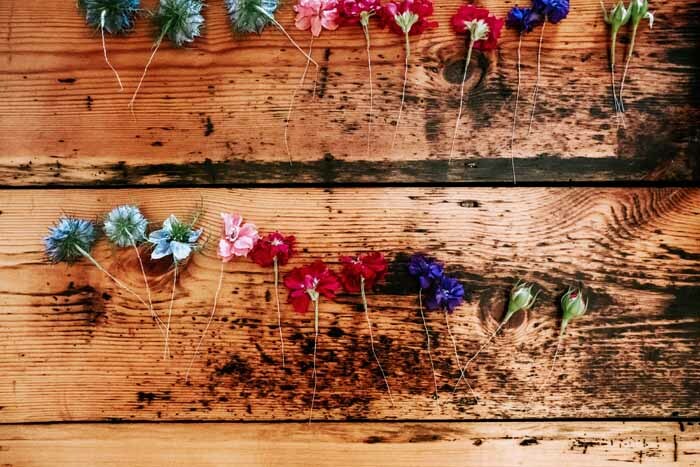 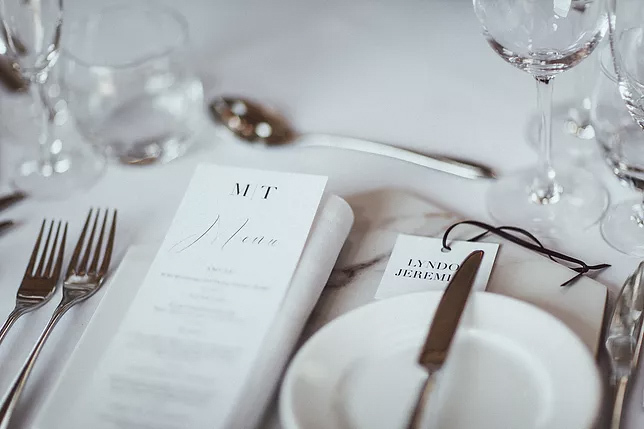 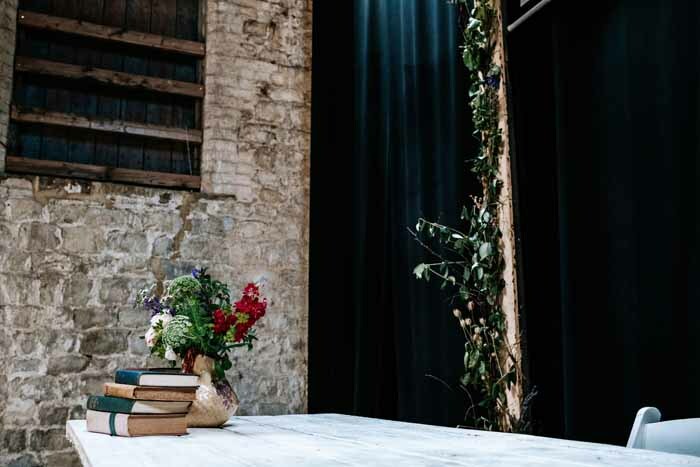 The restaurant lends itself to a hanging installation and simple birch twigs were created into a masterpiece with a beautiful mix of roses from the day. 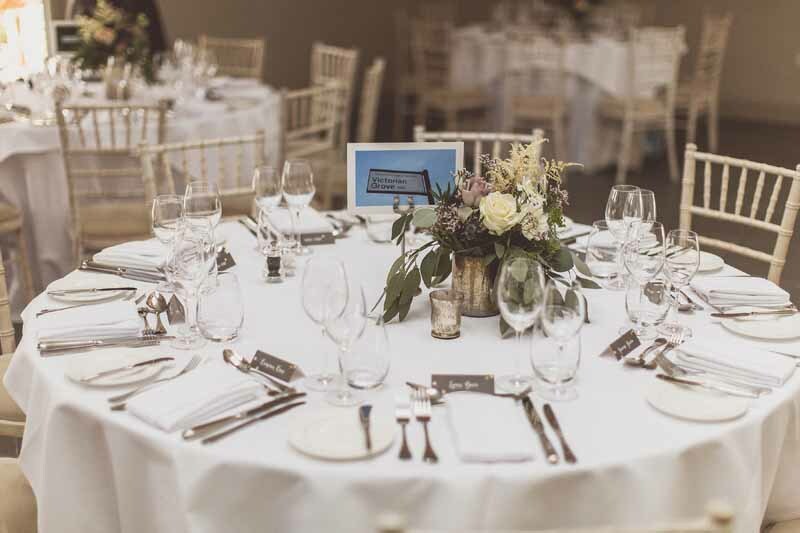 U-shaped tables were the perfect fit and we added luxe low wedding centrepieces which celebrated the season and the laid back wedding day. 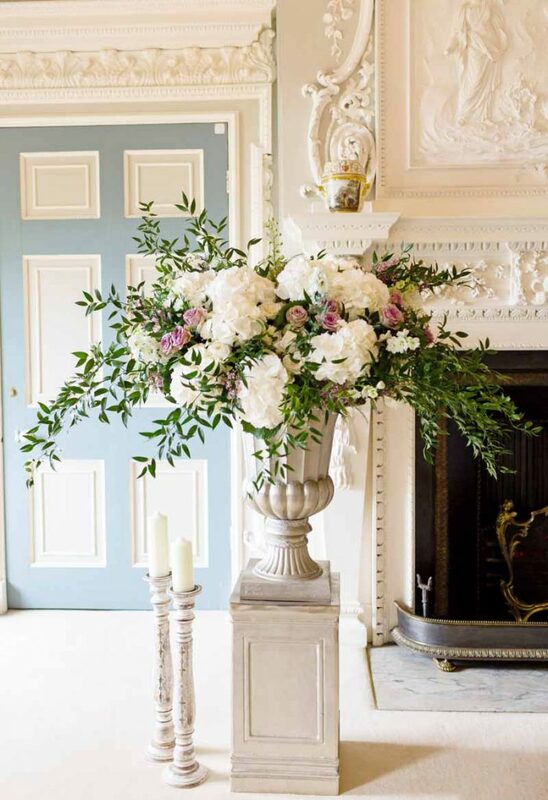 Hurricane lamps with candles and an asymetric eucalyptus and flower wreath continued the look set on the church door. 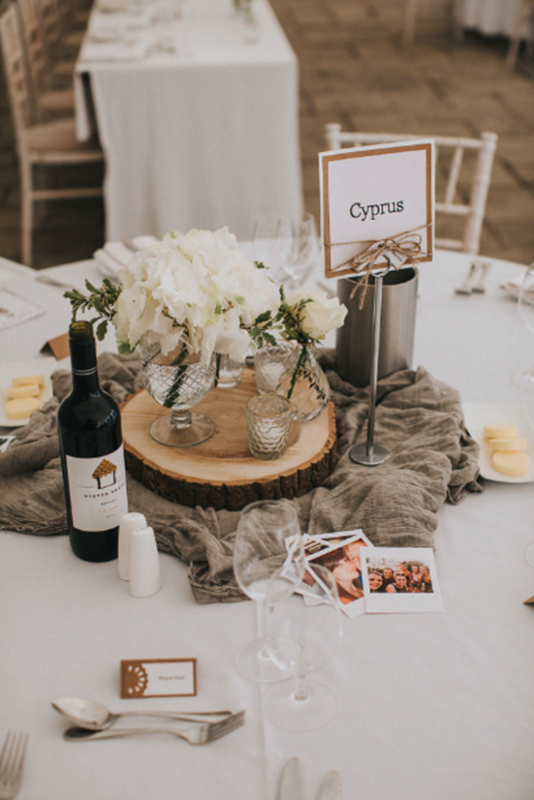 Smaller arrangements were set along the table with a simple place setting of eucalyptus. 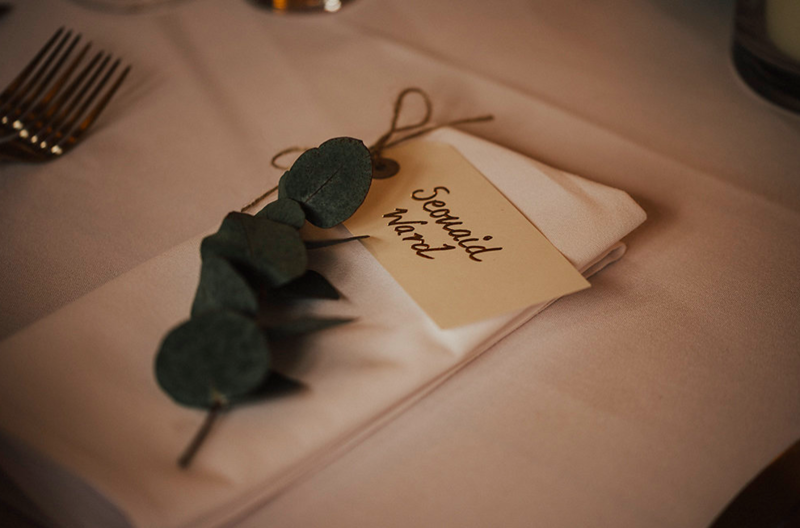 We loved receiving this note before Seonaid and Oliver set off on honeymoon. 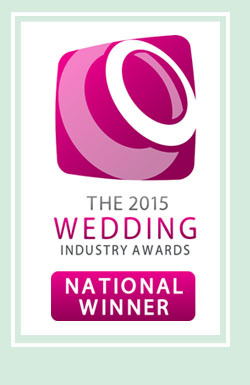 ‘Just a little note to say a HUGE big thank you for all of your hard work yesterday. 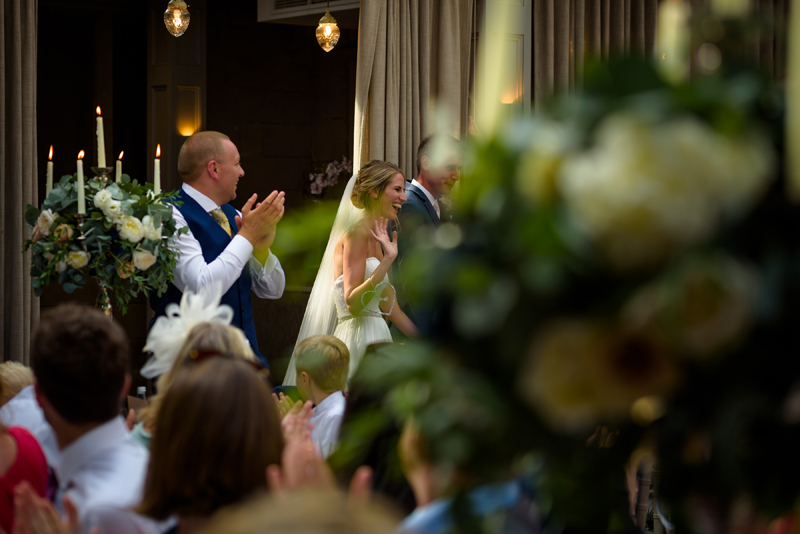 What can I say……the flowers were simply stunning! 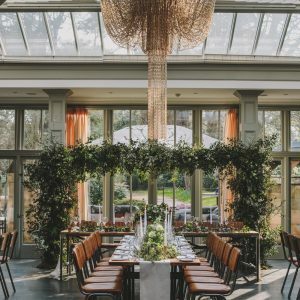 Our breathe was taken away when we had a sneak peak into the restaurant prior to everyone being seated. 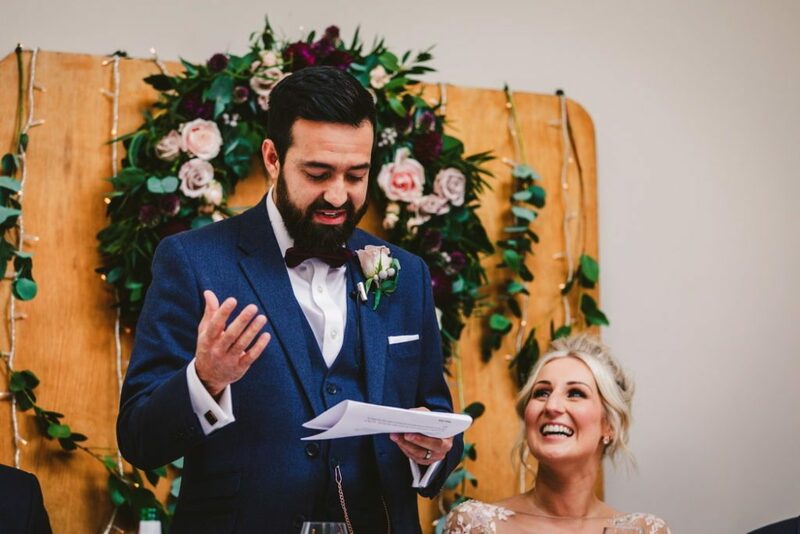 I know we discussed the brief, but how you interpreted it was totally beyond expectations! 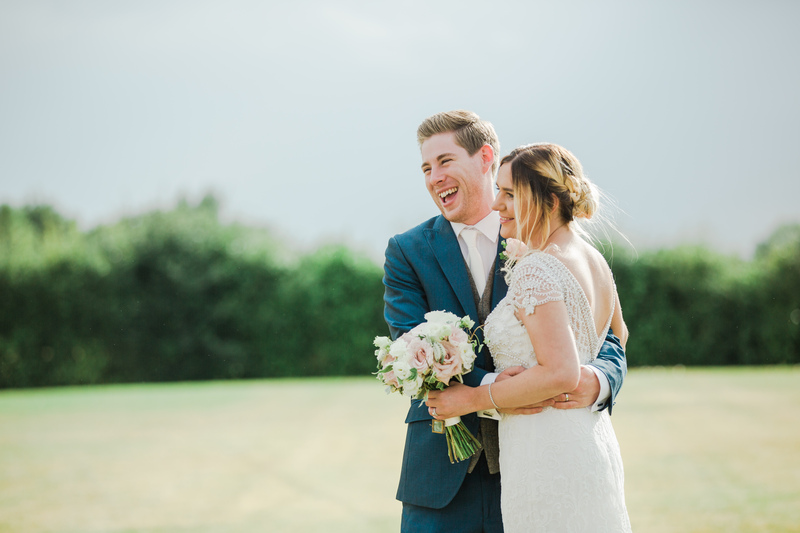 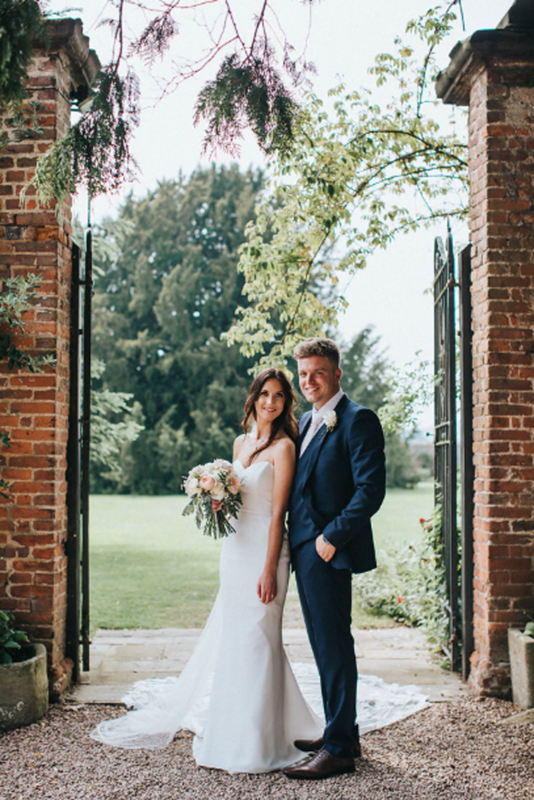 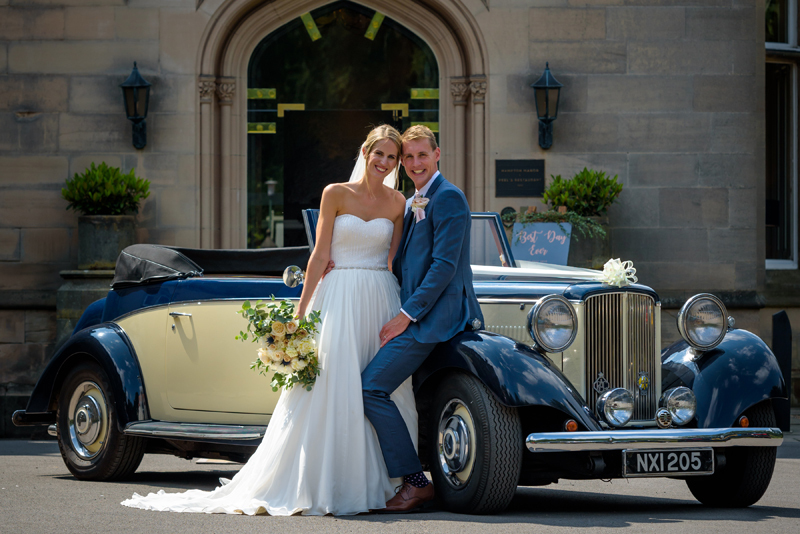 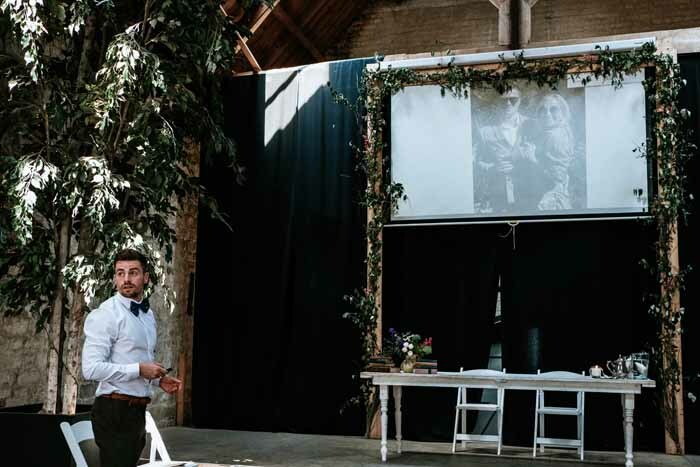 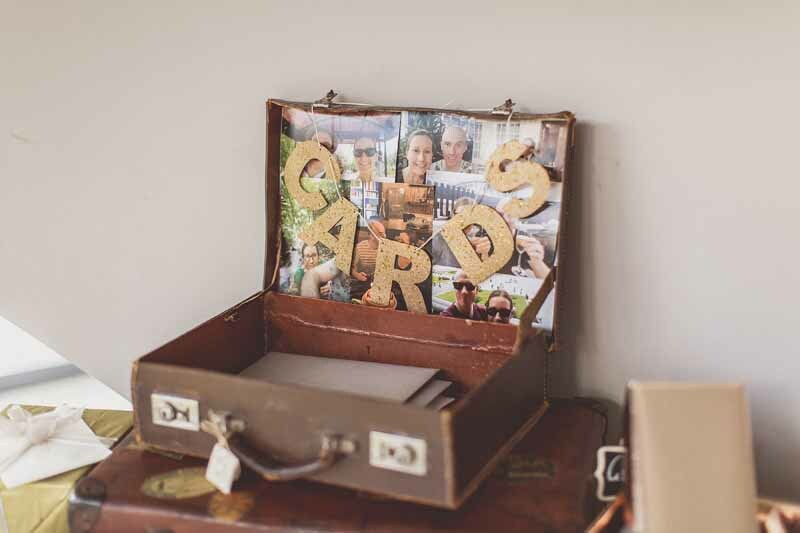 Charlie and Jamie’s wedding this Summer at Hampton Manor was a delight to work on. 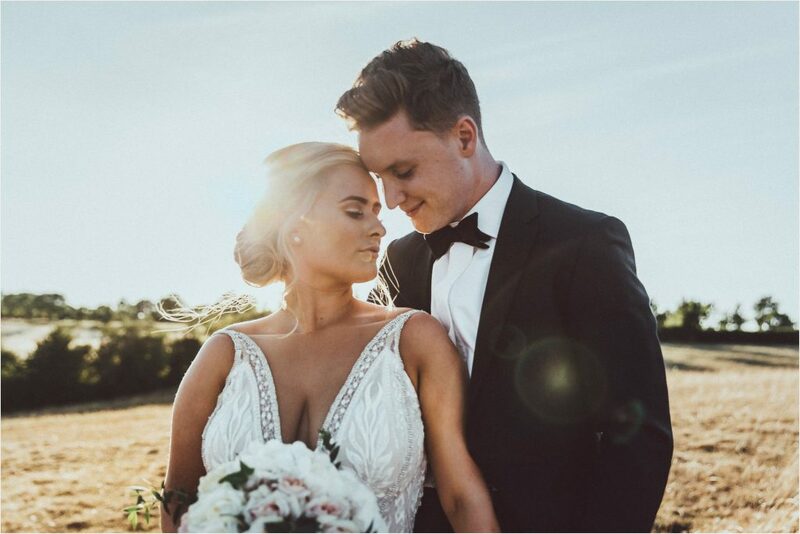 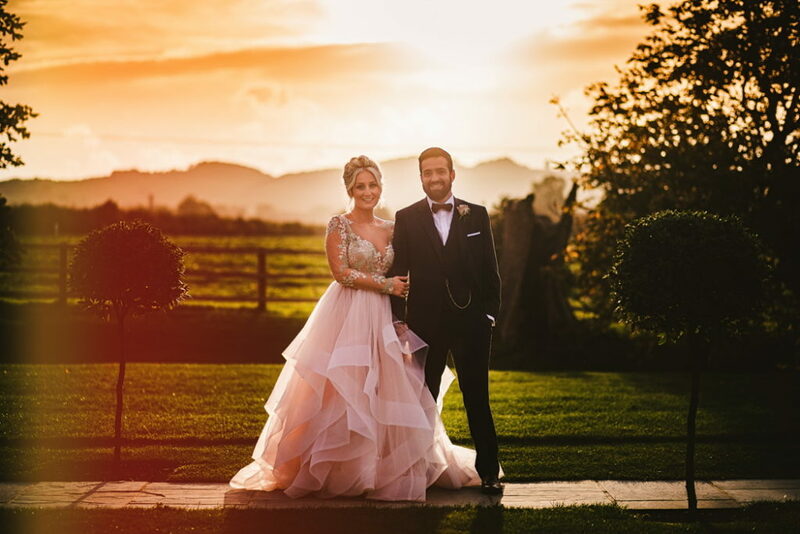 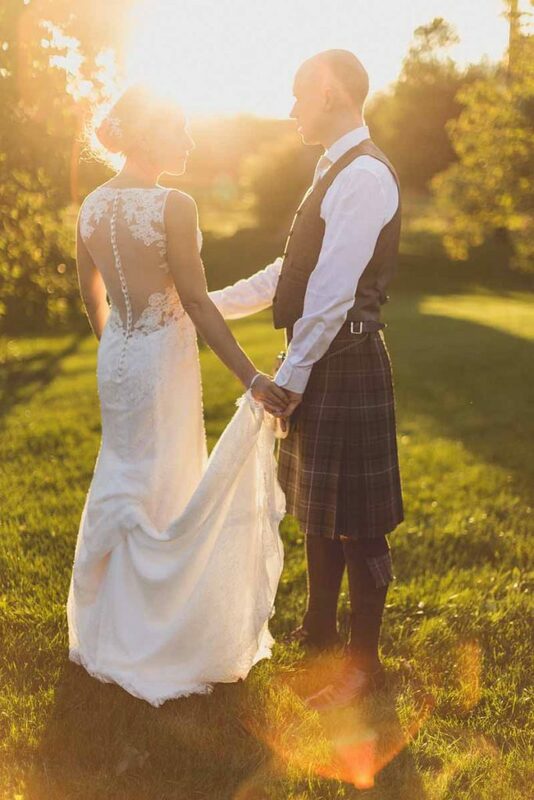 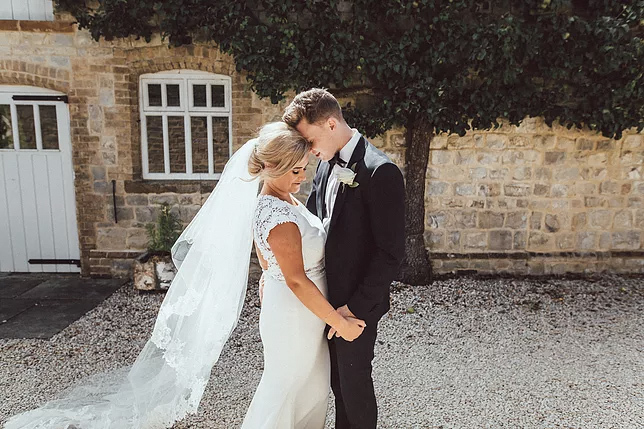 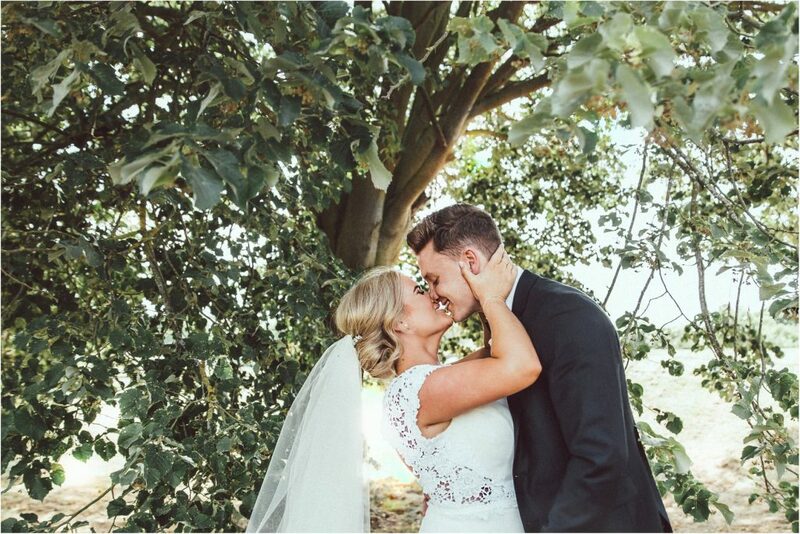 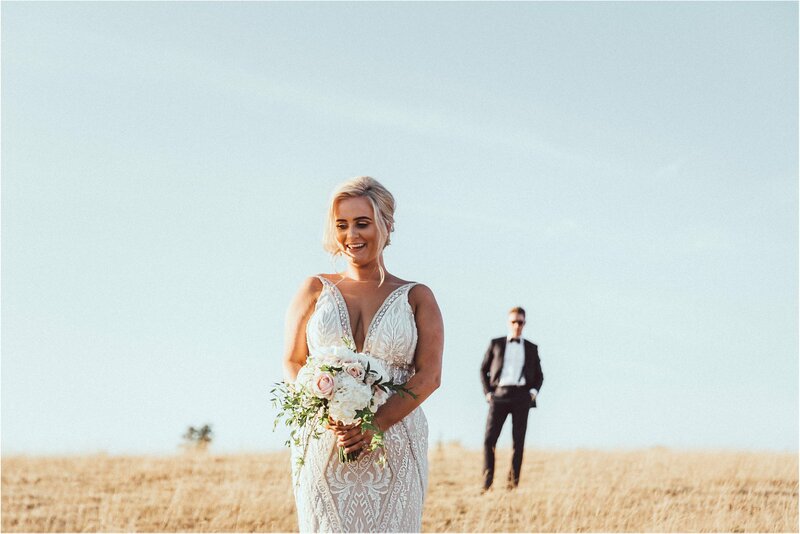 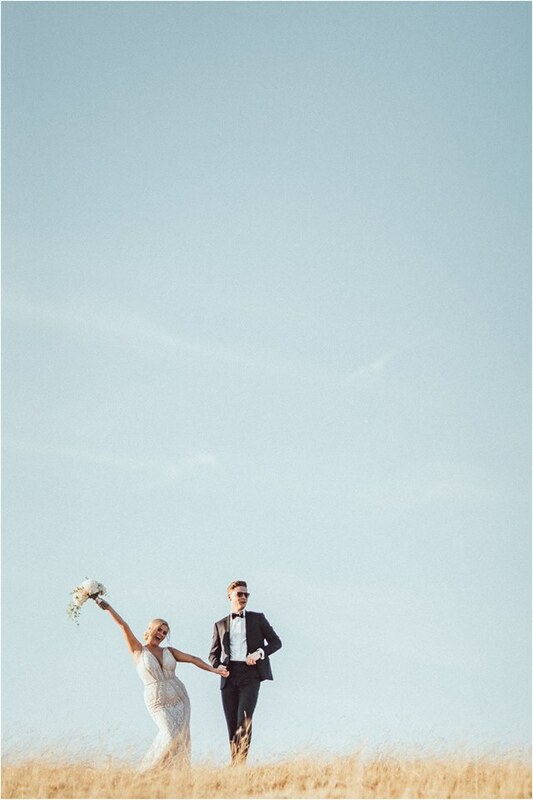 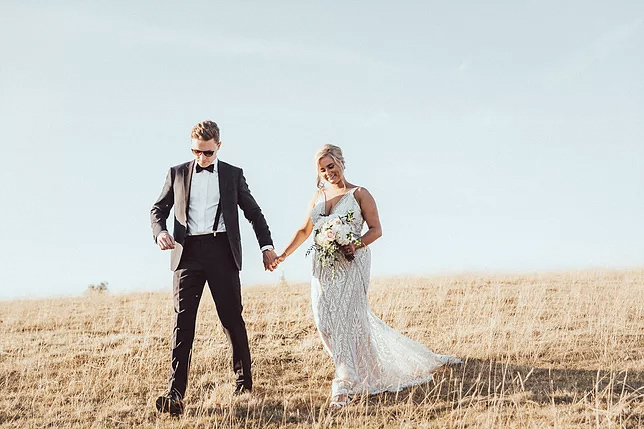 Here are a few photos from their gorgeous wedding day. 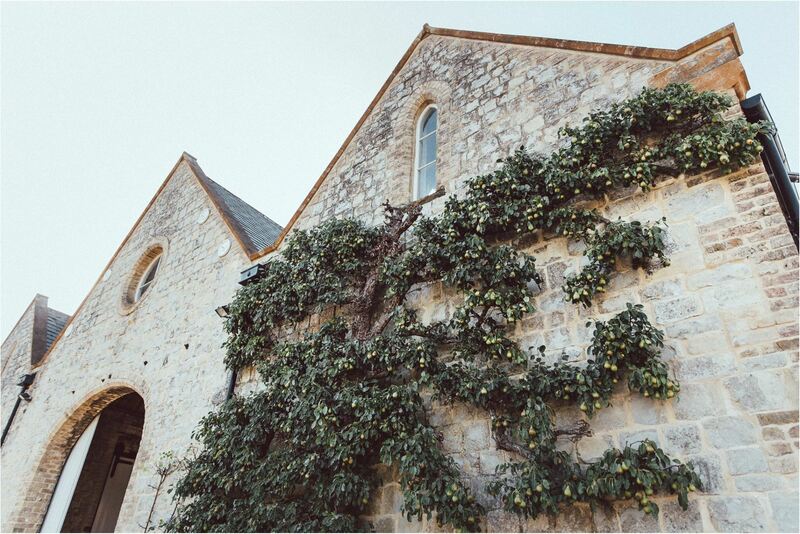 These are just a quick sneak peek – more to follow soon hopefully. 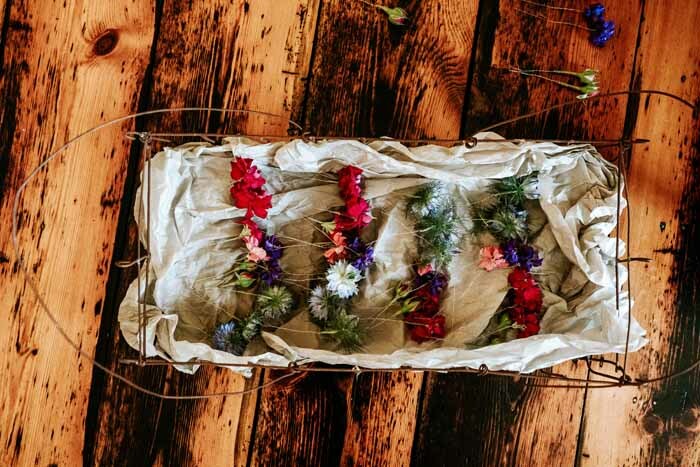 ‘Artists Days’ or any ‘Day Out’ is good for creatives and for the soul. 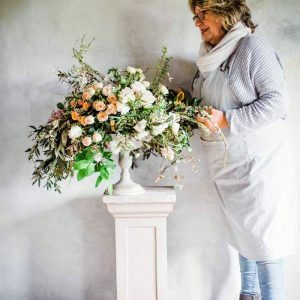 I have long been an admirer of Sabine Darrall but had not had the opportunity to visit her at Lynne Down Barn in Herefordshire. The drive through the countryside gave me chance to unwind and I was all set for a great day out. 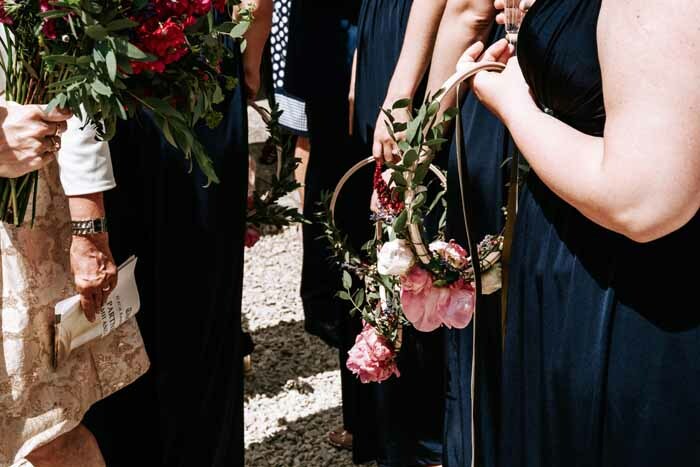 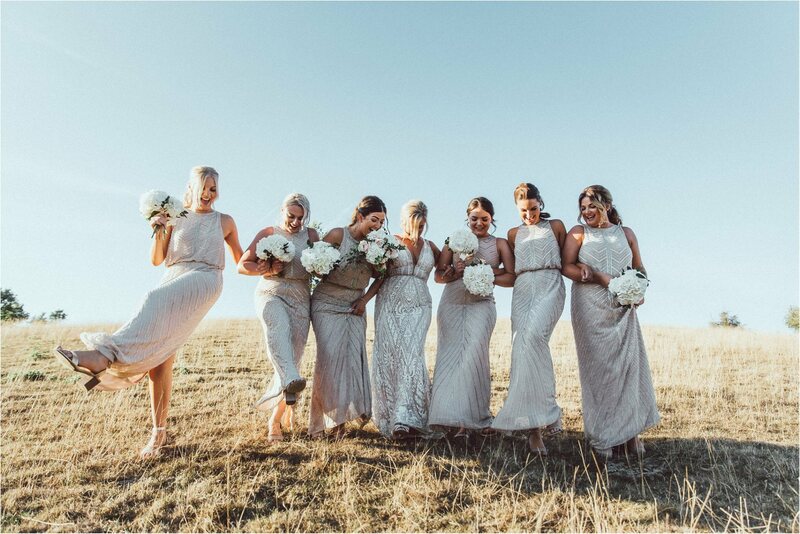 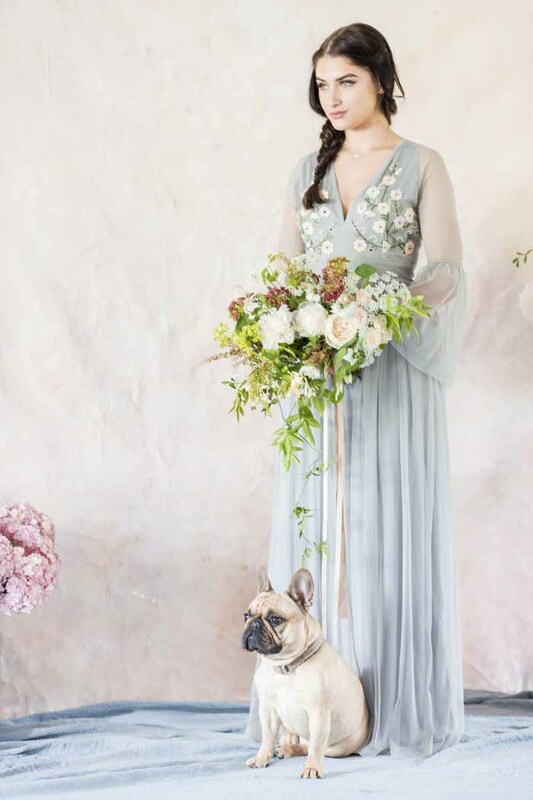 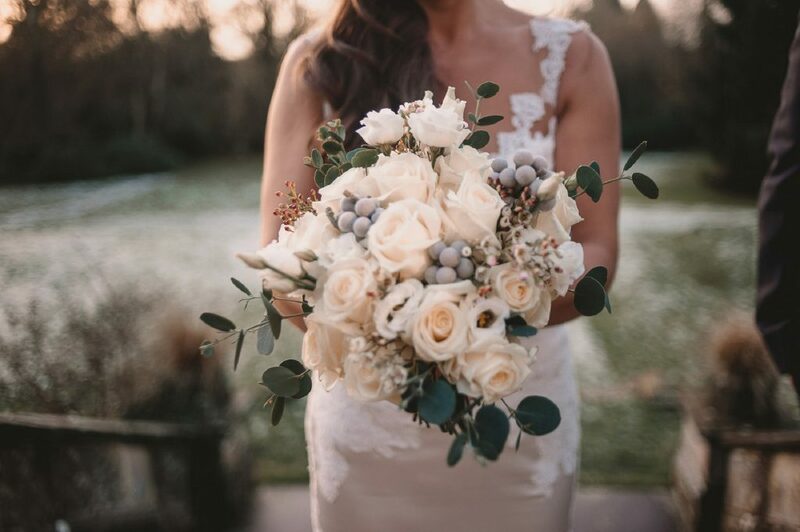 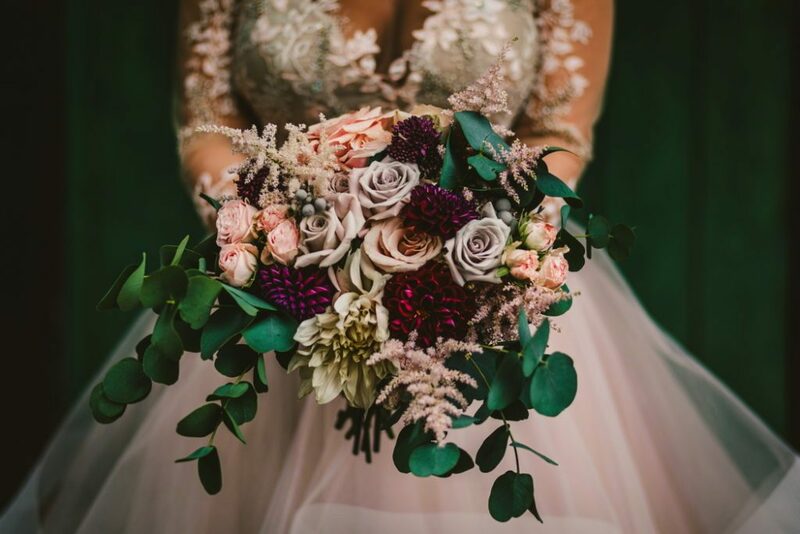 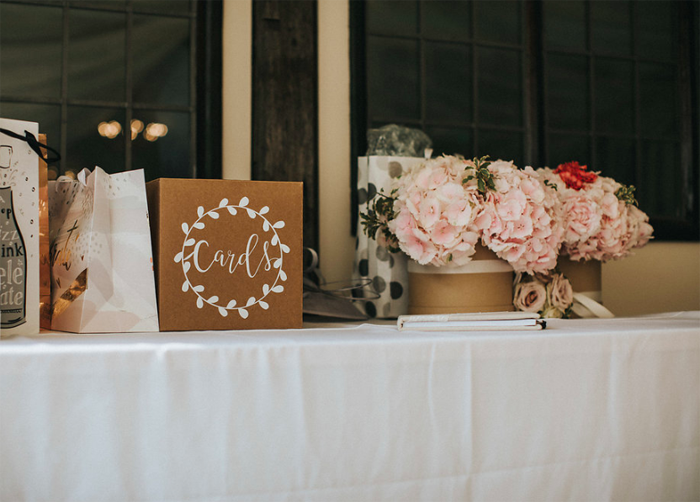 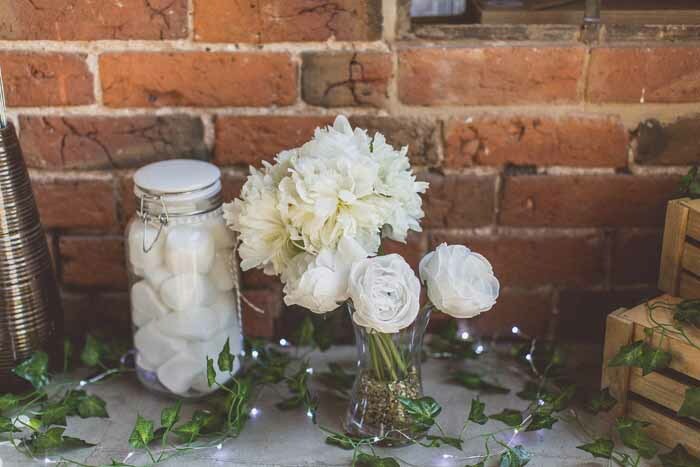 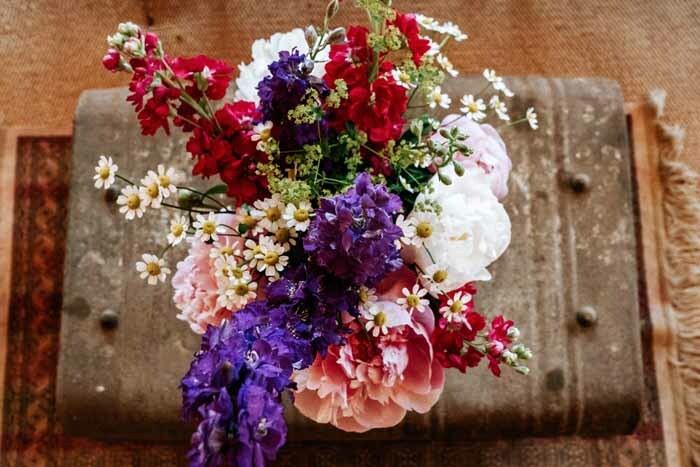 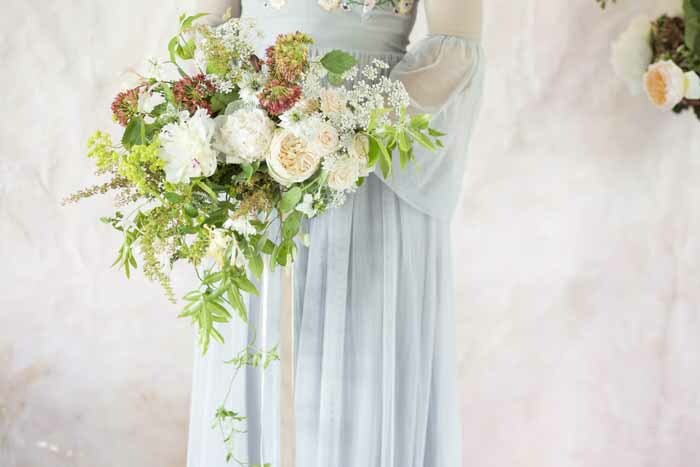 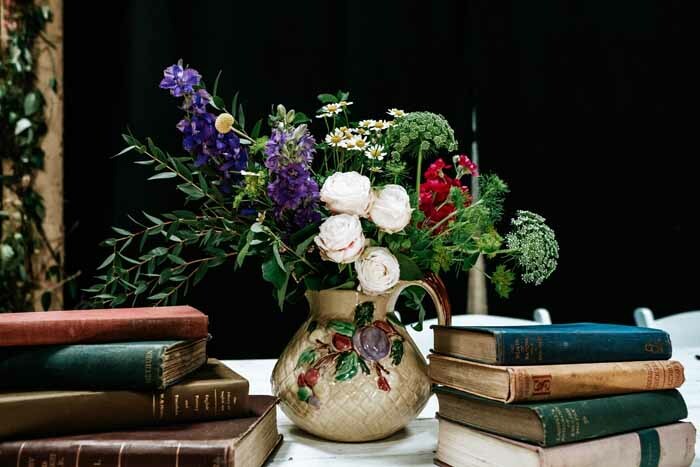 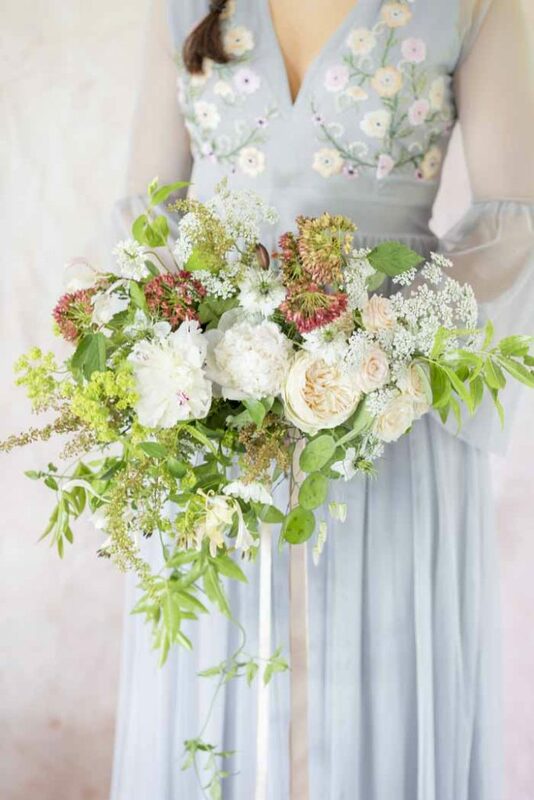 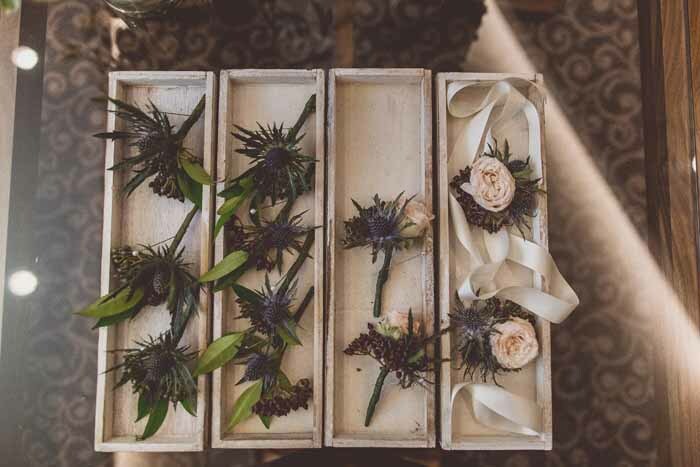 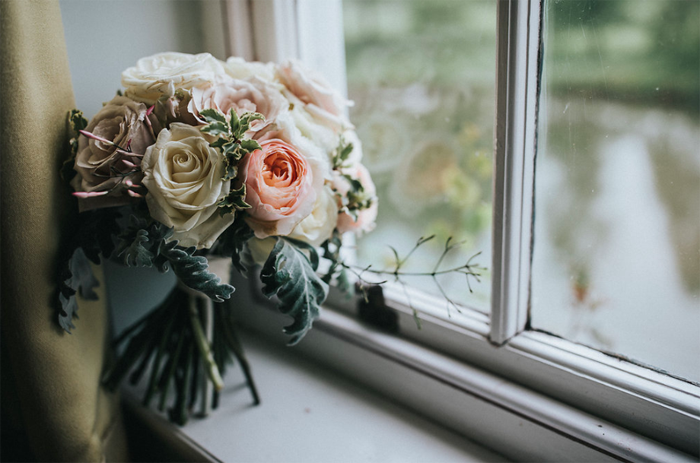 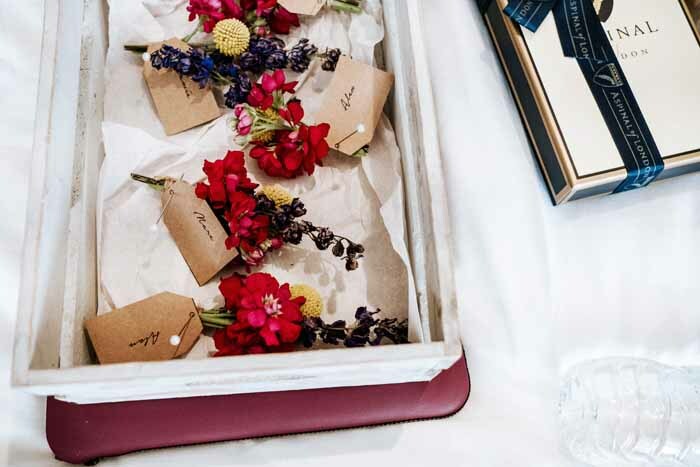 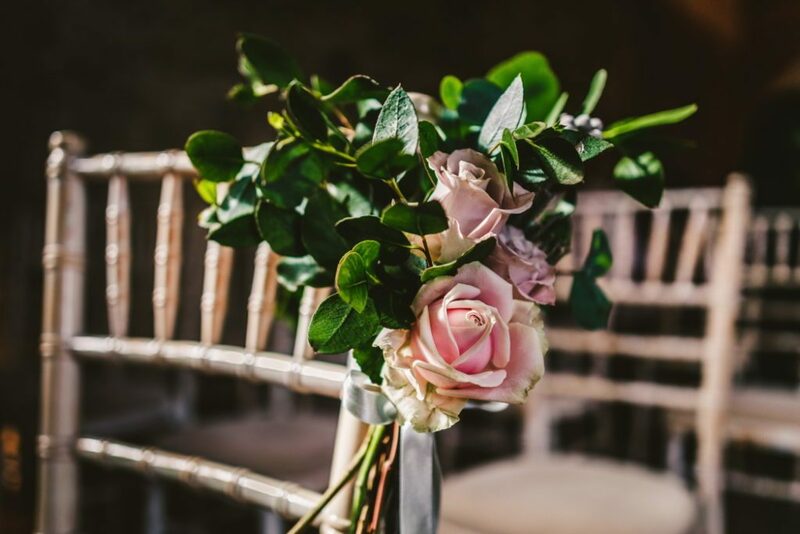 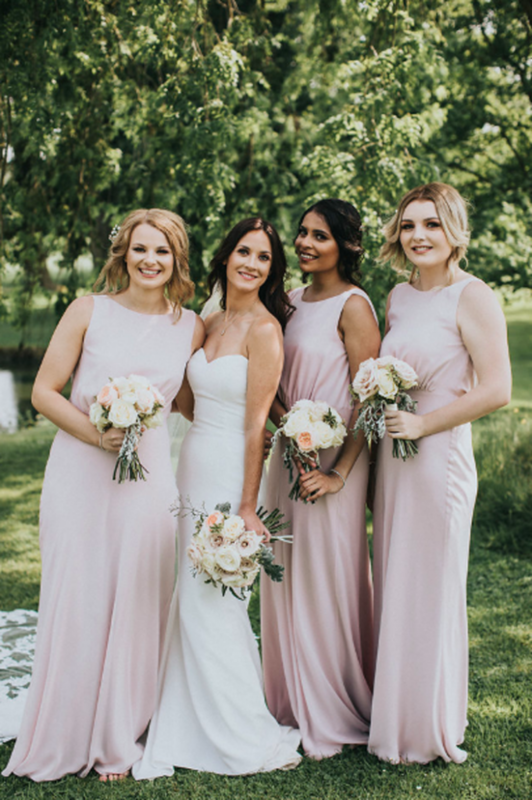 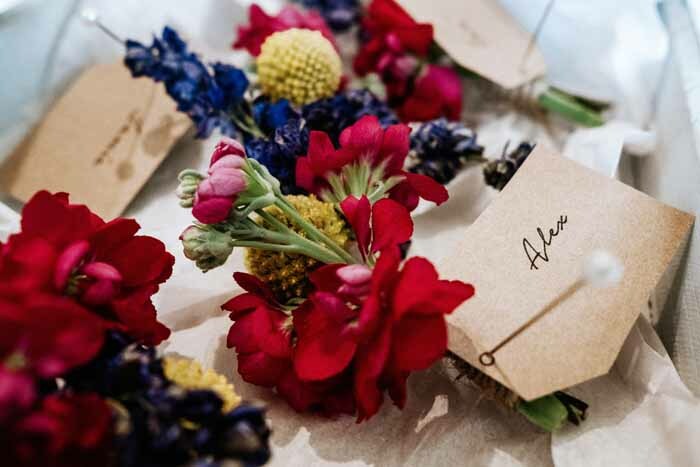 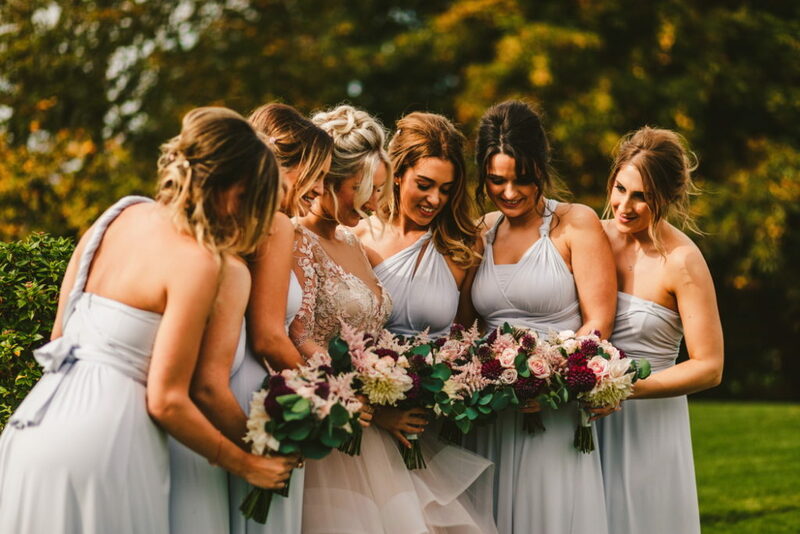 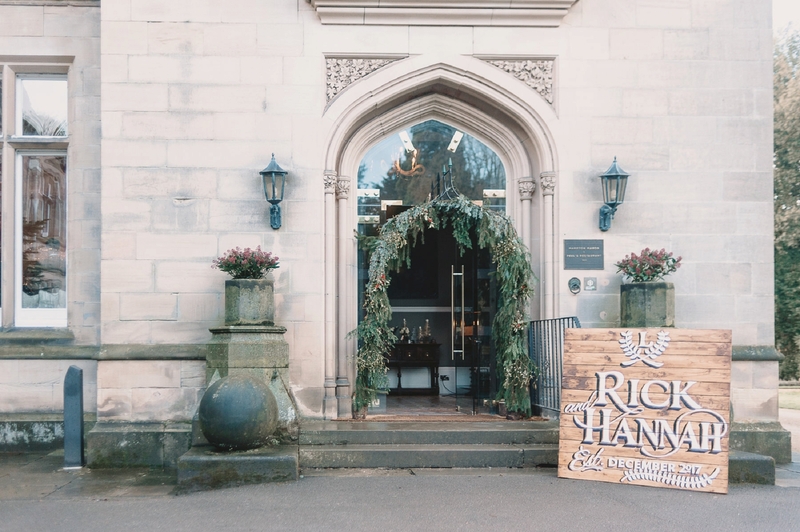 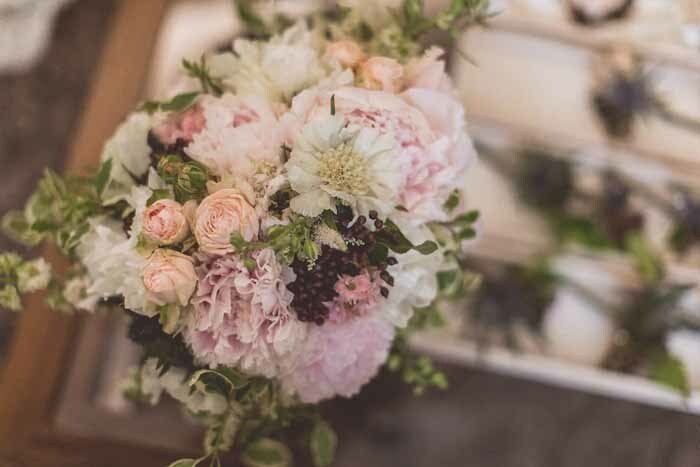 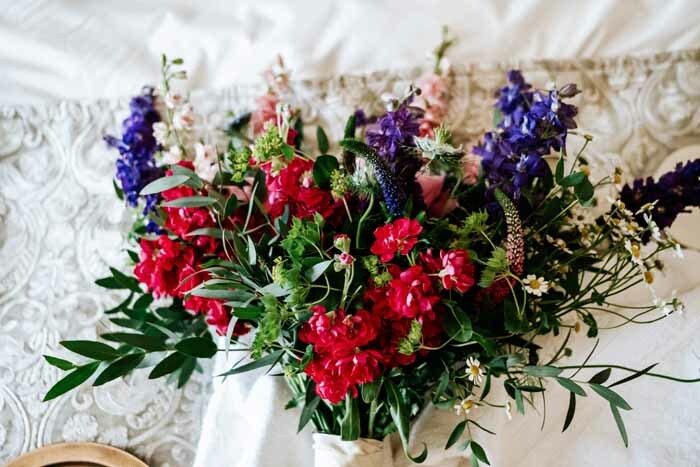 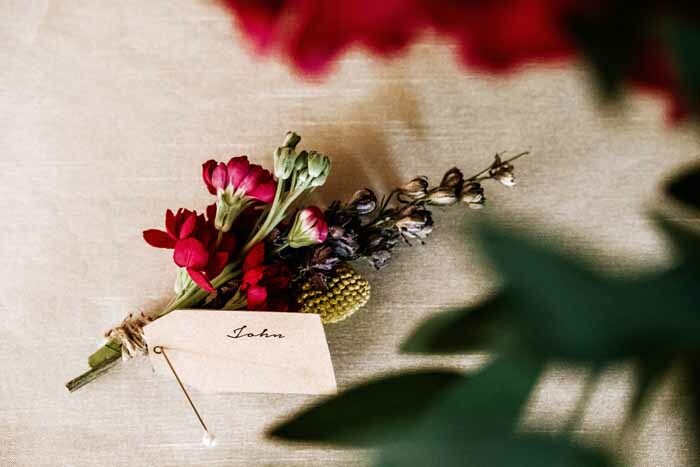 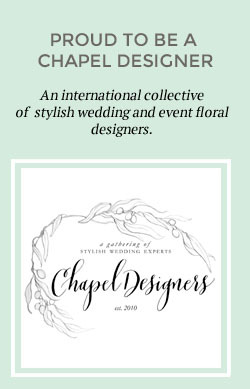 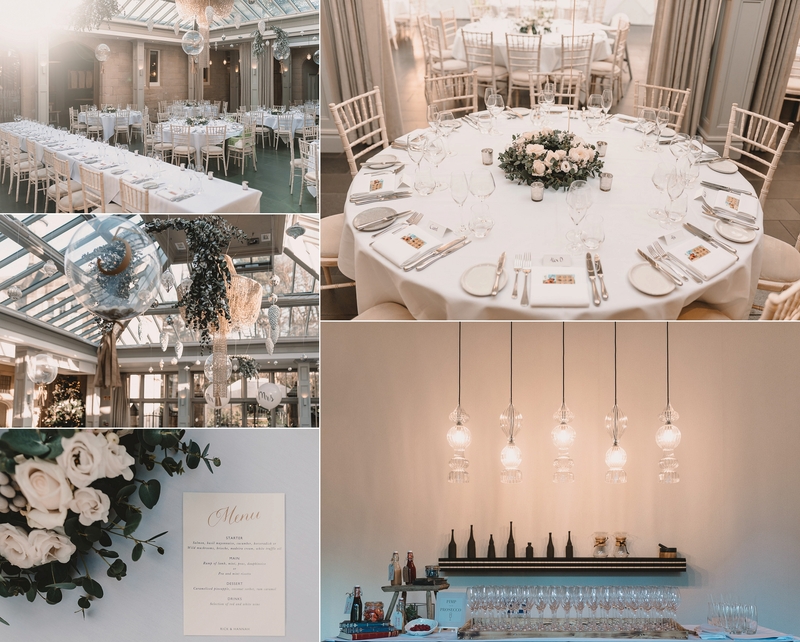 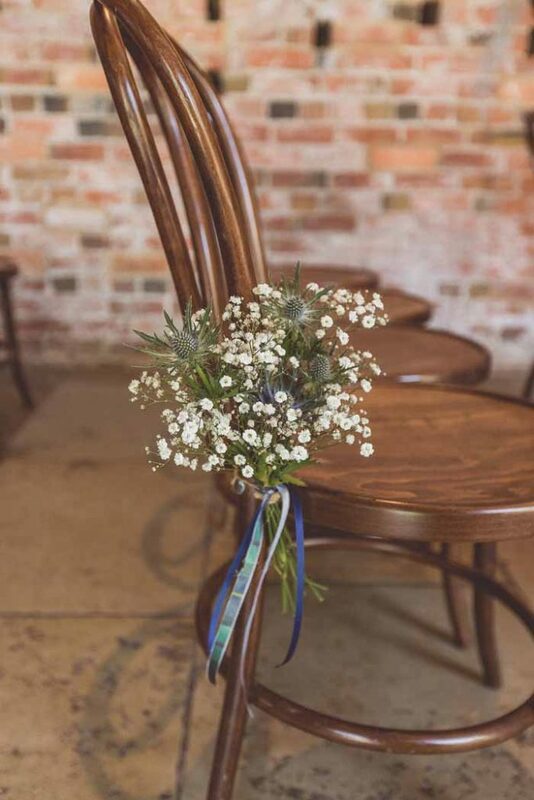 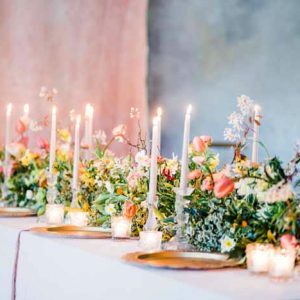 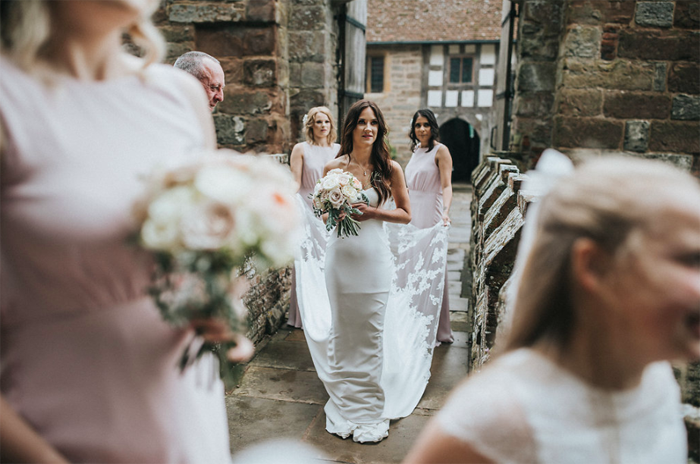 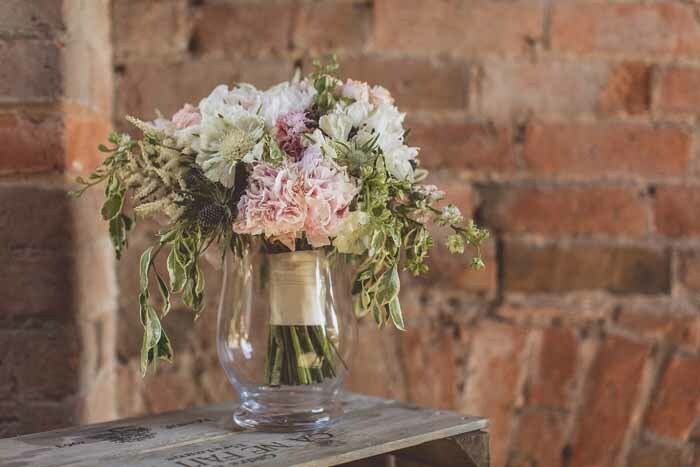 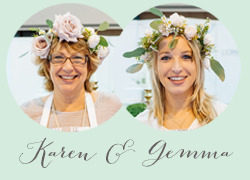 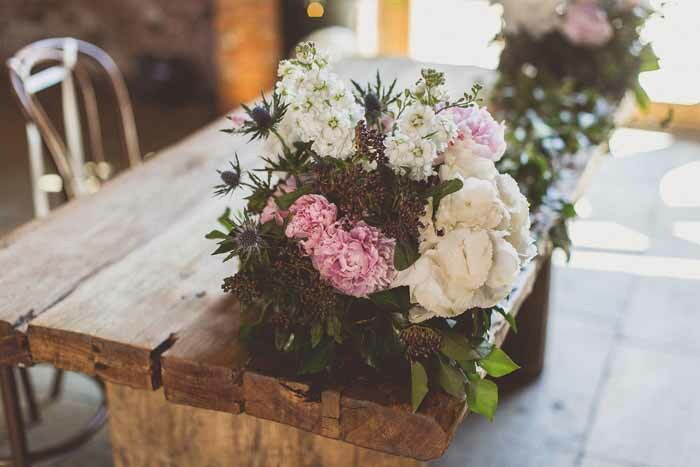 The designs we are often asked for by our brides are natural and cascading and it was lovely to spend a day with a small group of florists to exchange ideas and create some beauty. 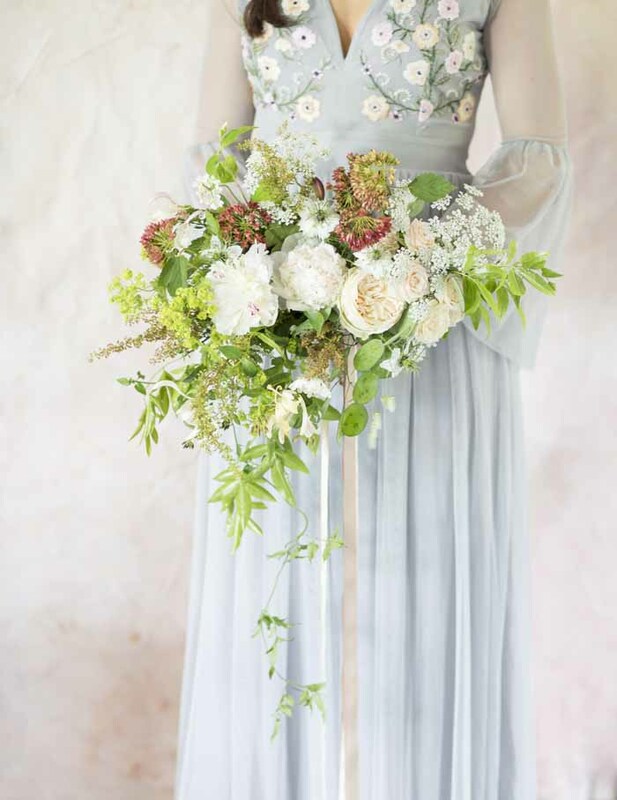 The cascading bouquets were so light hold and all looked very different. 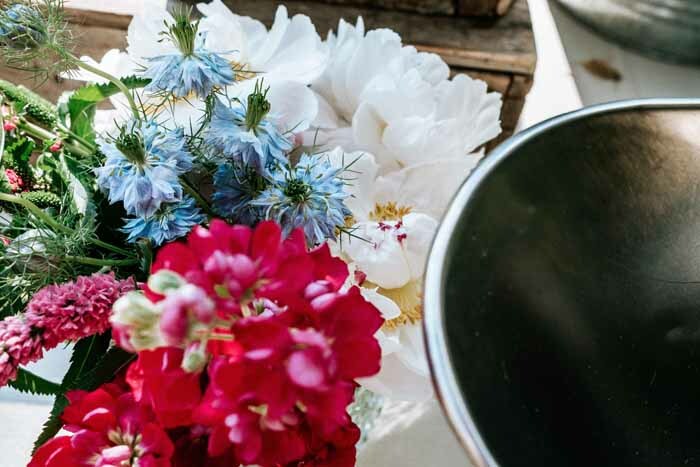 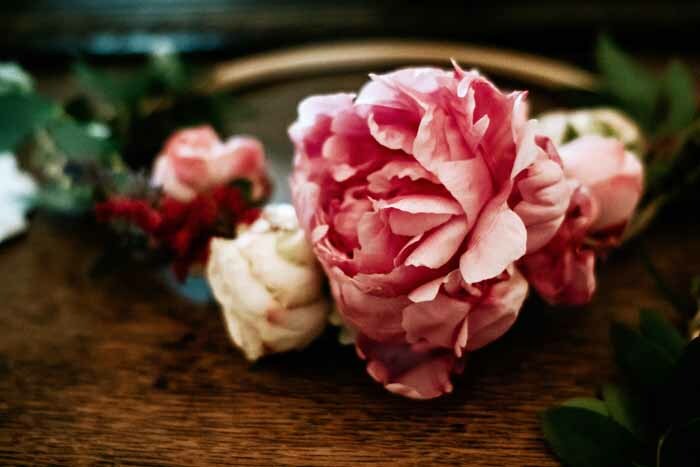 I choose seasonal peony and rose blooms and foliage much of which was locally grown. 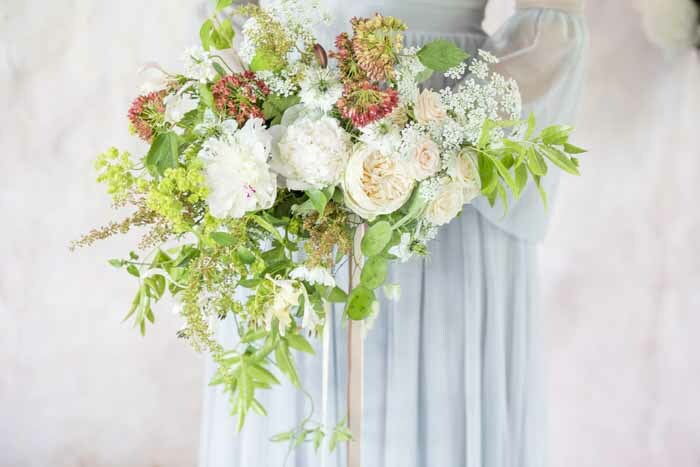 It is the delicacy of the trailing elements that helped pull the design together jasmine trails, scented honeysuckle, philiadelphus, grasses and ammi are firm favourites for a cascading bouquet. 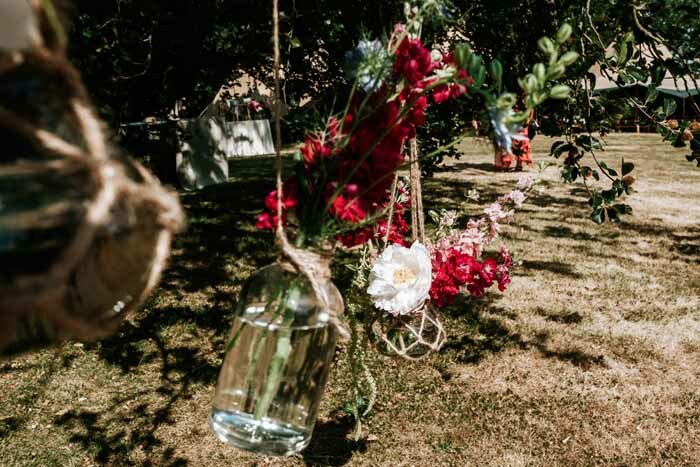 Ribbon trails beautifull finish off the bouquet and Elsie the dog was waiting to get in the photo.